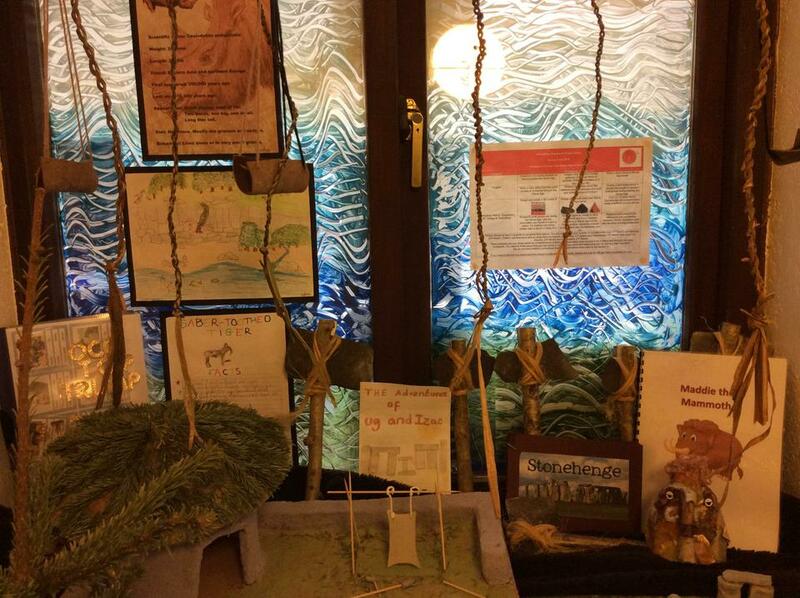 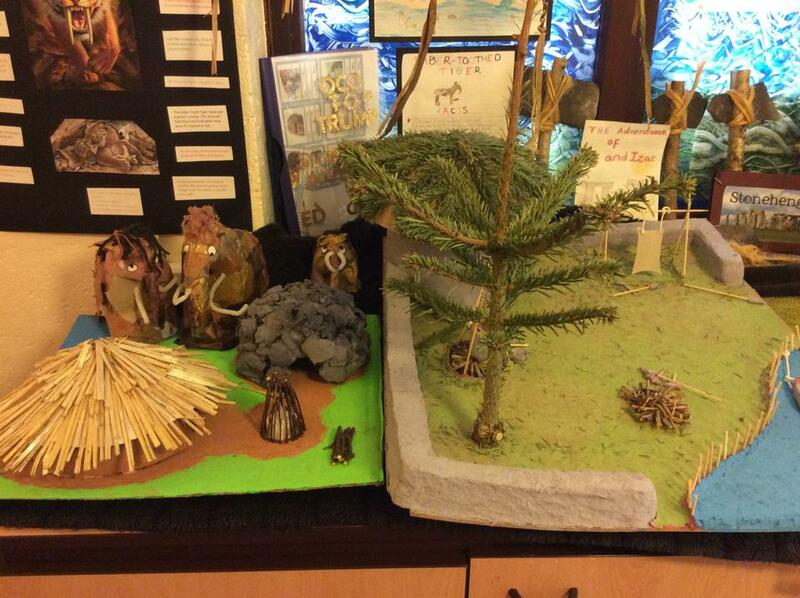 Some of the homework projects the children created. 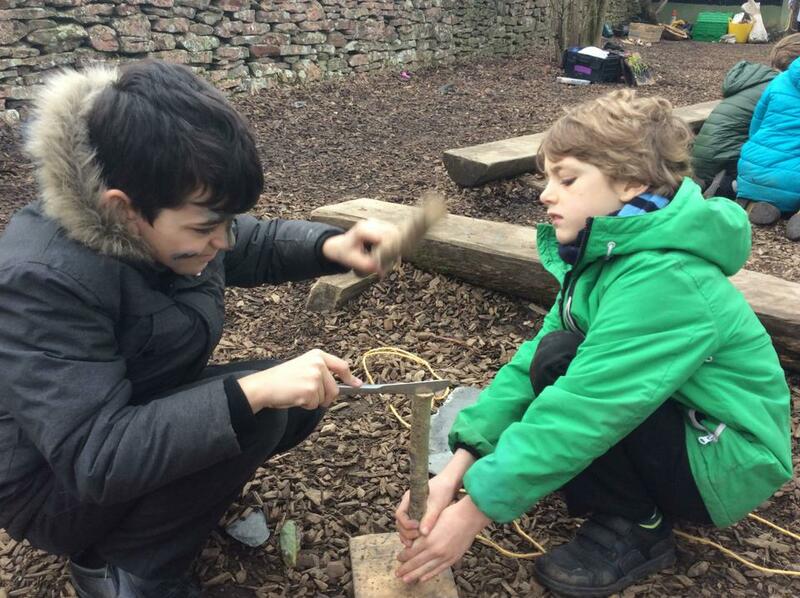 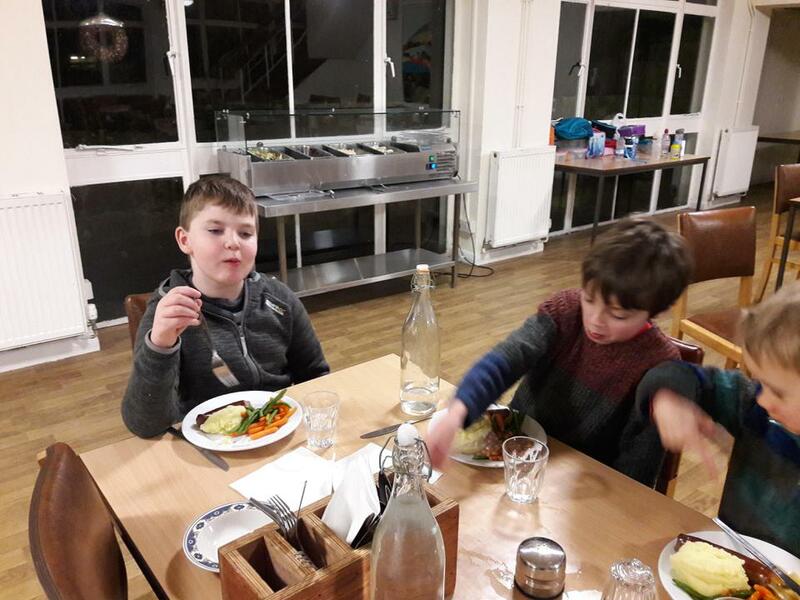 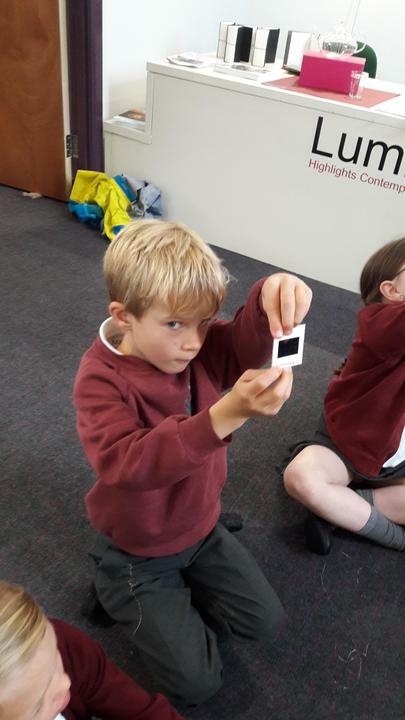 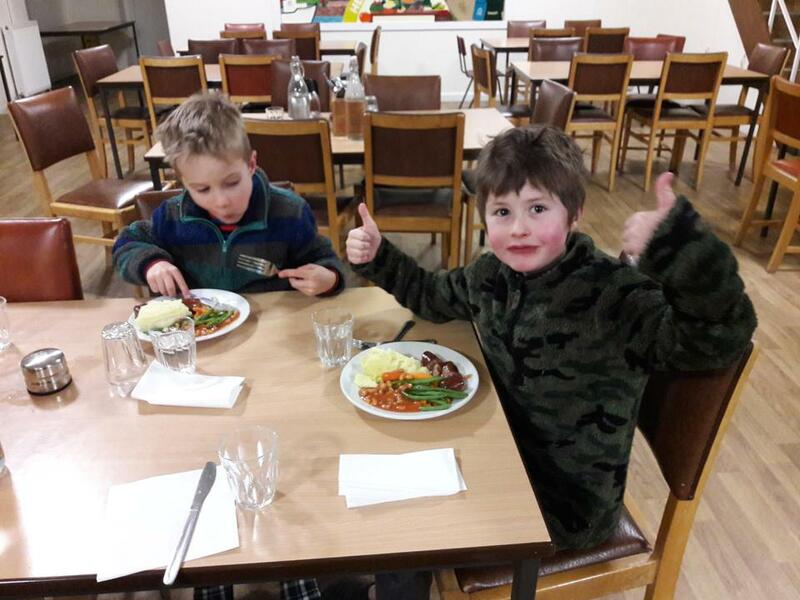 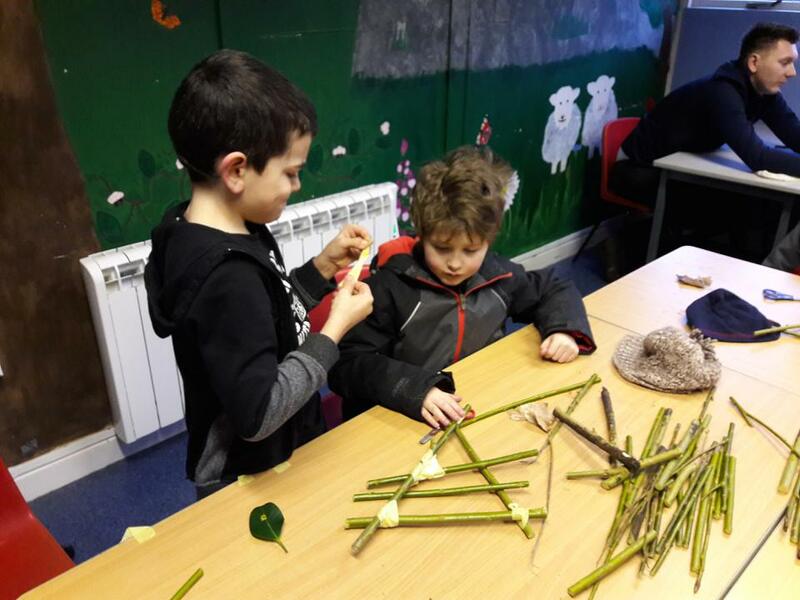 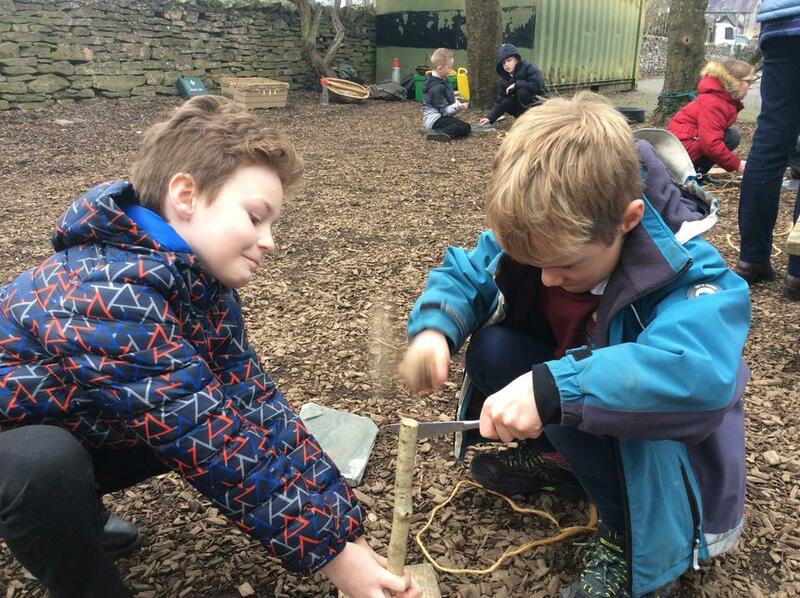 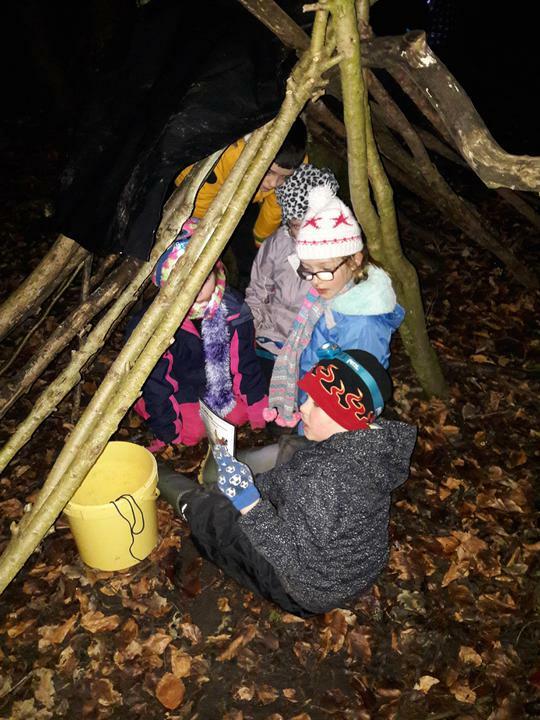 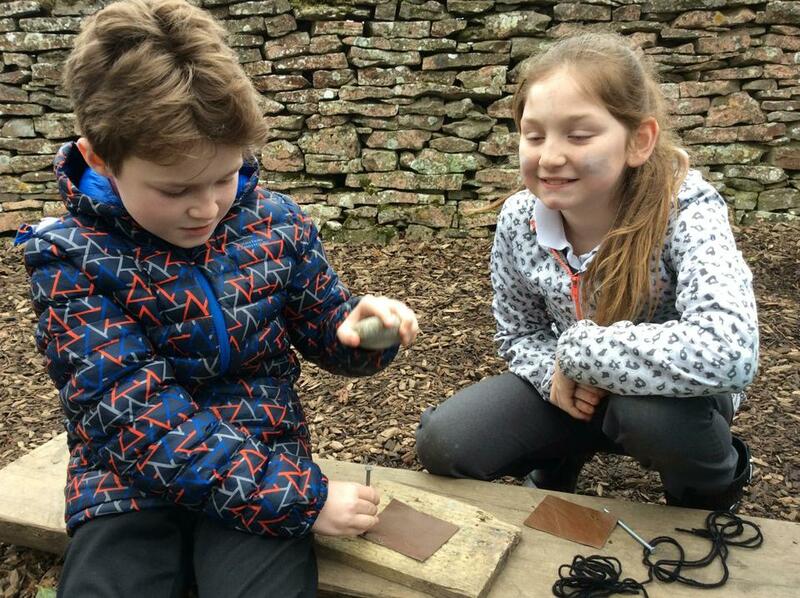 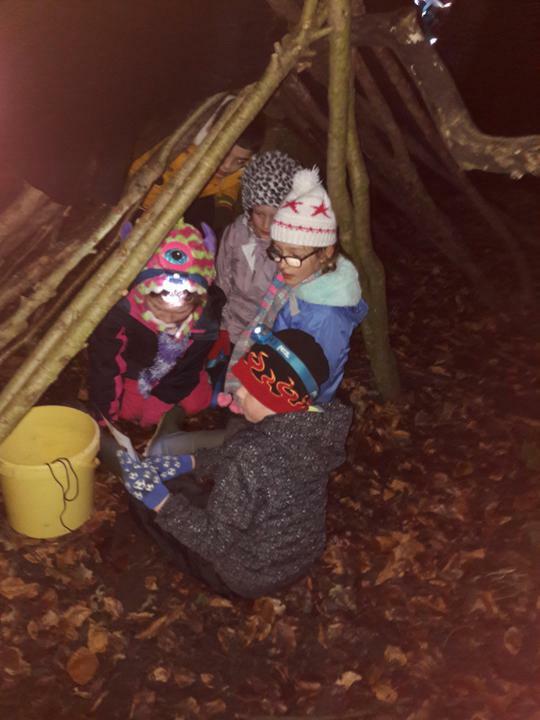 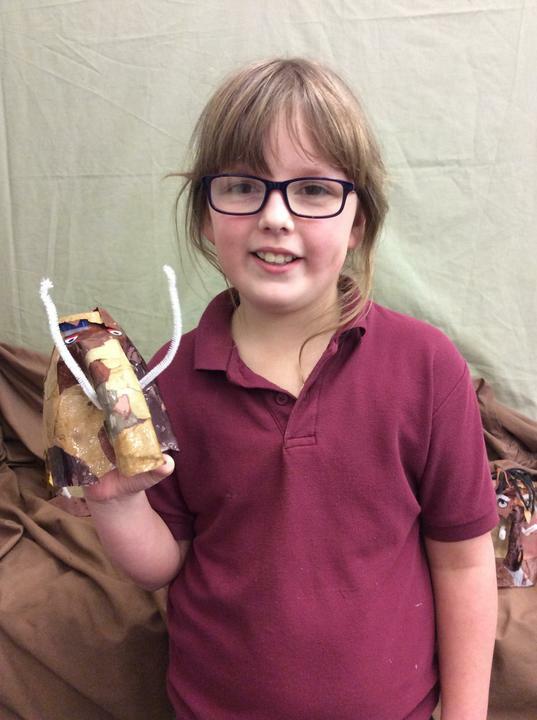 We had all sorts, including: top trump cards, making a Stone Age house in a forest and having a camp fire, writing stories about woolly mammoths, homes made out of cakes and biscuits, fact sheets, Stonehenge built out of stones, an animation showing how Stonehenge was built, plus lots lots more. 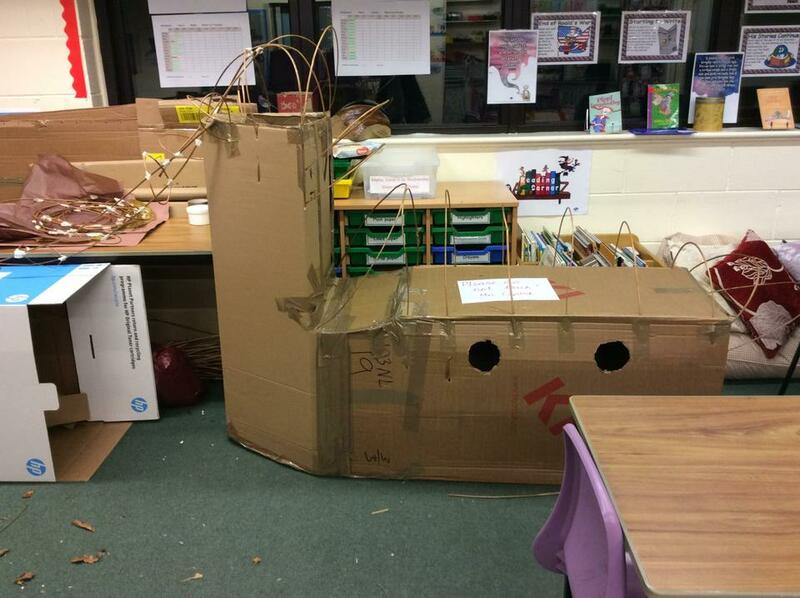 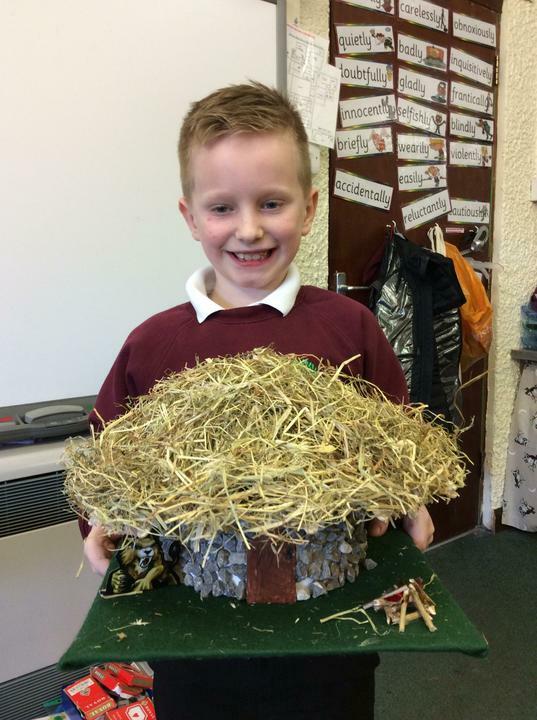 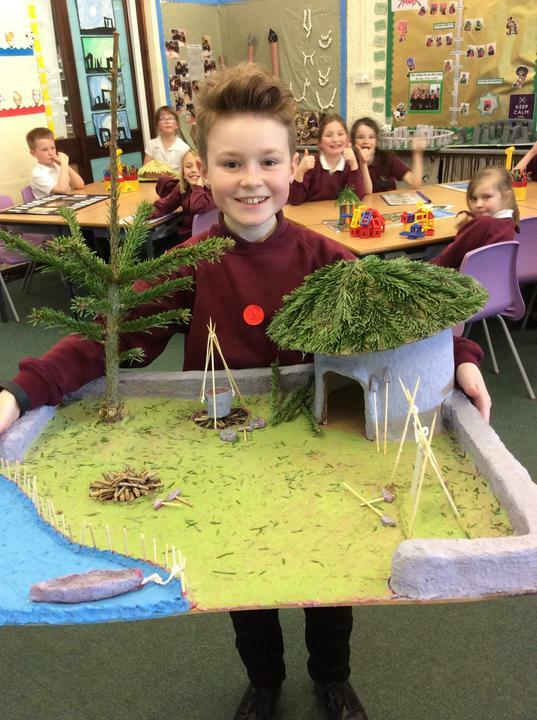 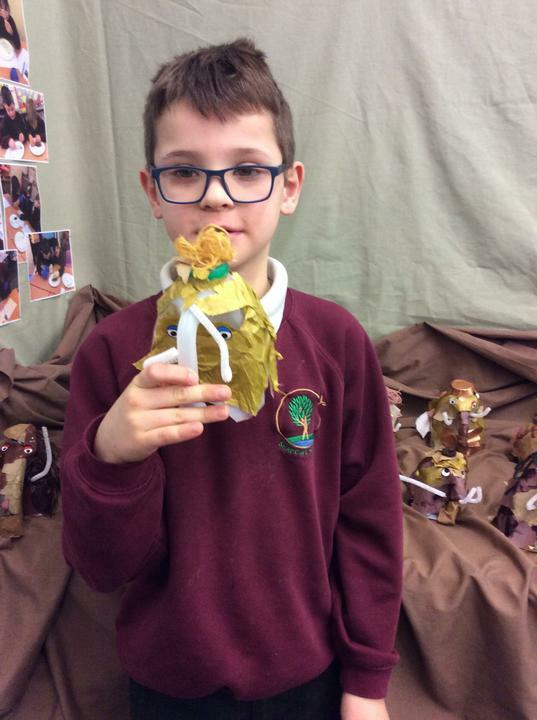 We are looking forward to what the Viking homework projects will bring. 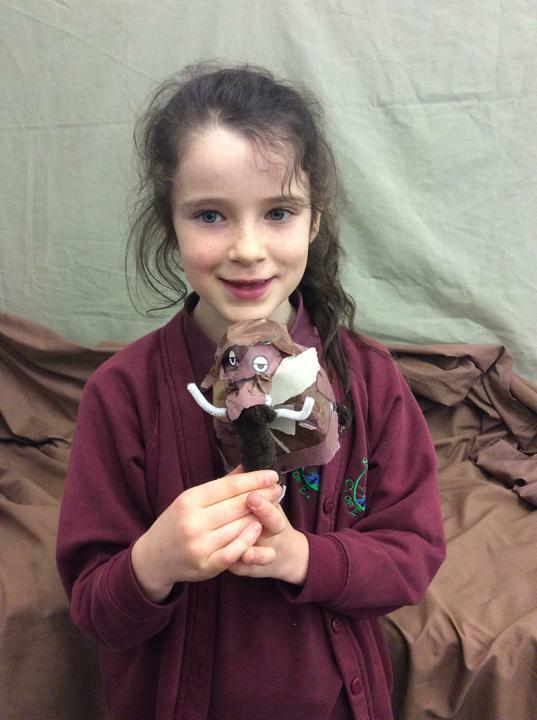 The Mighty Mammoth Click the web link to see our class during the dress rehearsal of the U Dance at the Sands Centre. 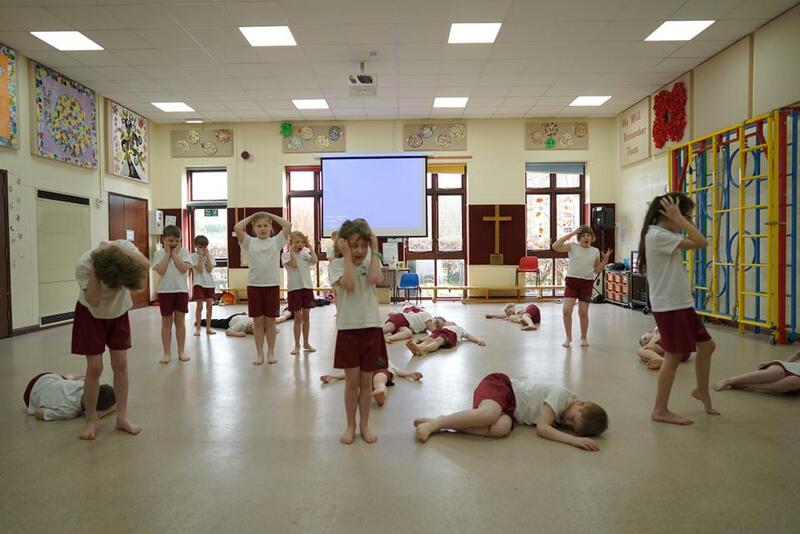 We were all involved in the planning and chorography of the dance. 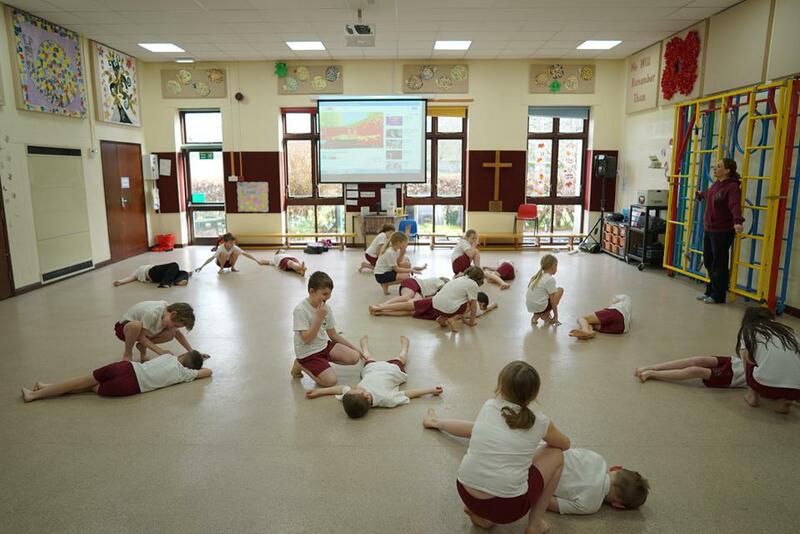 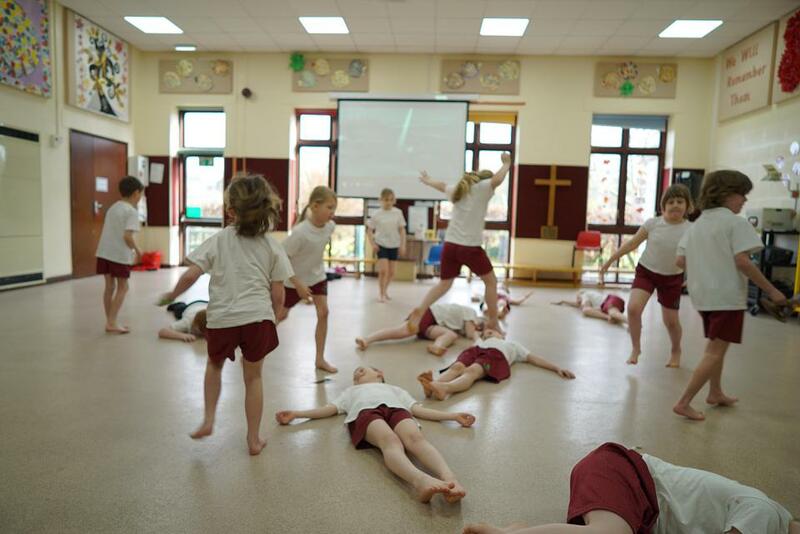 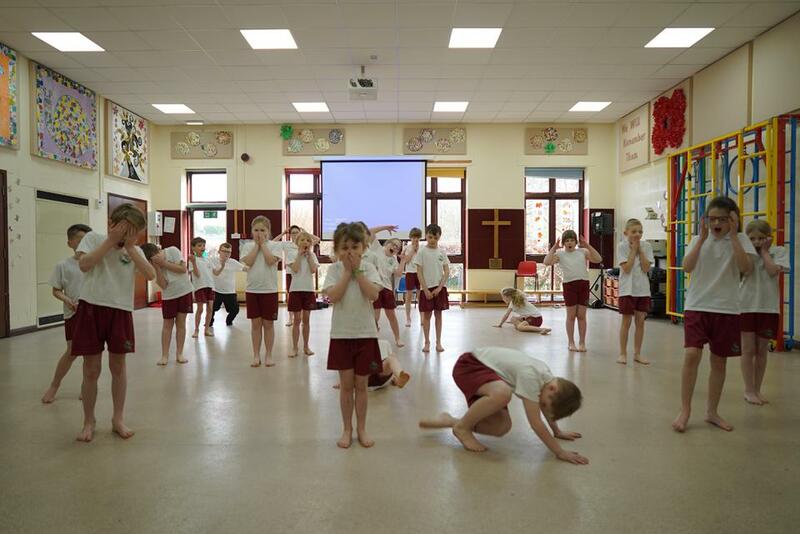 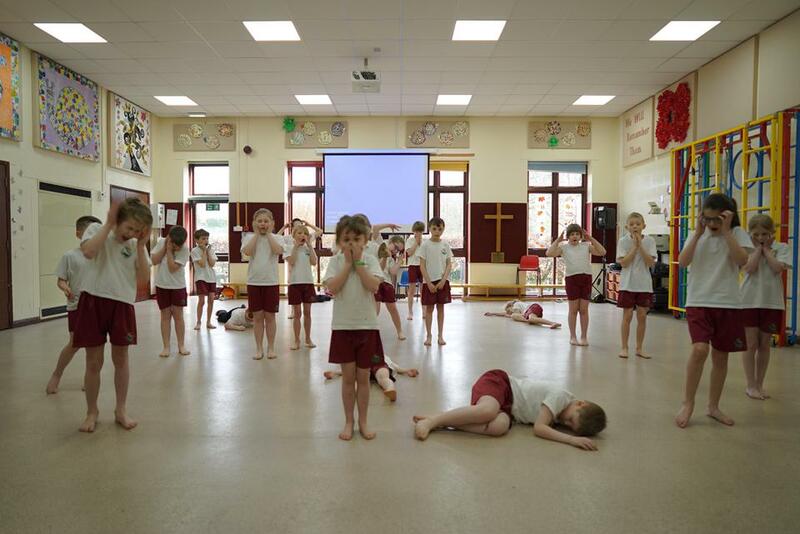 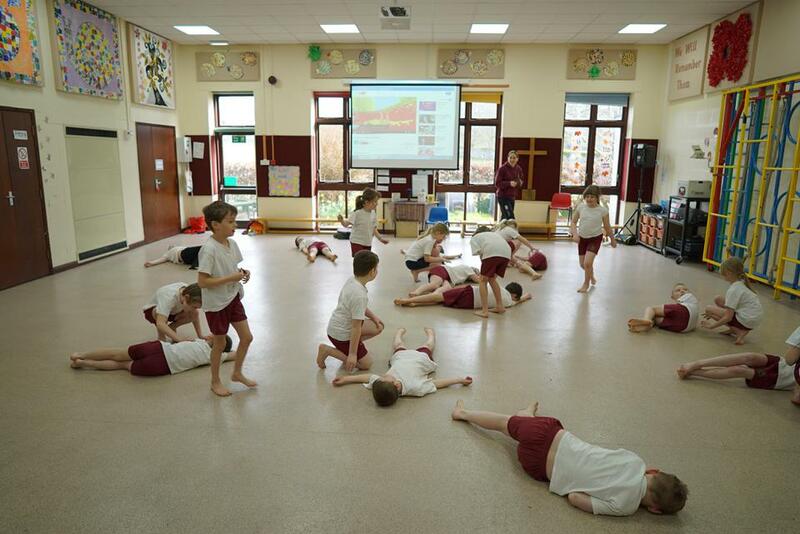 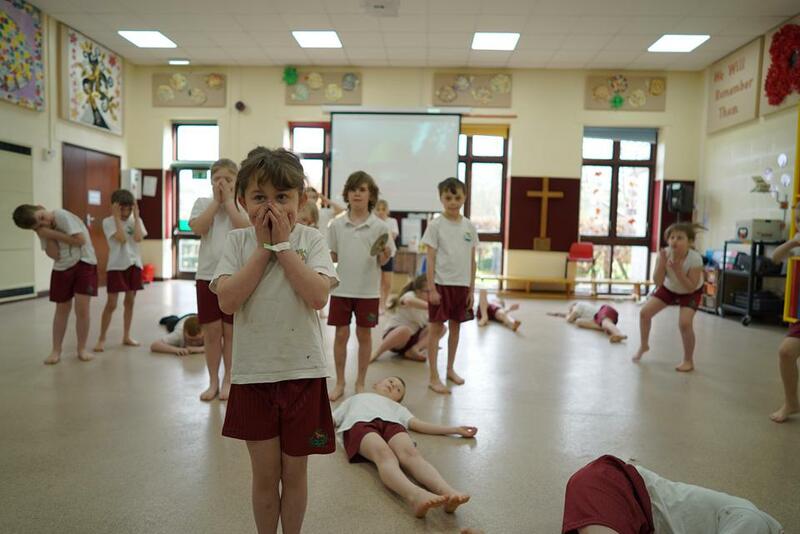 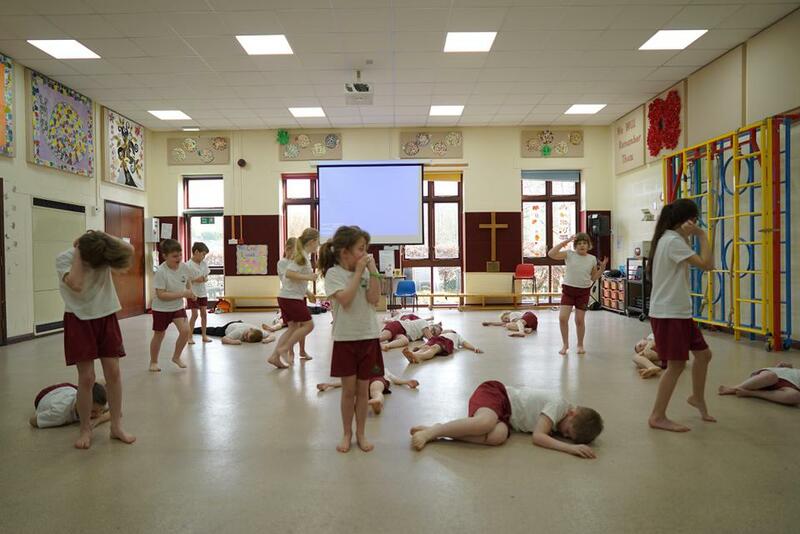 We also worked alongside Kelly McClelland from Eden Dance who pulled all our ideas together and suggested ways to improve the dance. 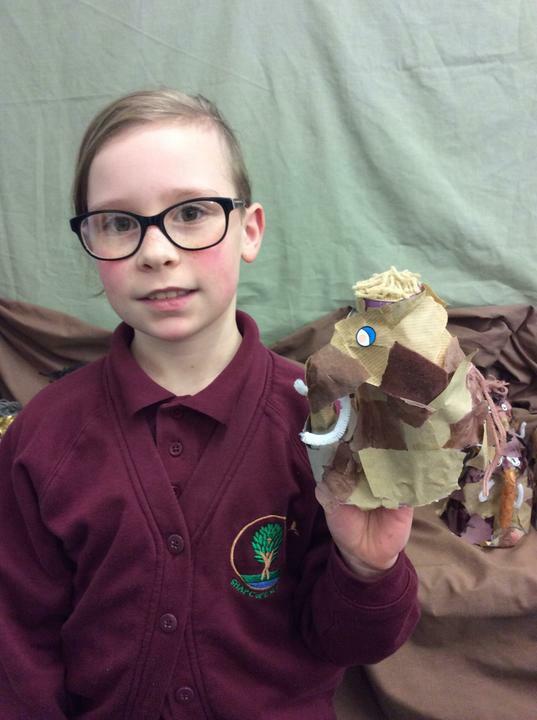 We want to say a massive thank you to her and also the parents that were involved in creating the centre piece of the dance, ‘The Mammoth’! 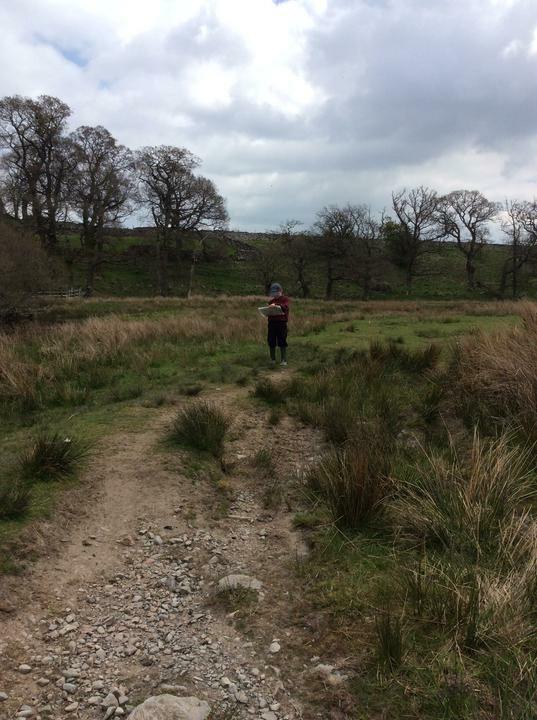 This episode catches up with our intrepid hero who finds himself in a big sod of earth. 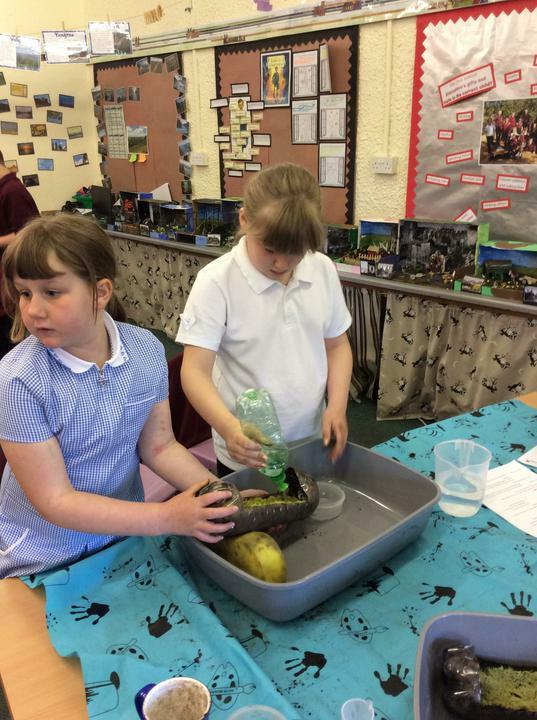 Proudly presenting 'The Amazing Adventures of Walter the Water Droplet' Episode One in which our hero, Walter meets a dinosaur. 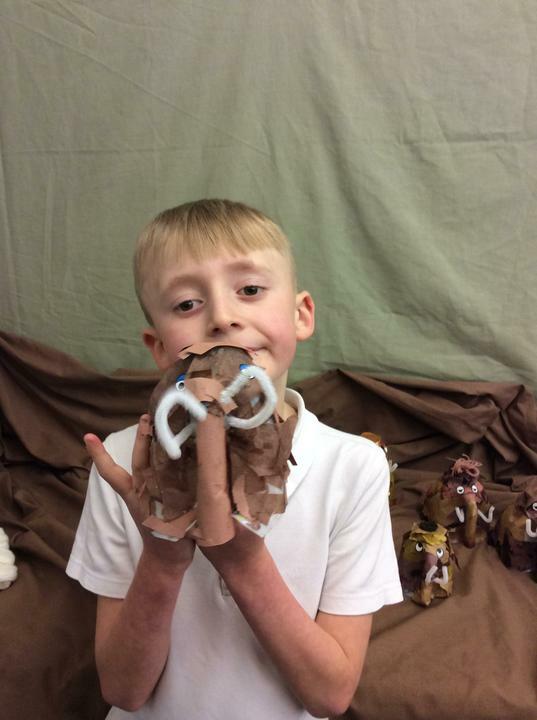 Follow Walter and his friends as they travel through space and time. 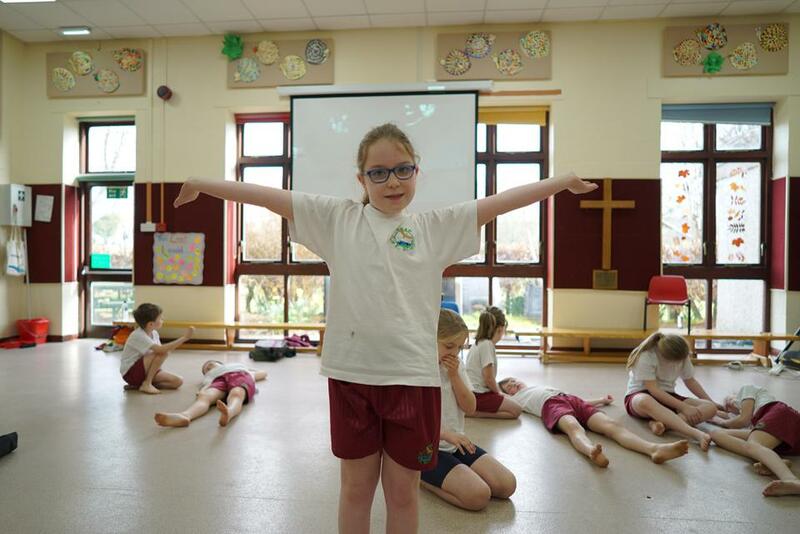 We've another 10 of these epic little films... Who would ever have believed we could make a superhero out of a droplet? 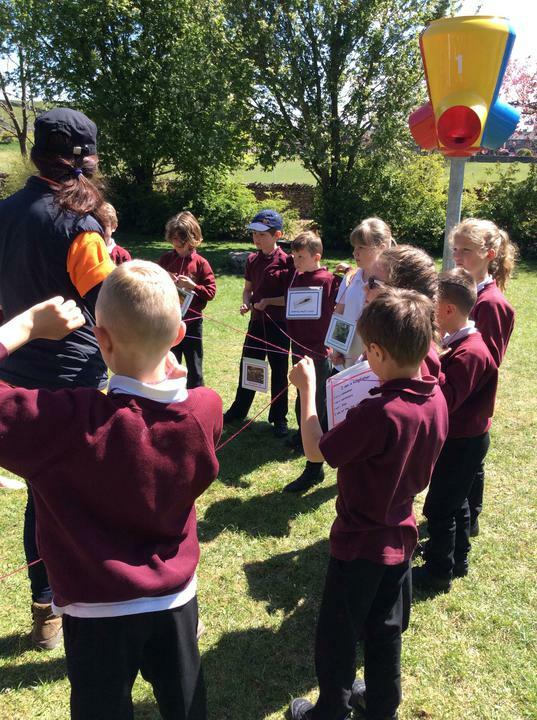 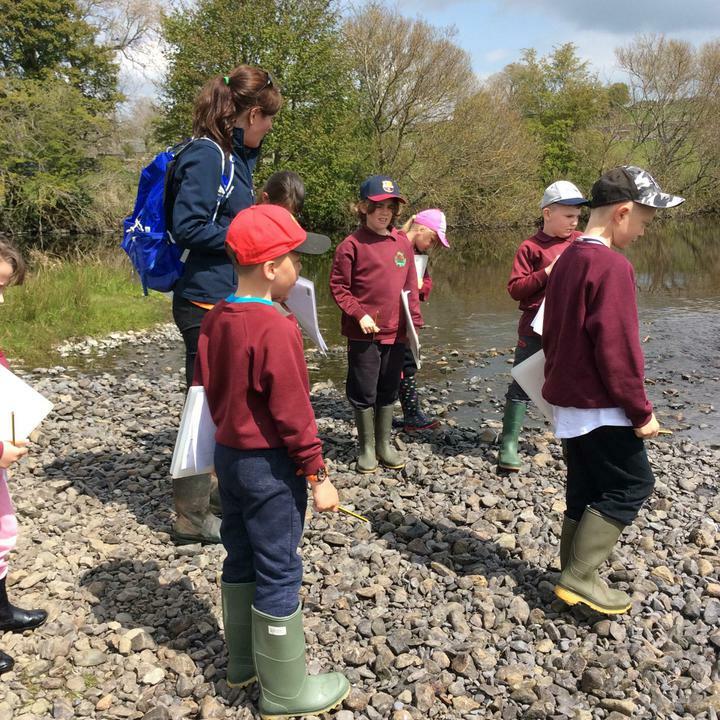 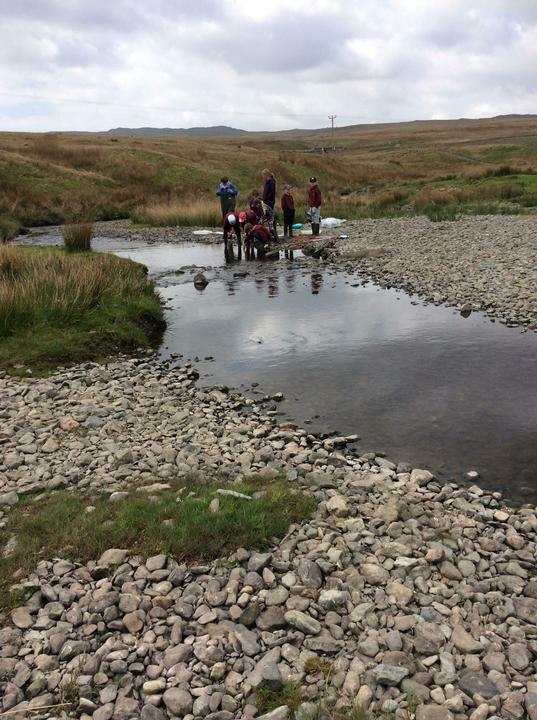 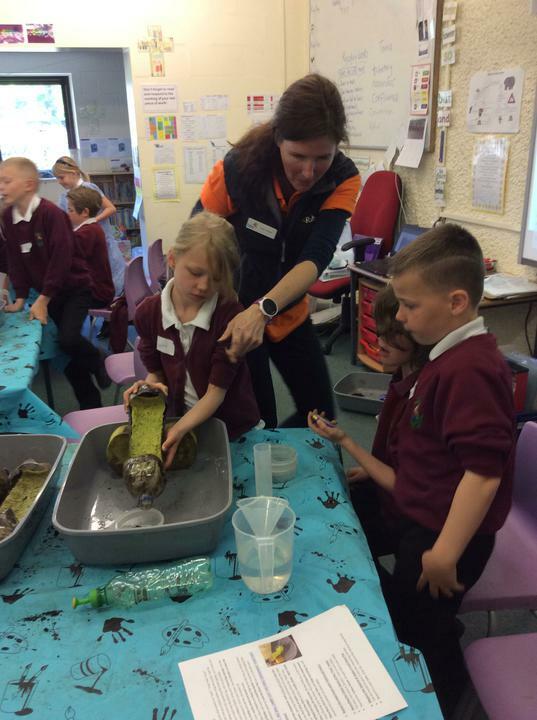 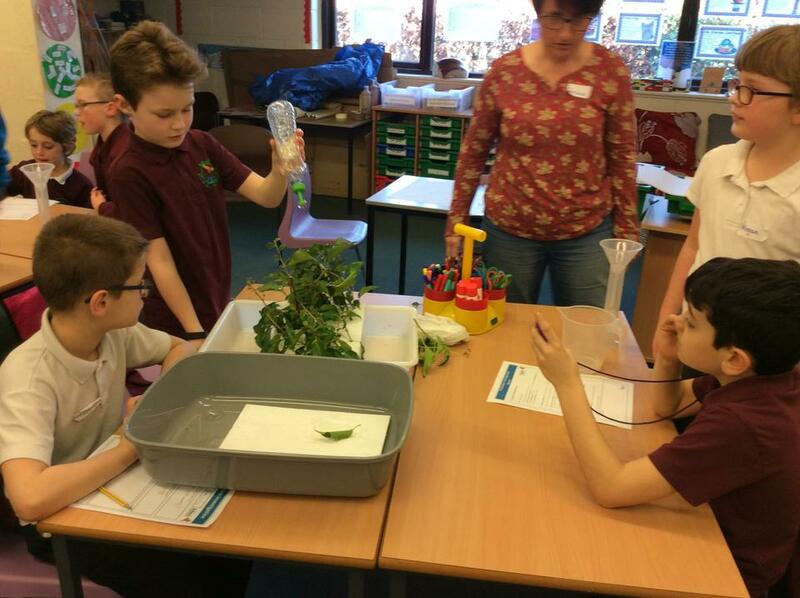 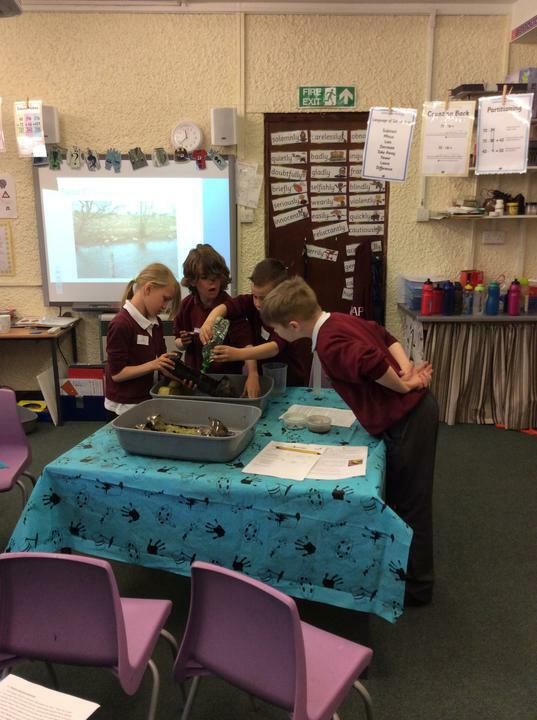 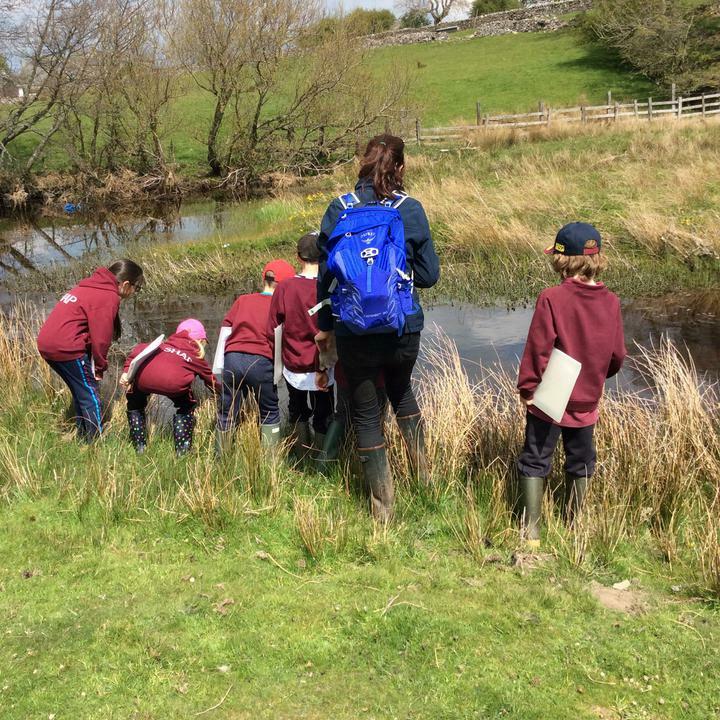 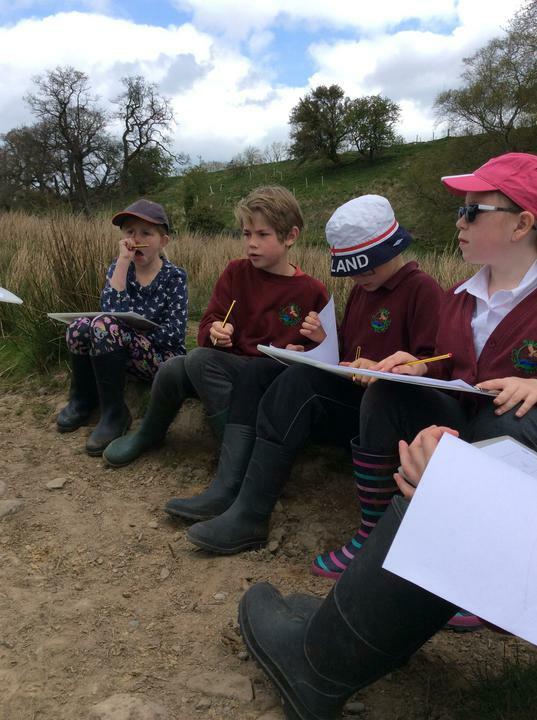 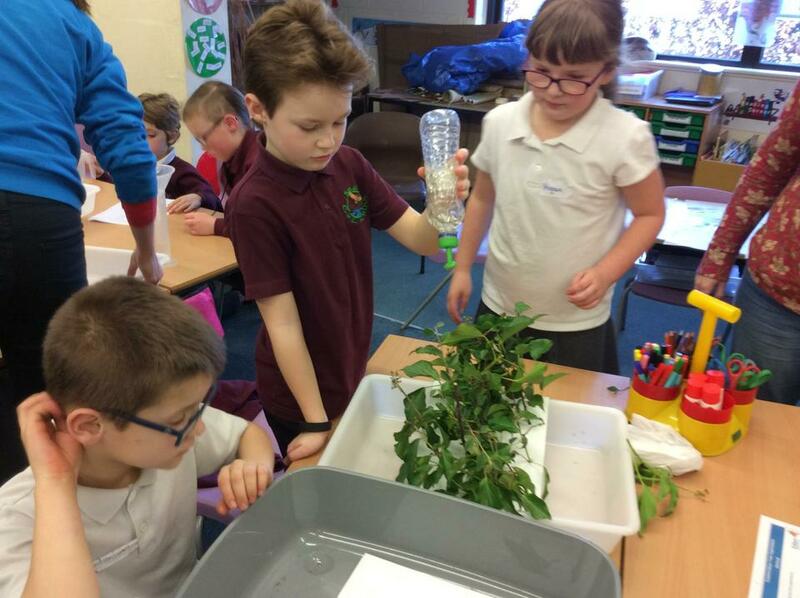 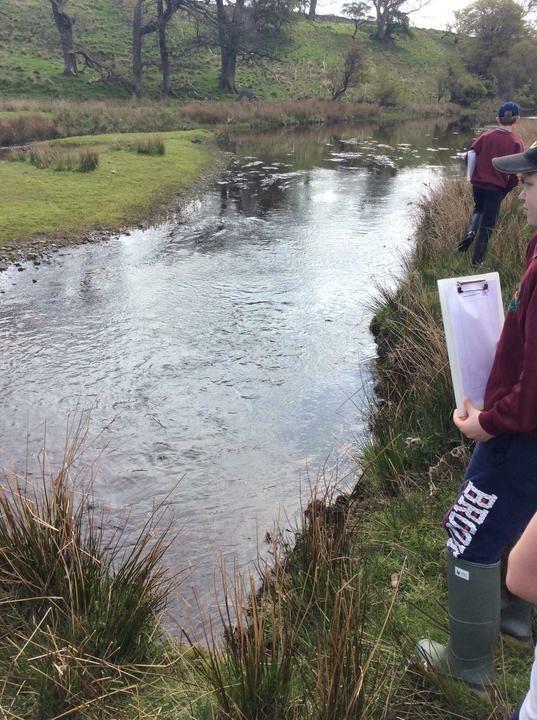 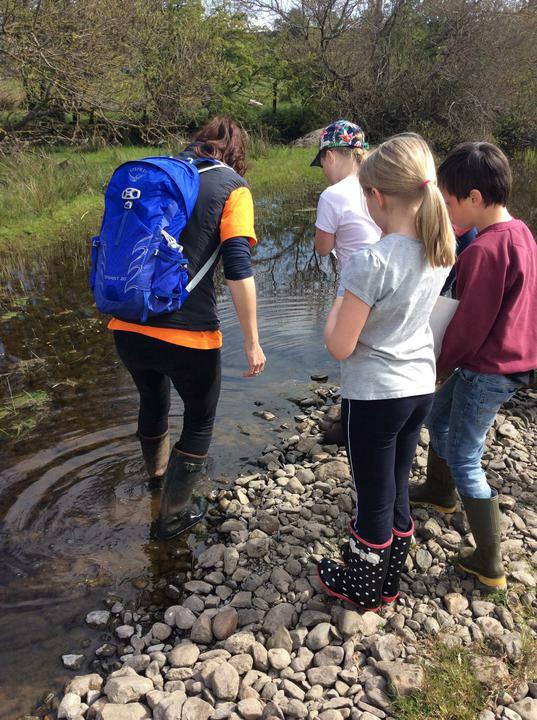 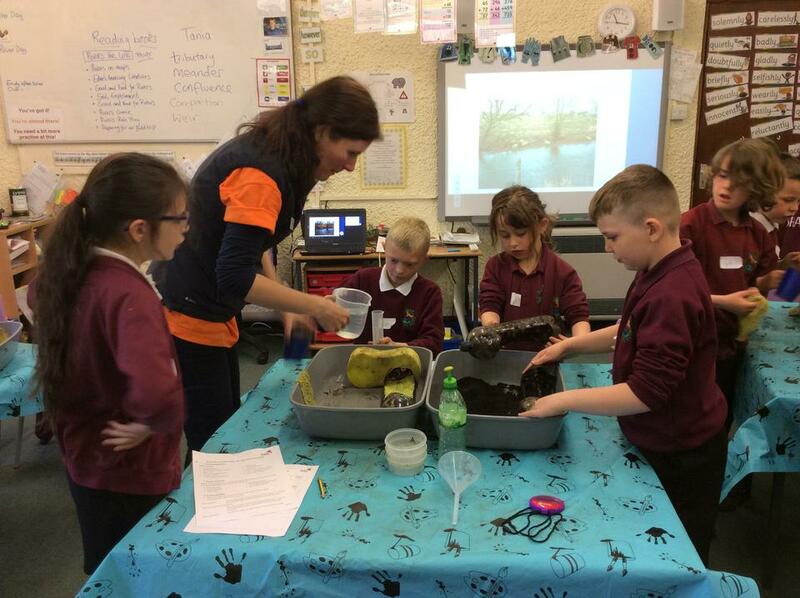 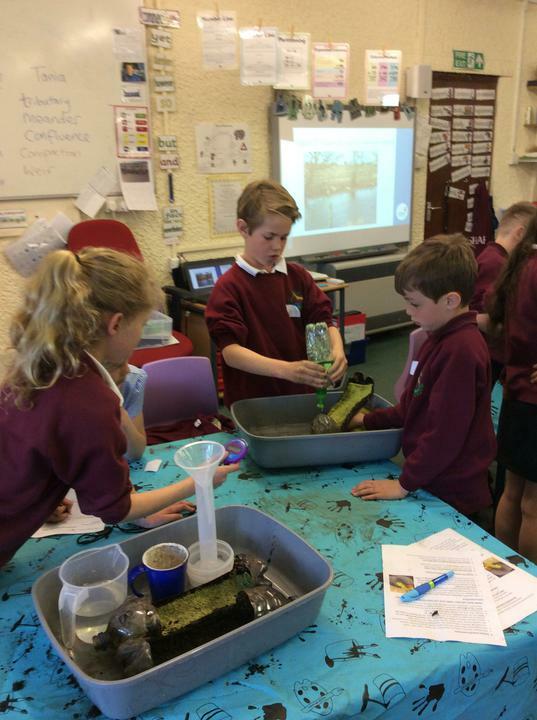 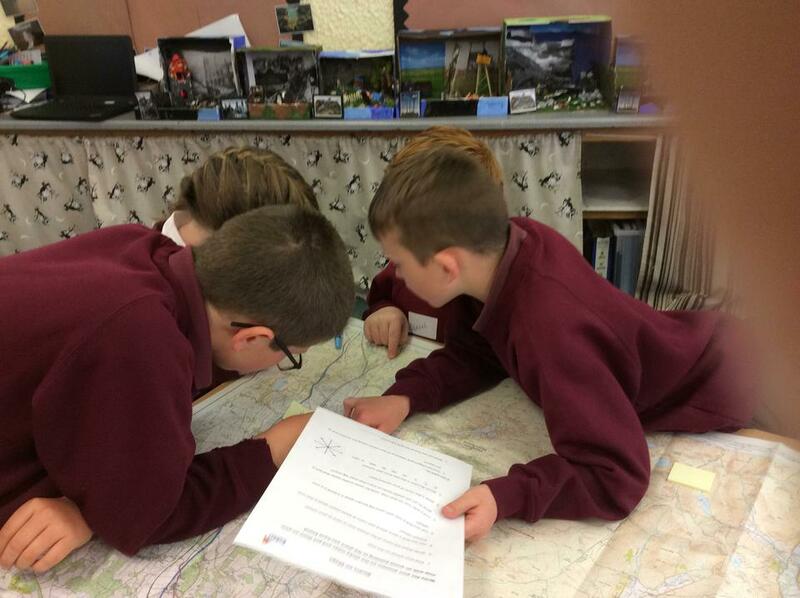 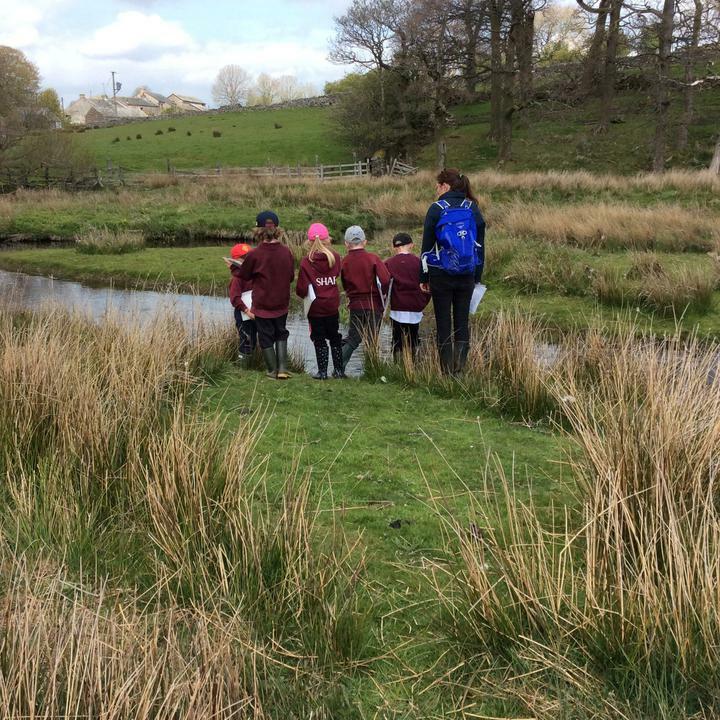 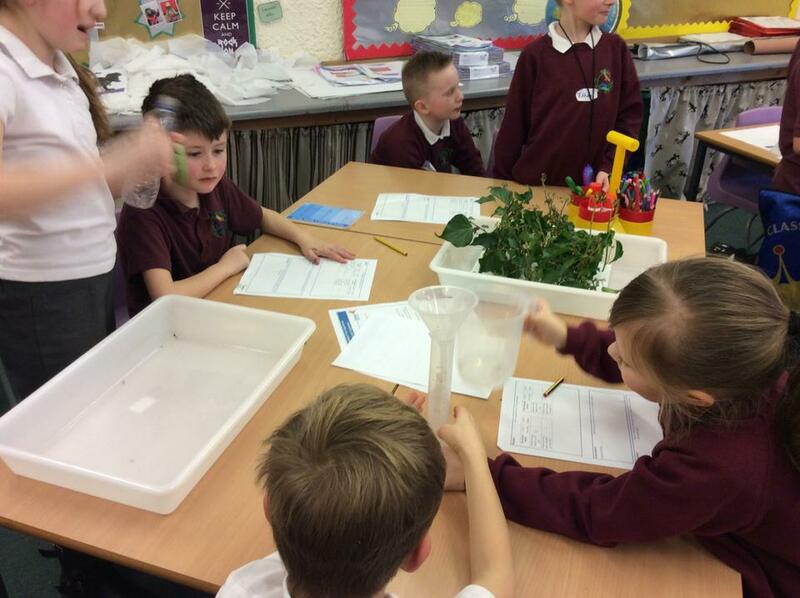 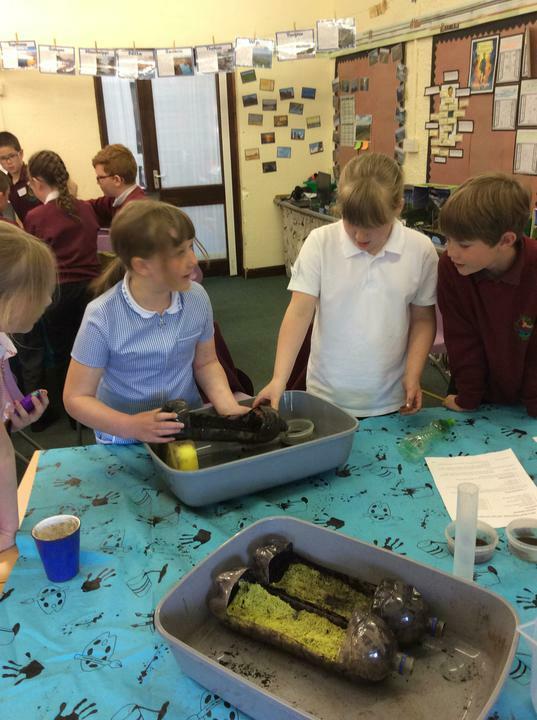 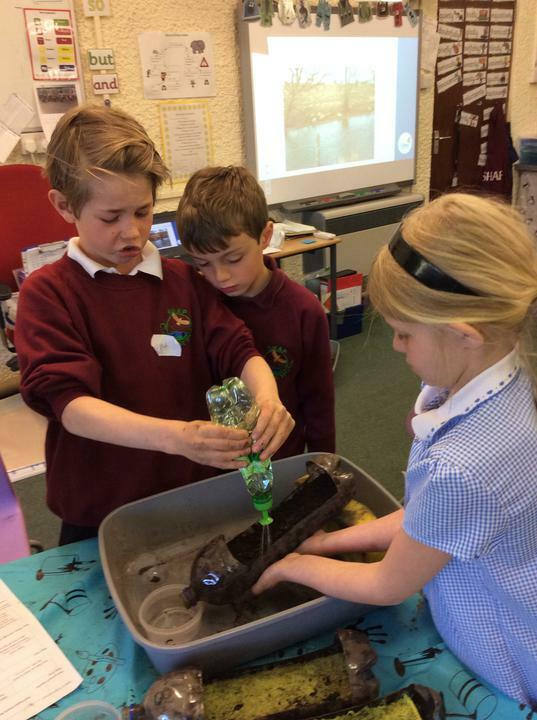 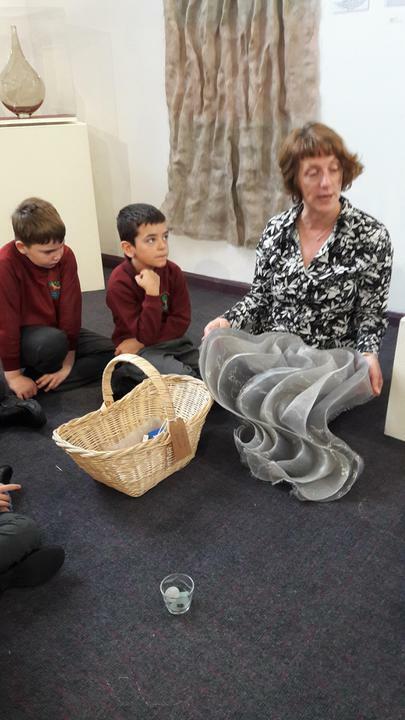 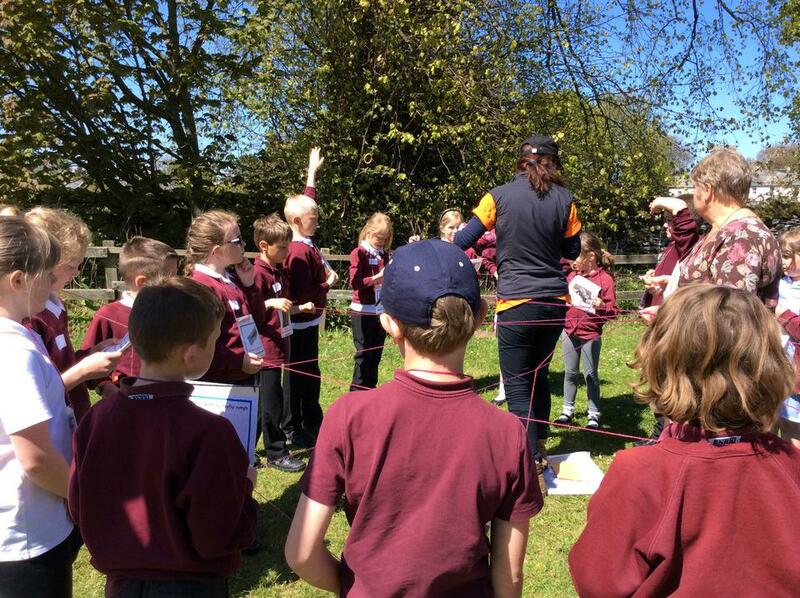 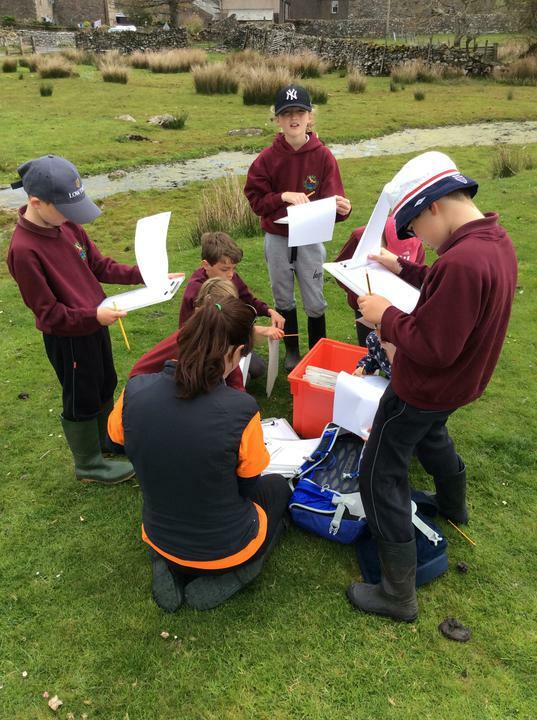 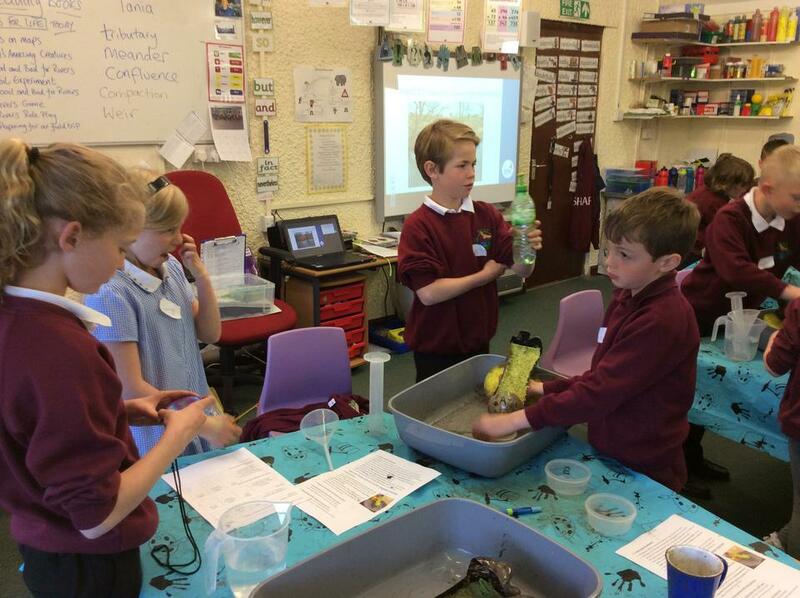 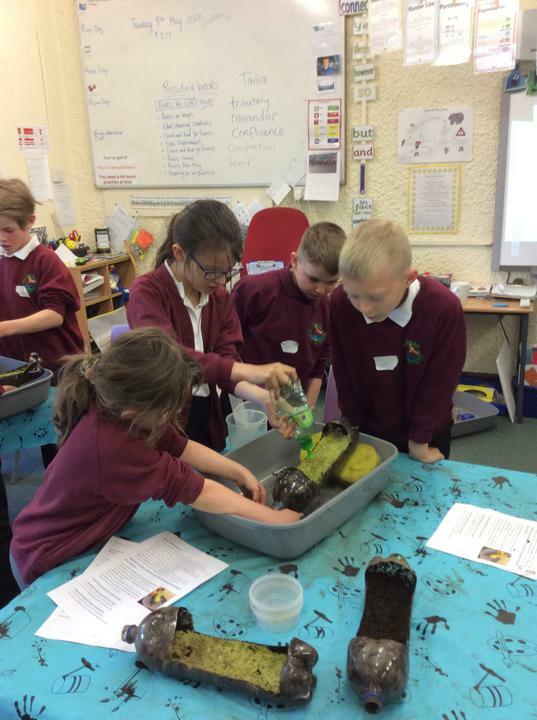 We are very lucky to be working alongside Tania from the Eden Rivers Trust to develop our understanding of the water cycle. 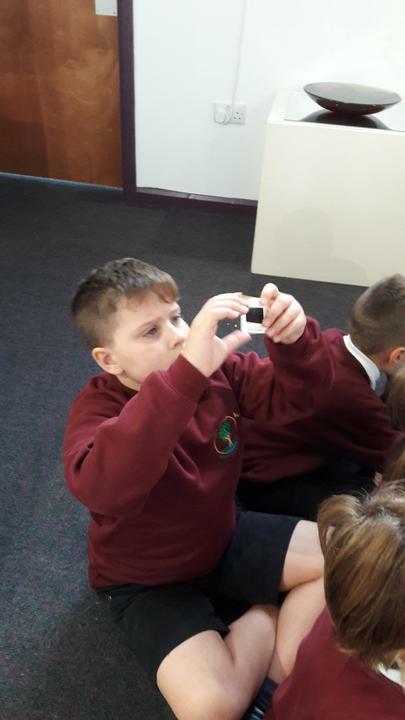 We are then going to be working with Janine to firstly learn how to make an animation and then eventually create our own animations to tell others about the water cycle. 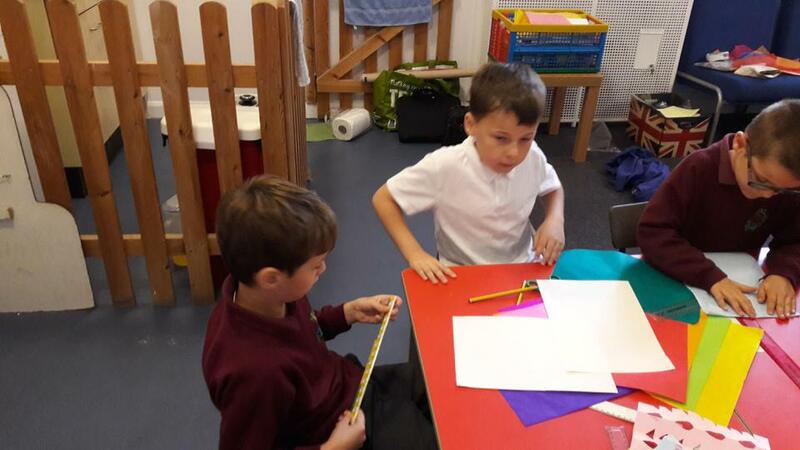 These animations will soon follow. 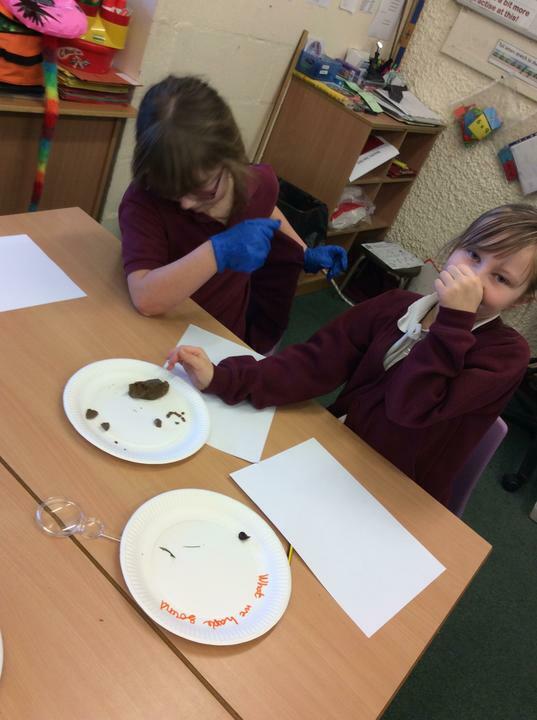 While we were out at lunch someone made a delivery of poo along with some instructions (Our classroom was very smelly!). 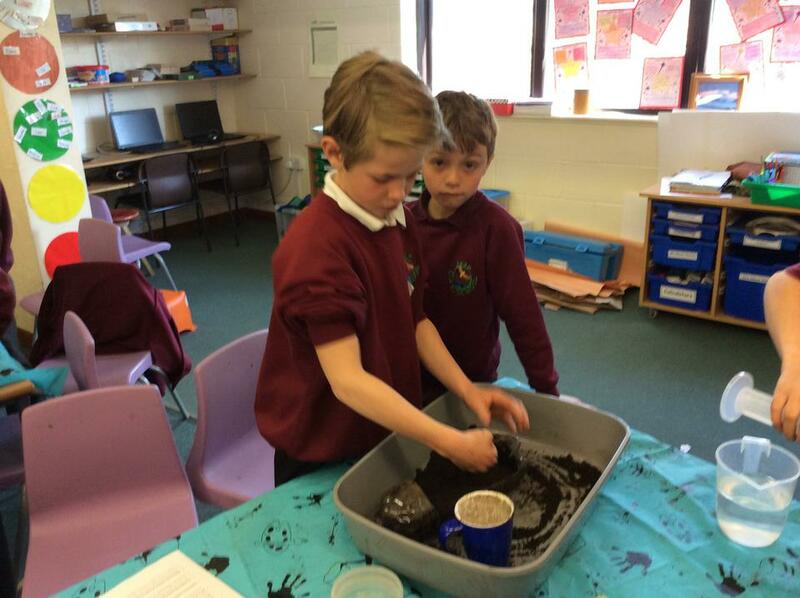 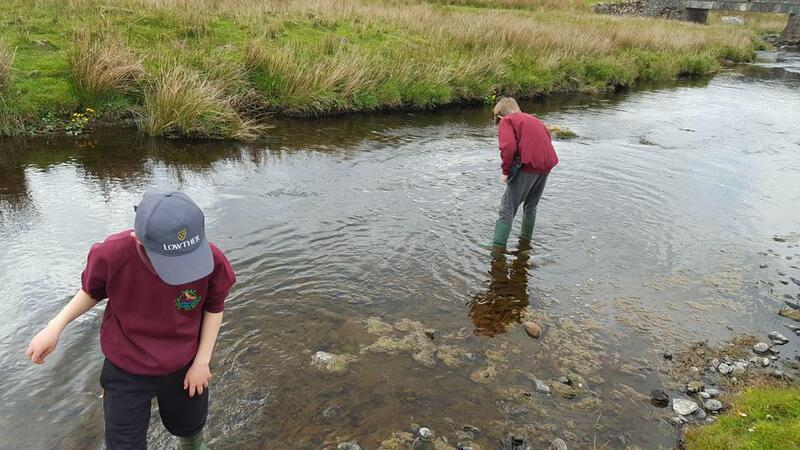 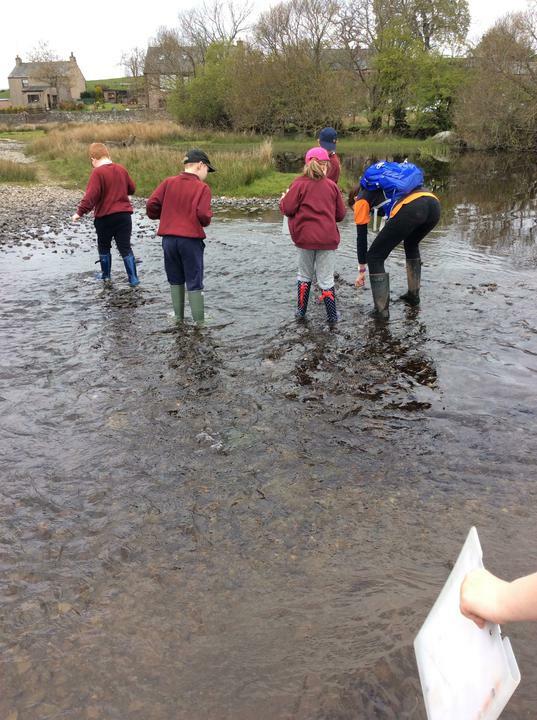 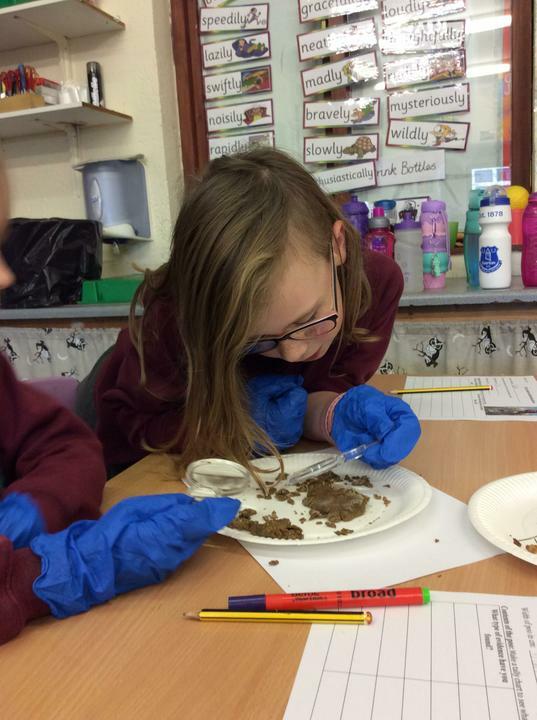 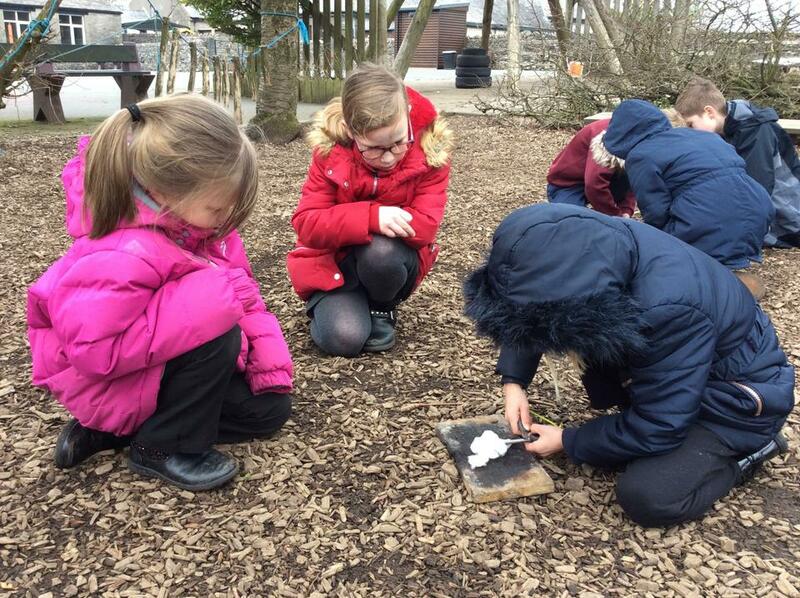 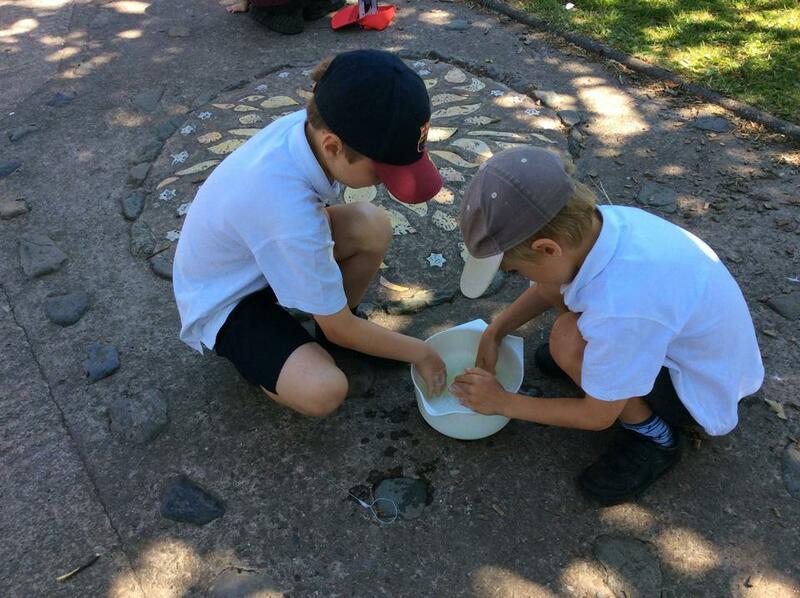 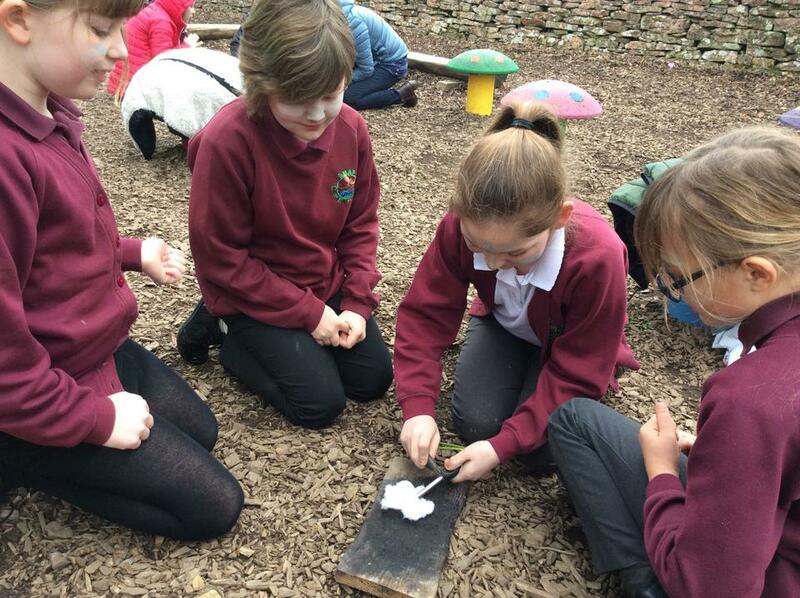 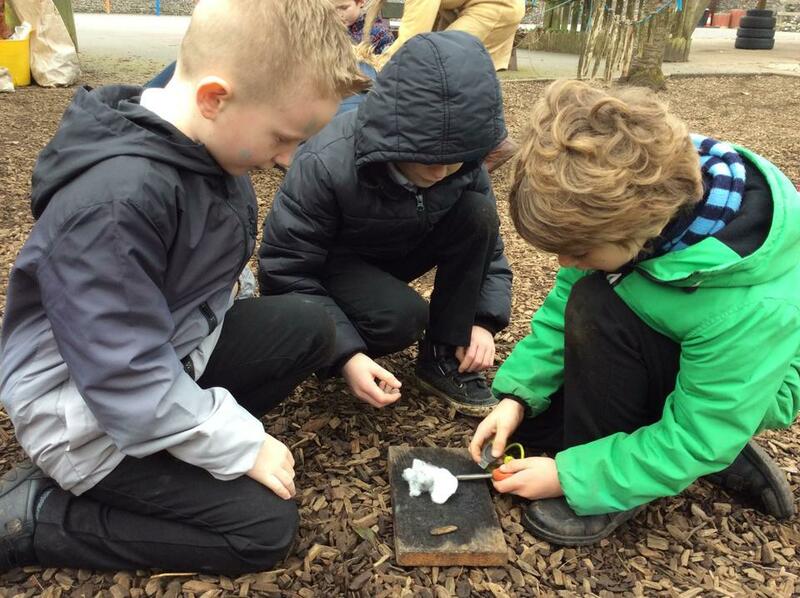 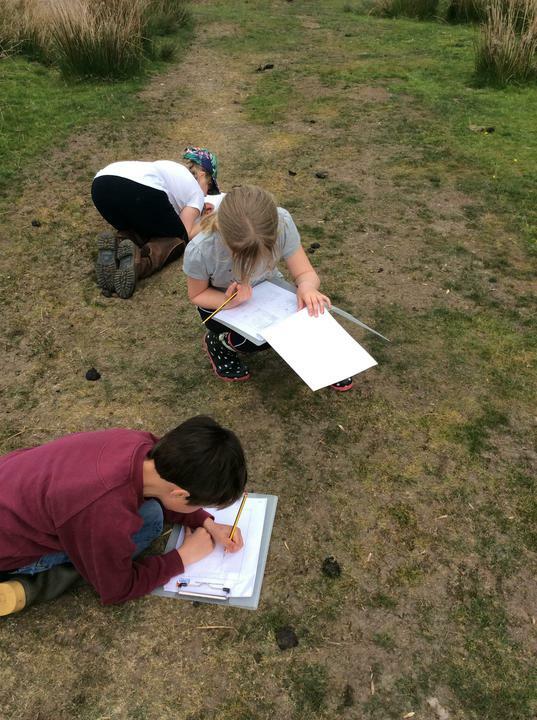 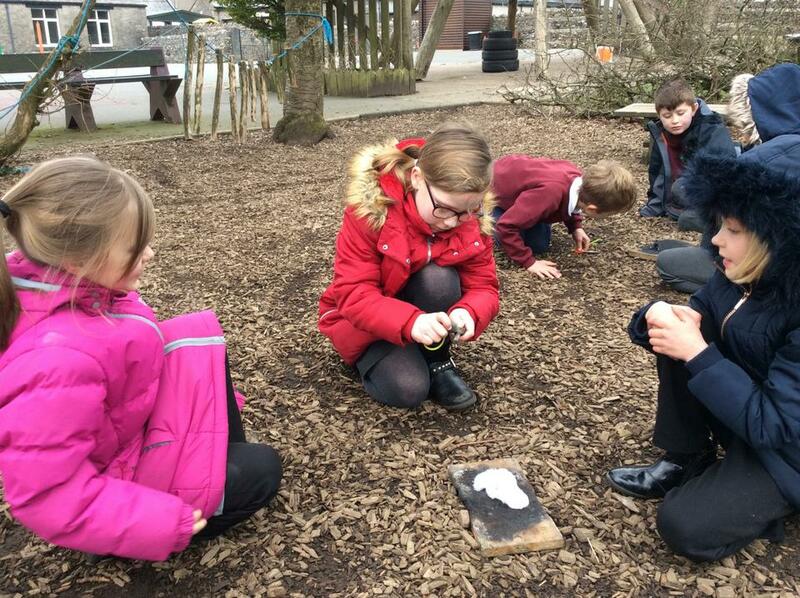 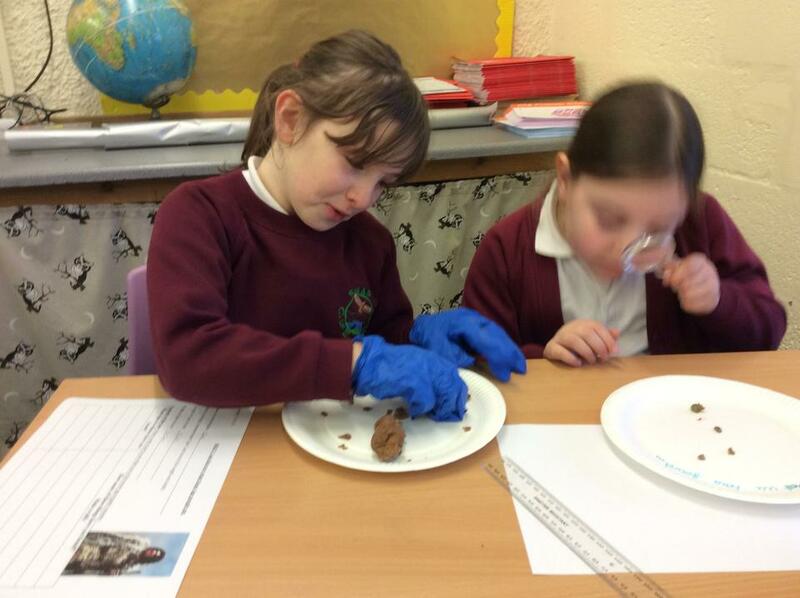 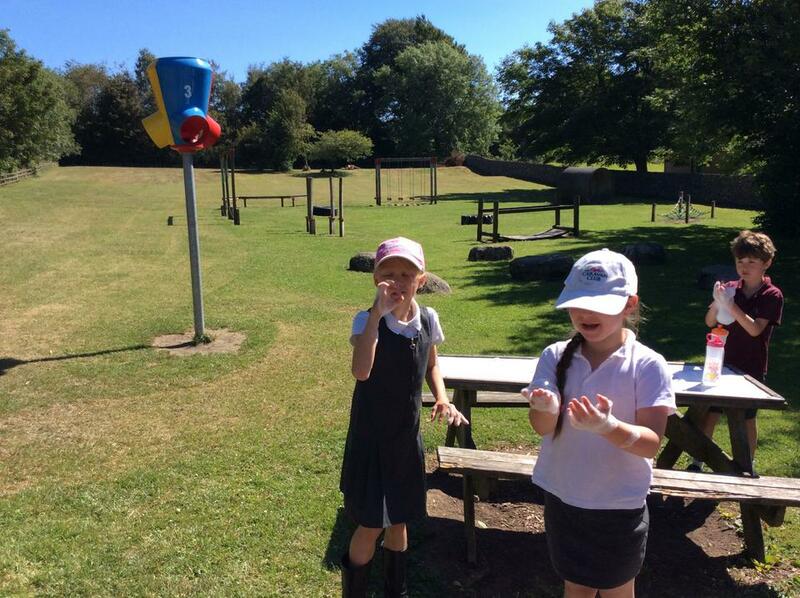 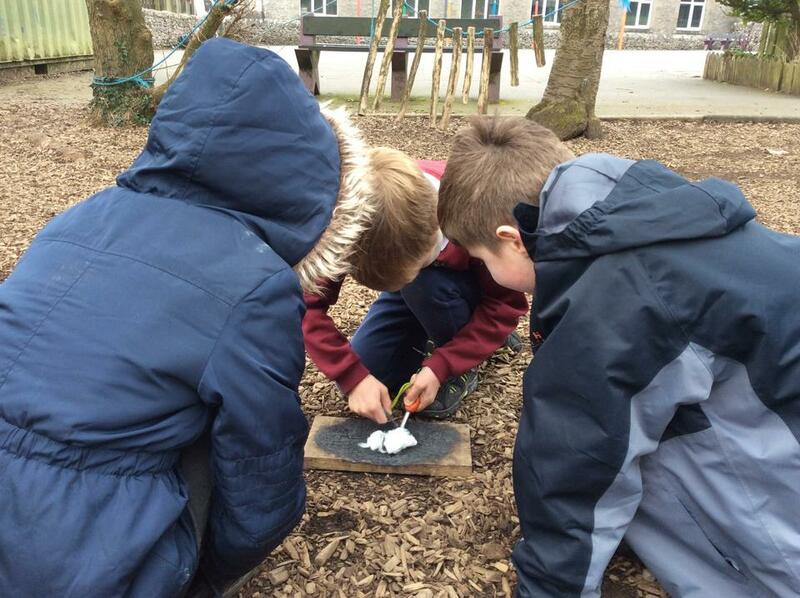 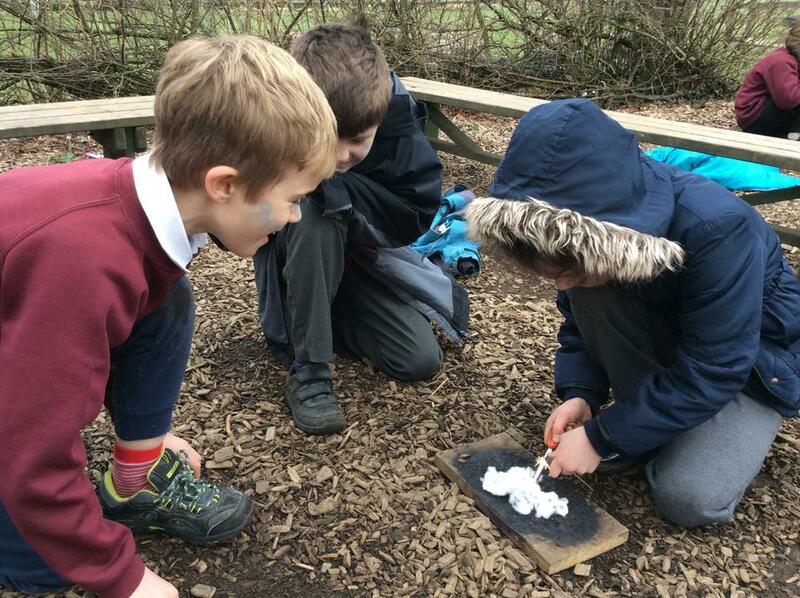 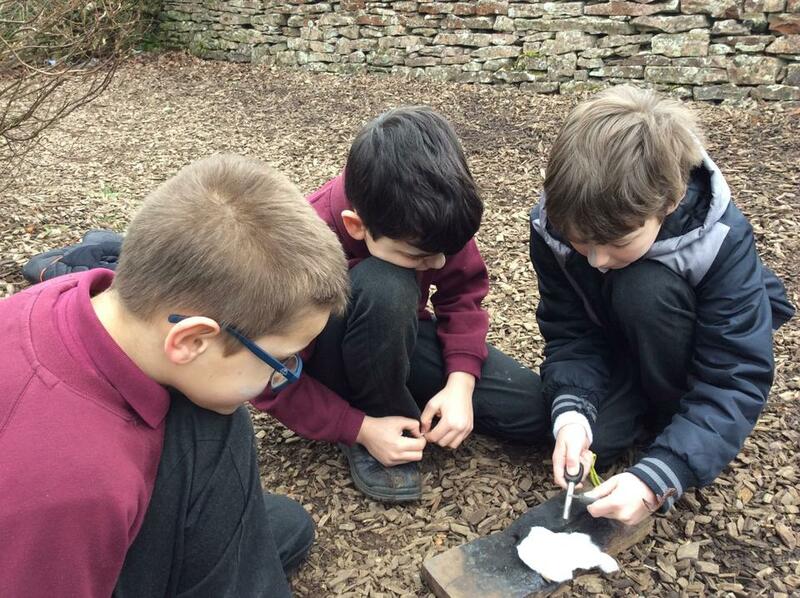 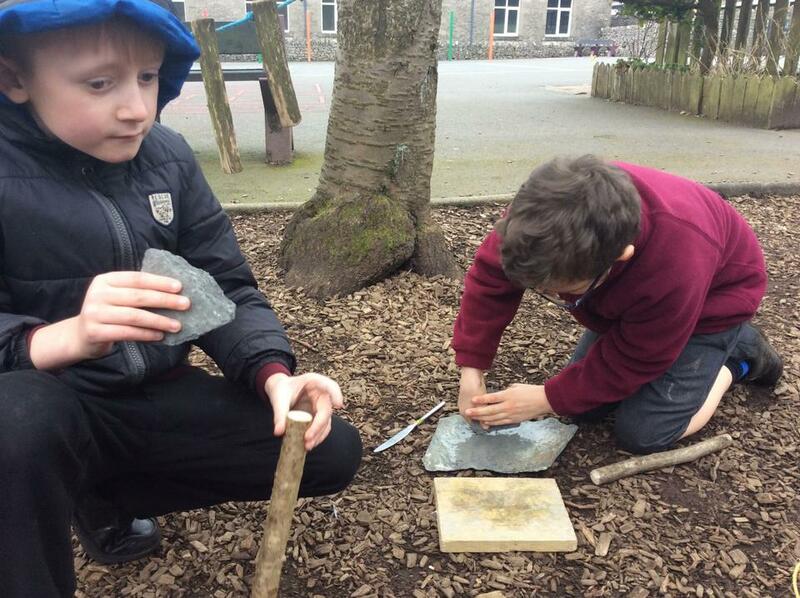 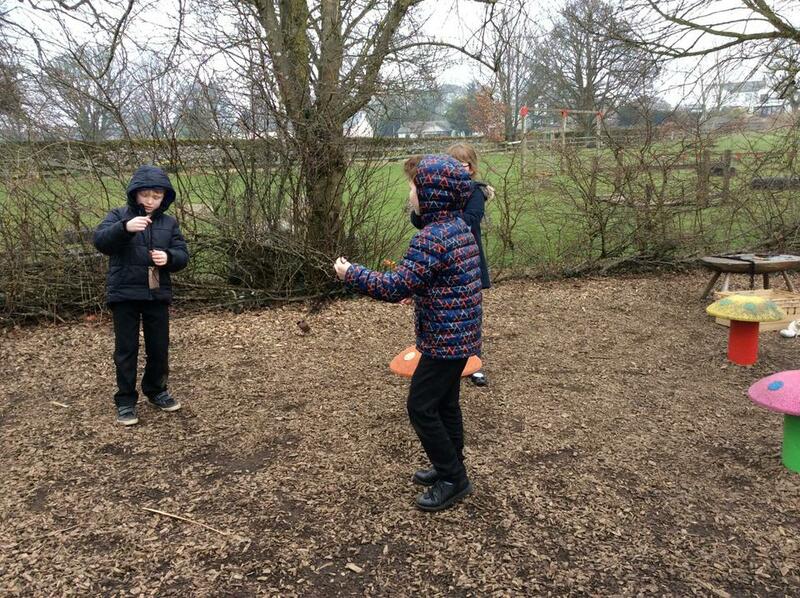 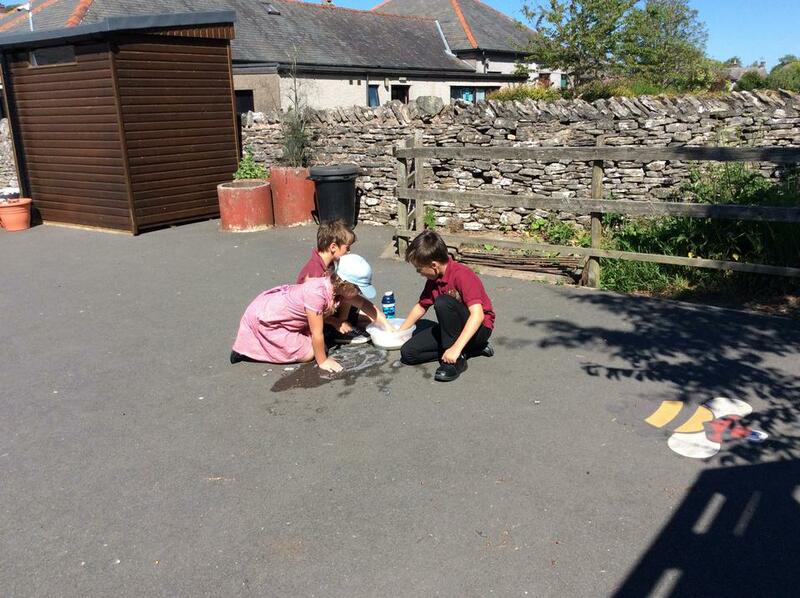 We had to work as detectives to discover where the poo had come from. 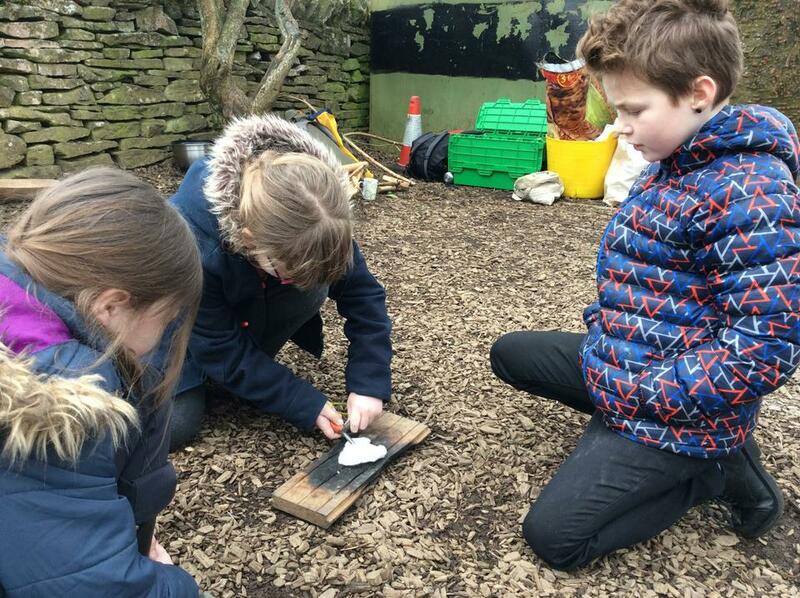 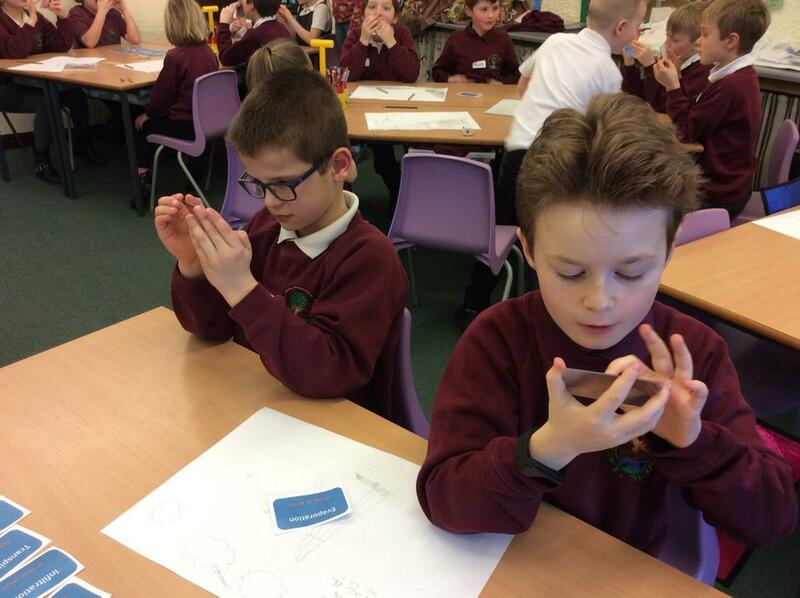 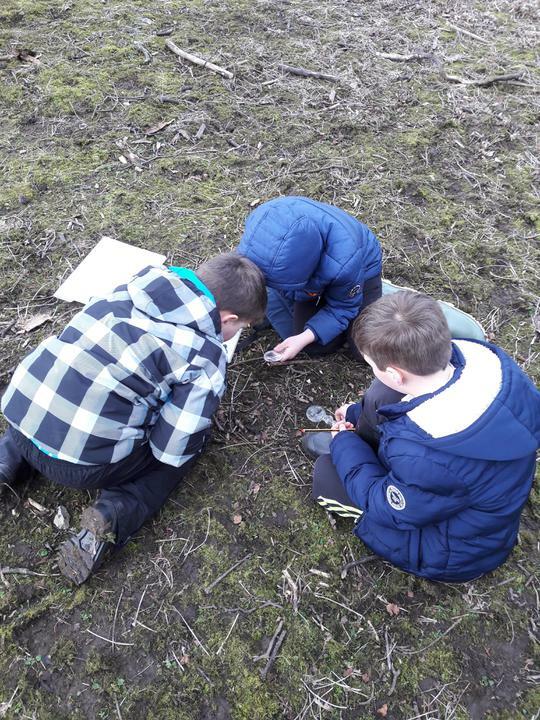 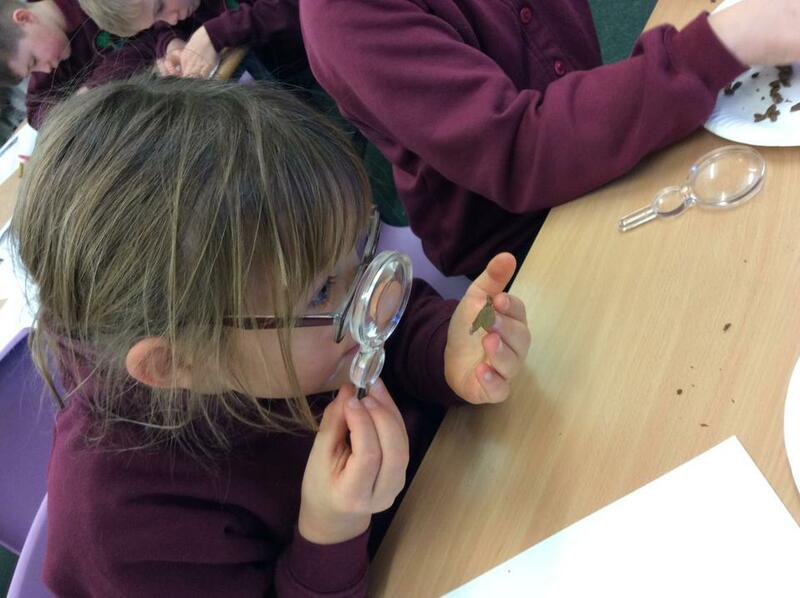 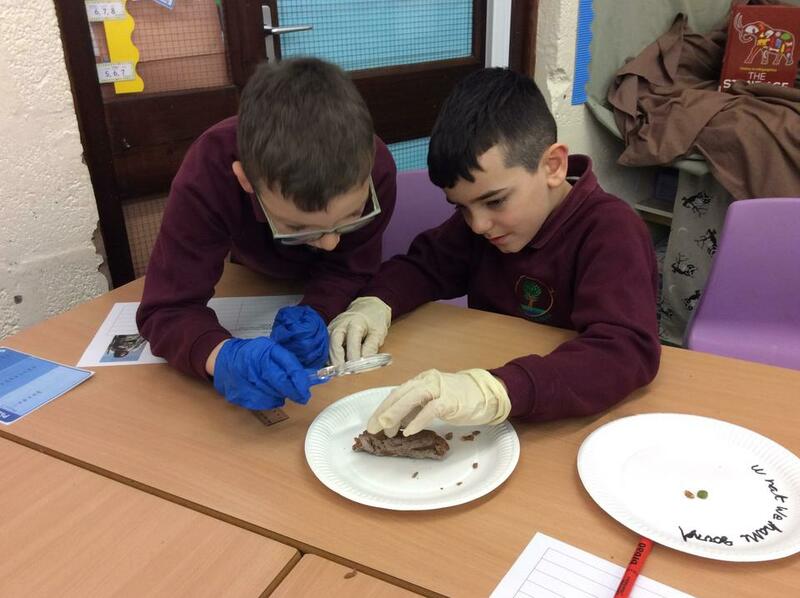 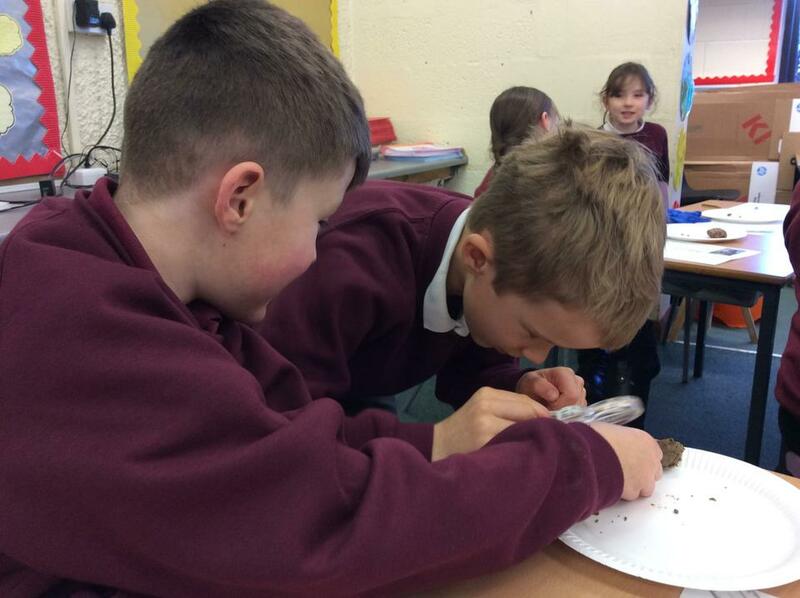 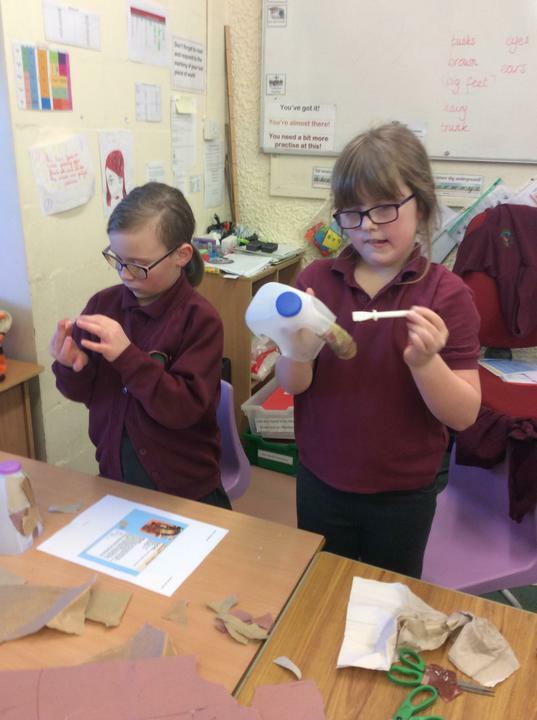 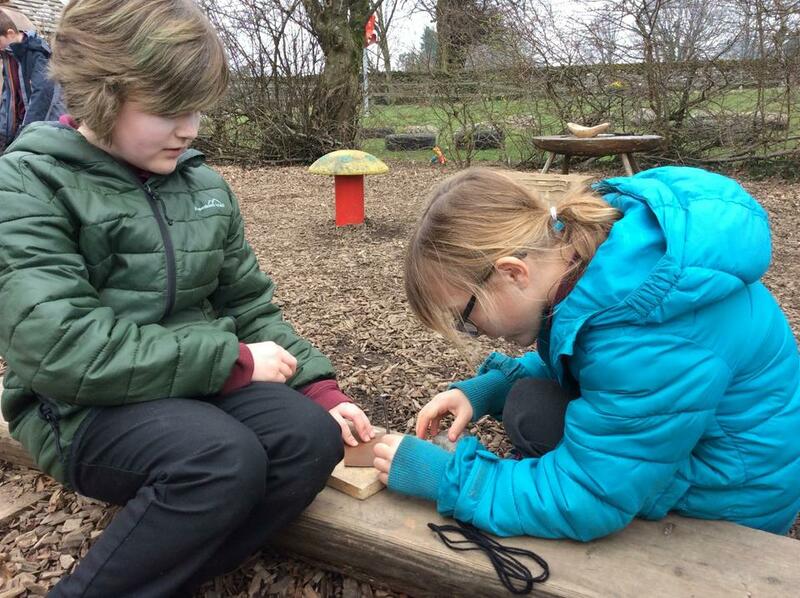 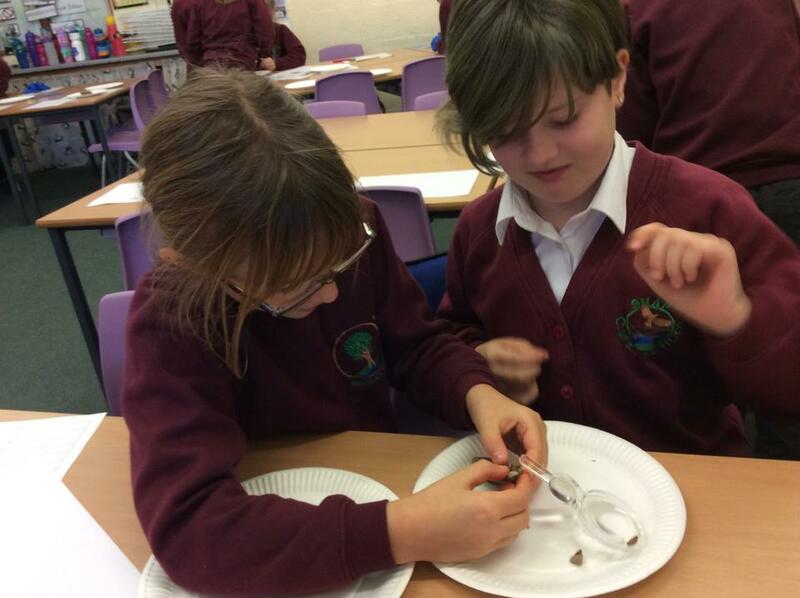 We used the magnifying glasses to look at what food items we could find within the poo and then we predicted if the poo was from people during the Stone Age or Roman period of History. 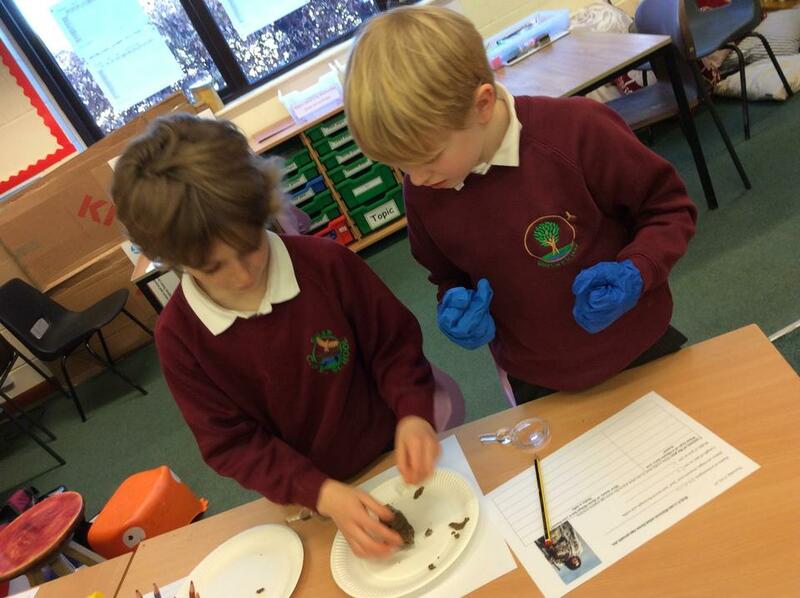 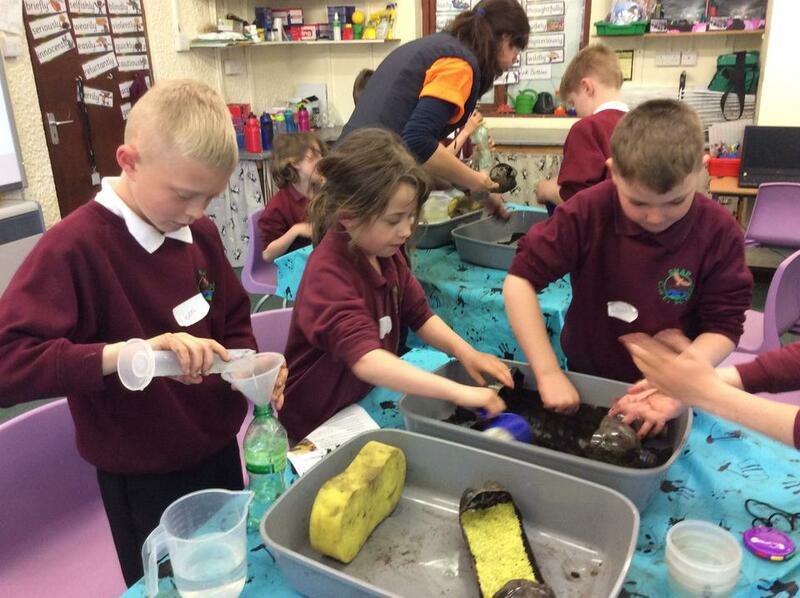 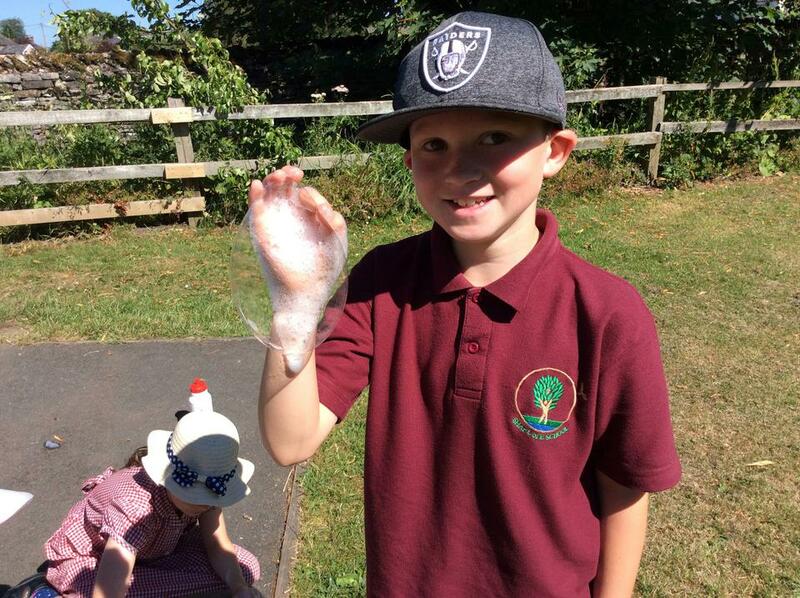 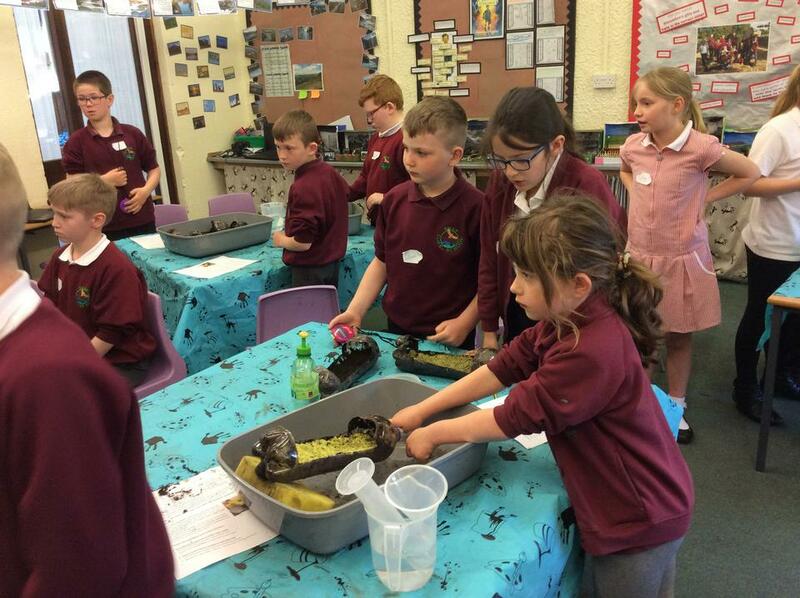 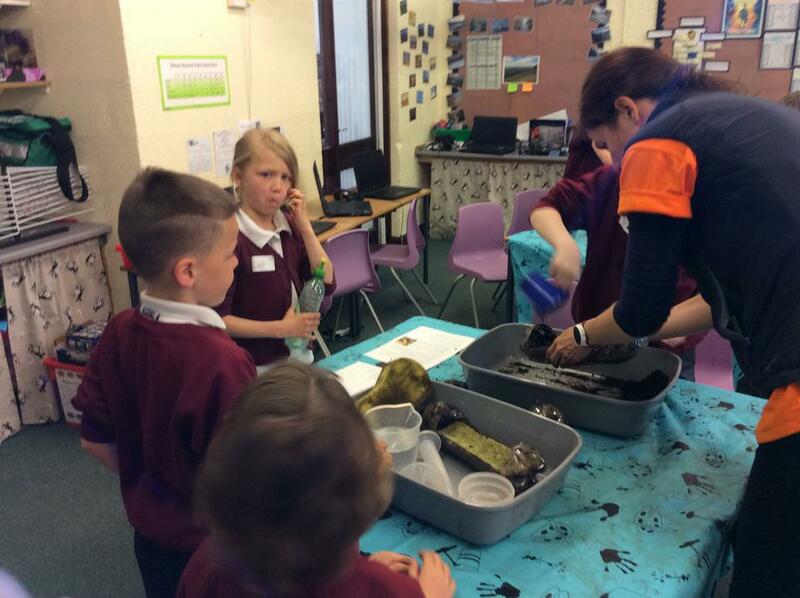 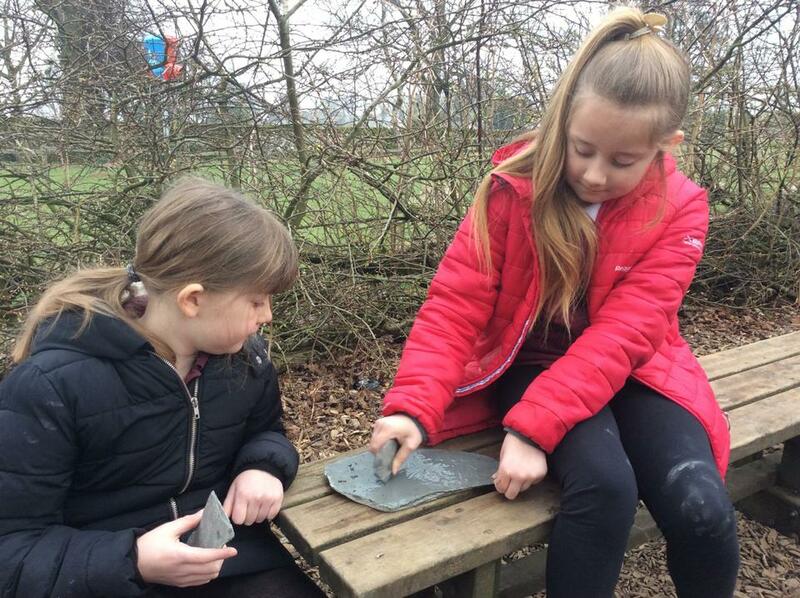 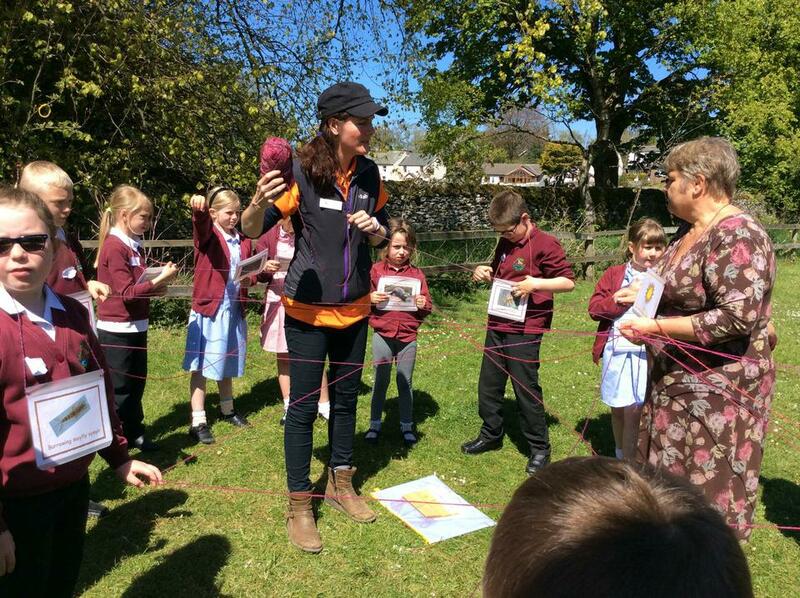 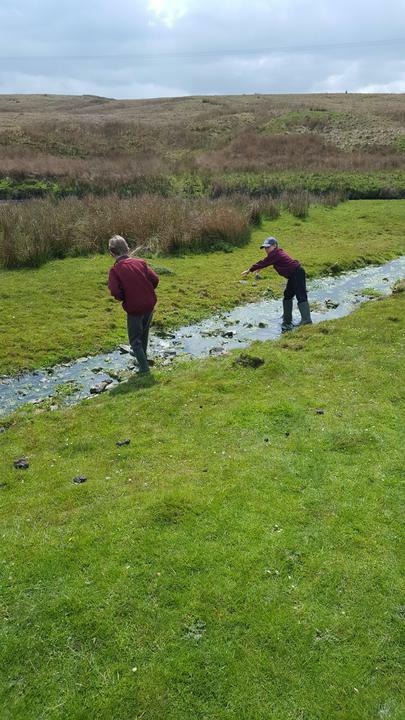 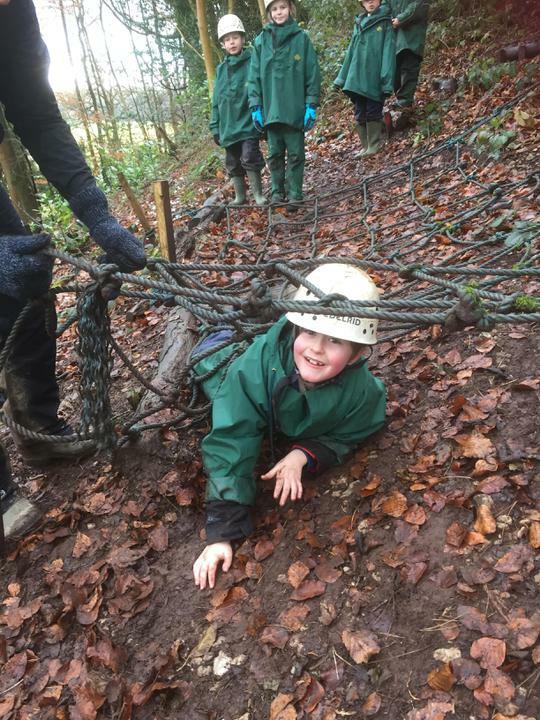 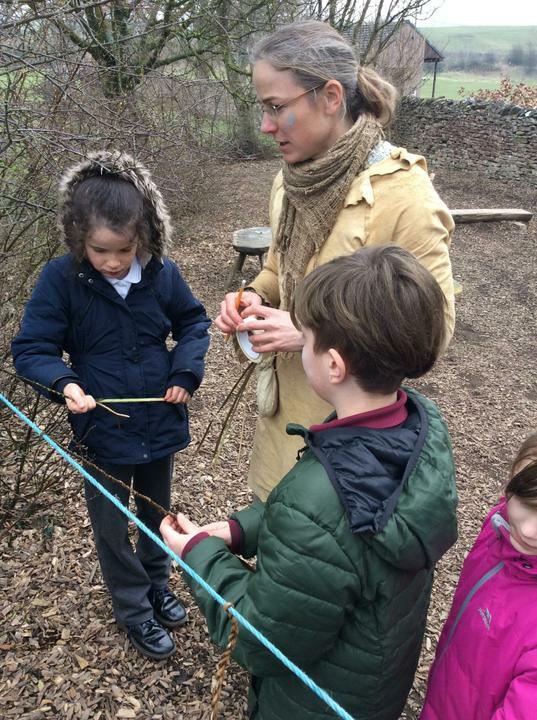 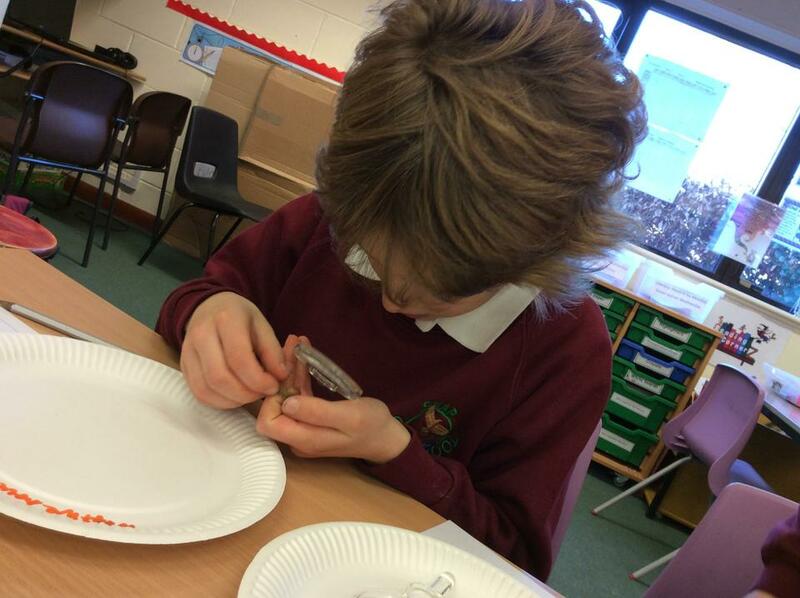 "Although this was gross, I loved carefully pulling the poo apart to see what I could find!" 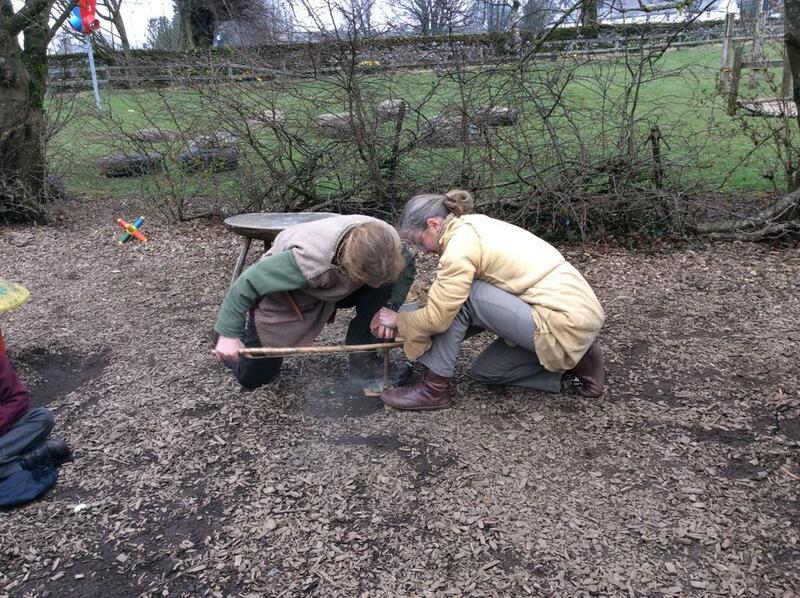 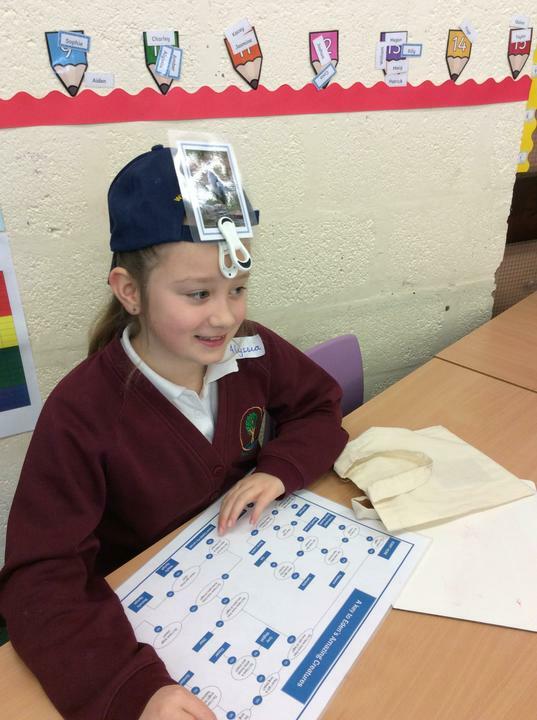 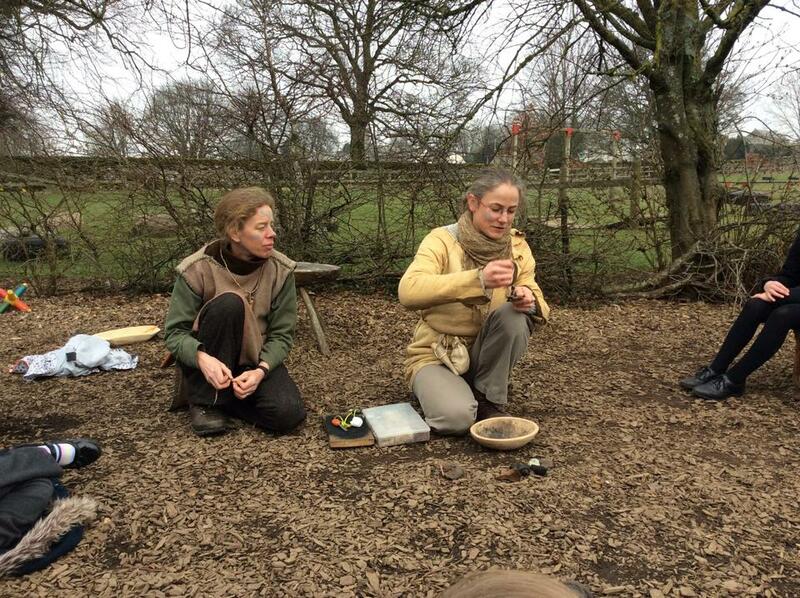 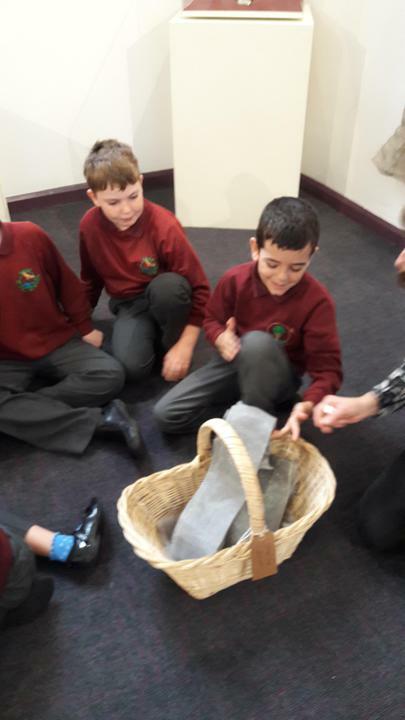 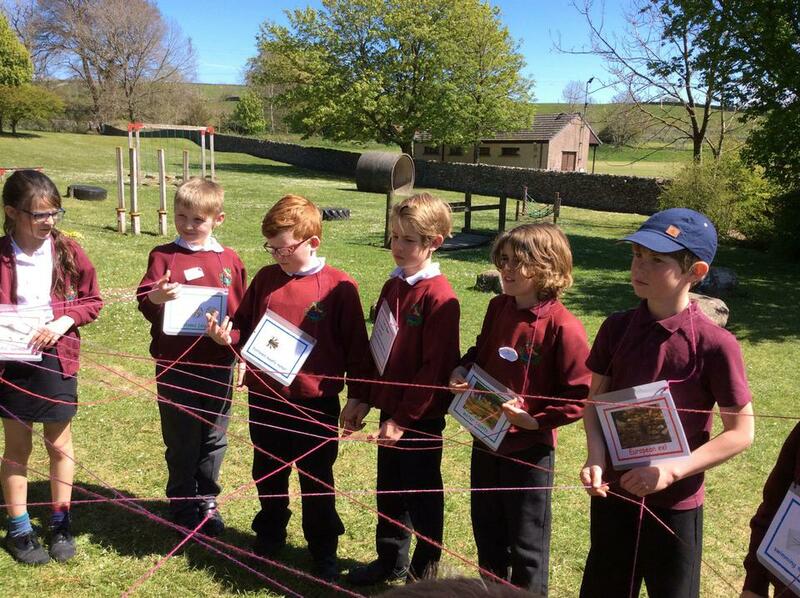 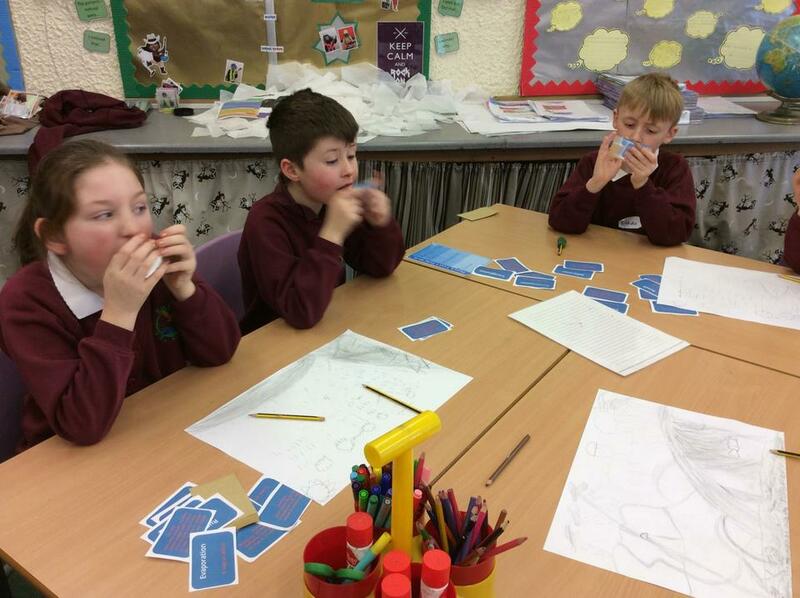 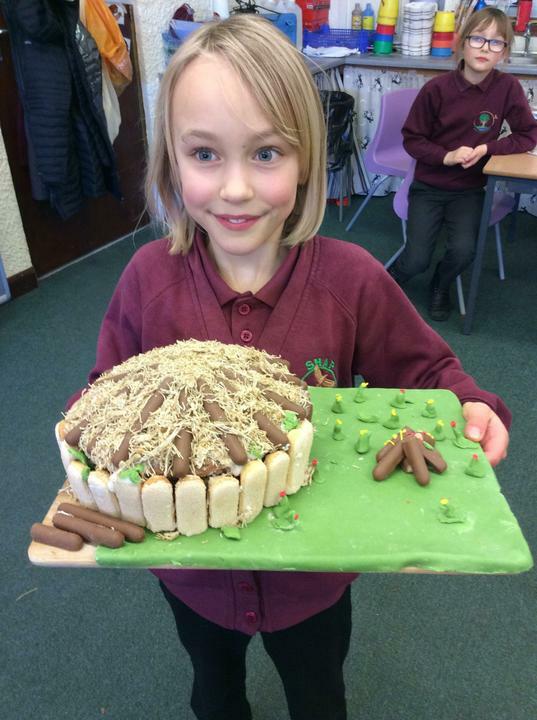 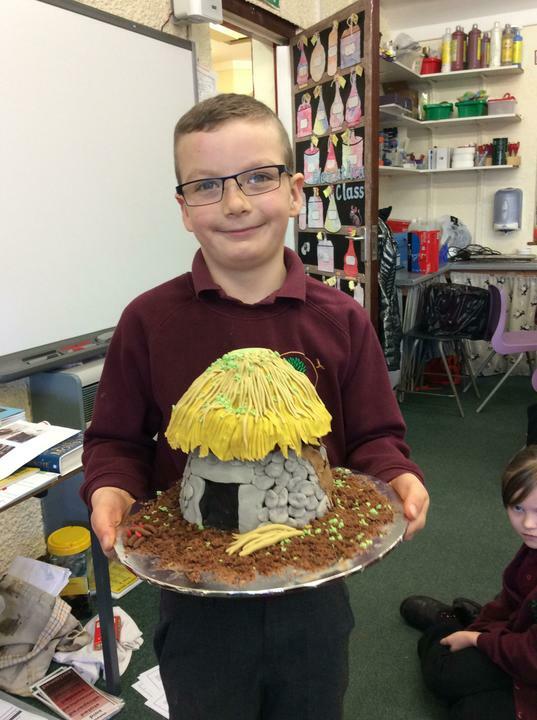 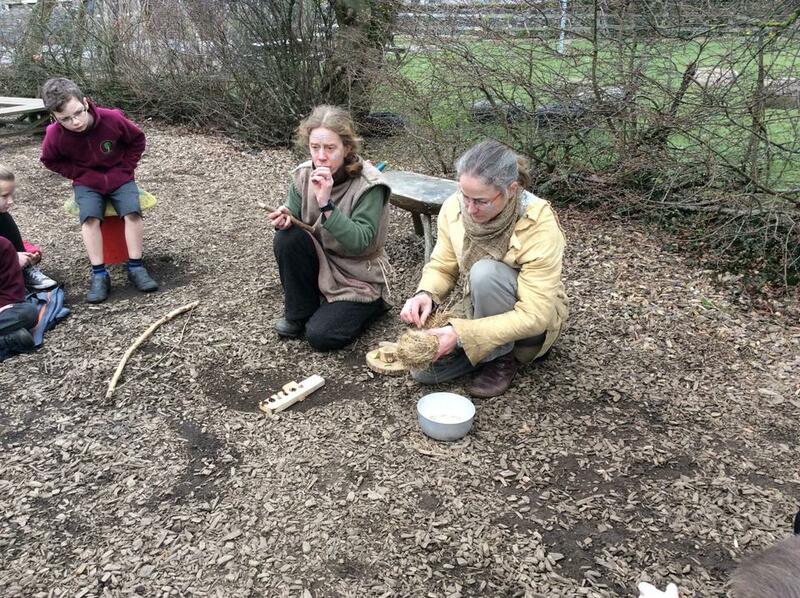 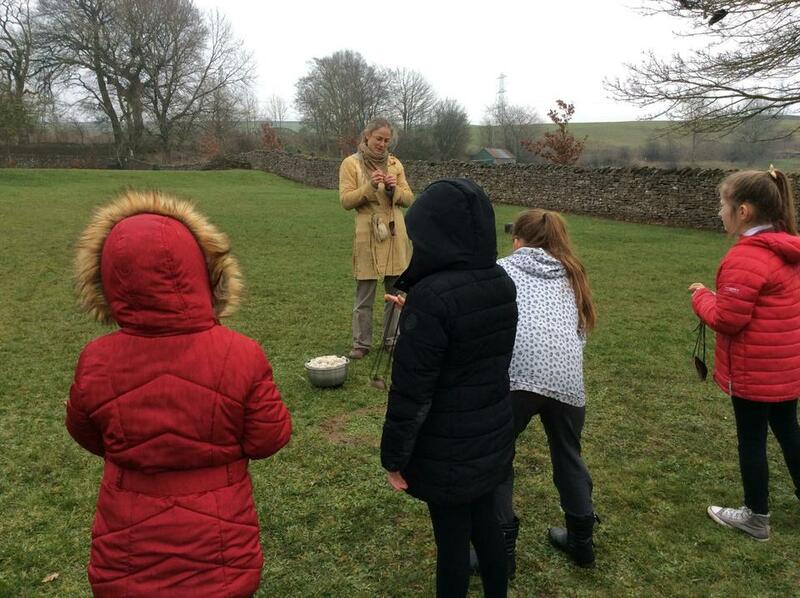 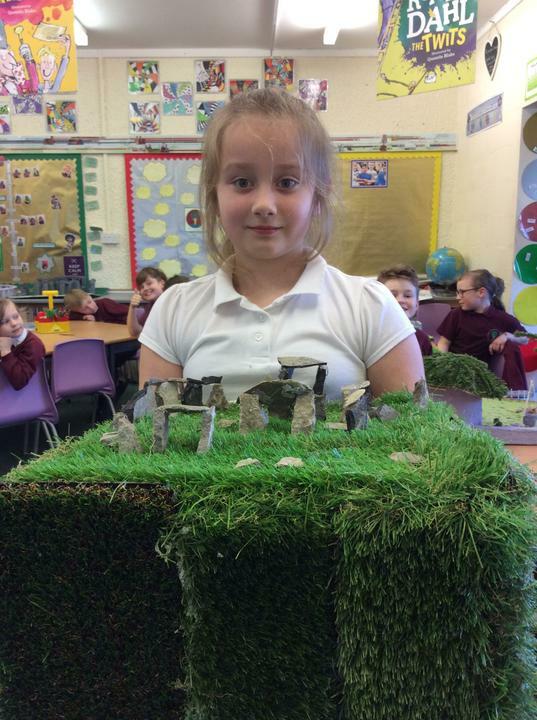 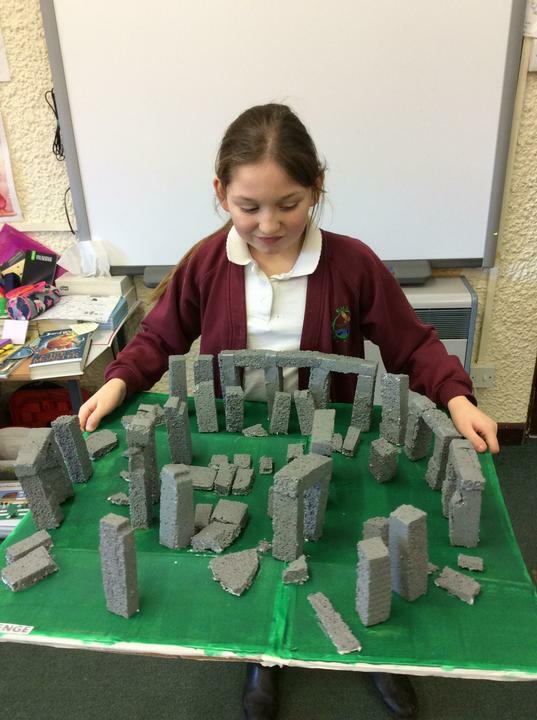 "This helped me to understand what people during the Stone Age era ate." 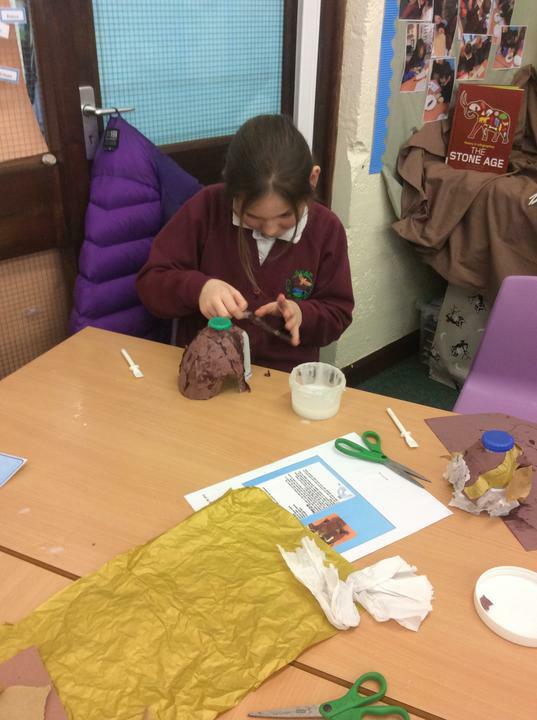 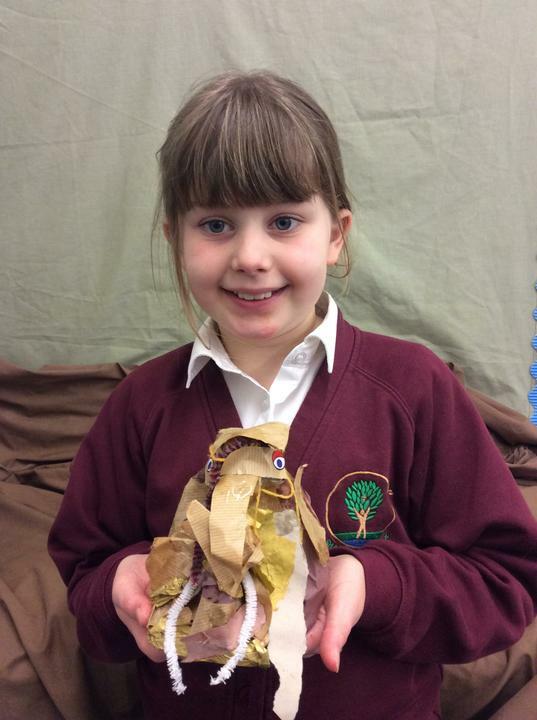 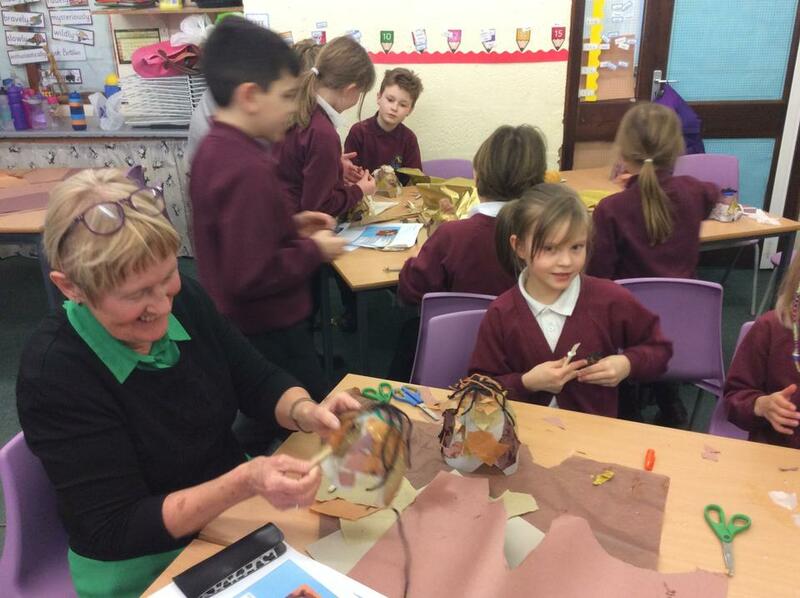 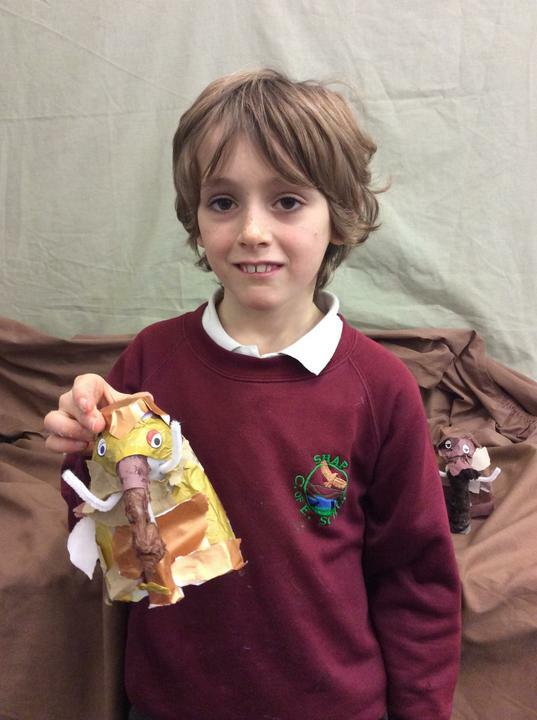 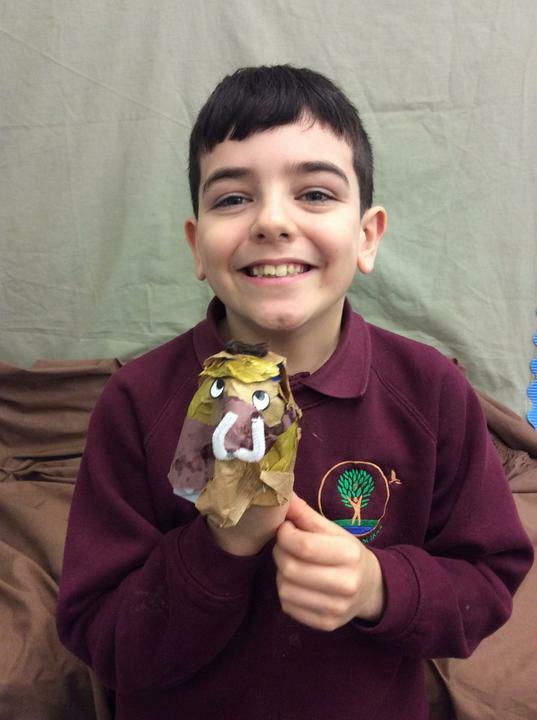 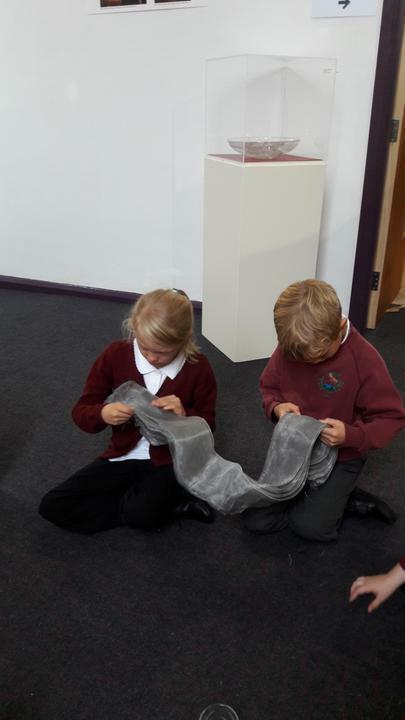 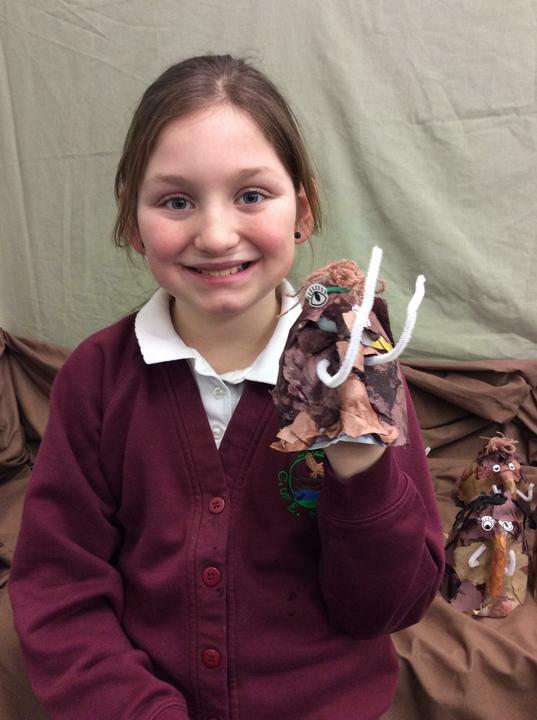 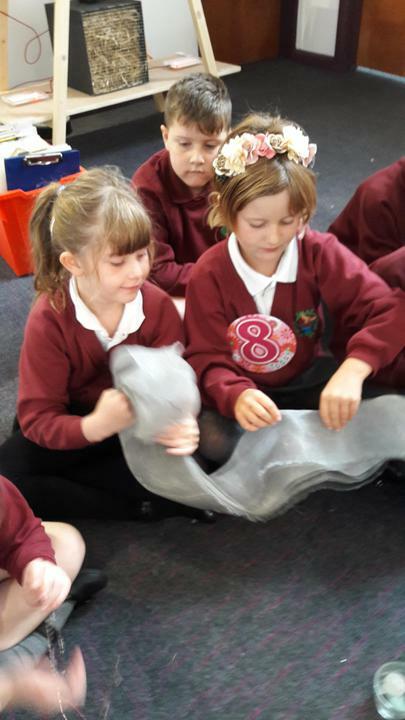 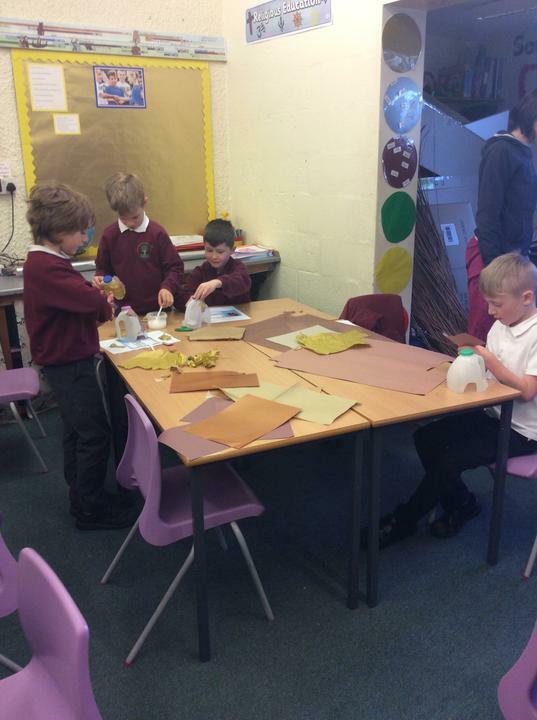 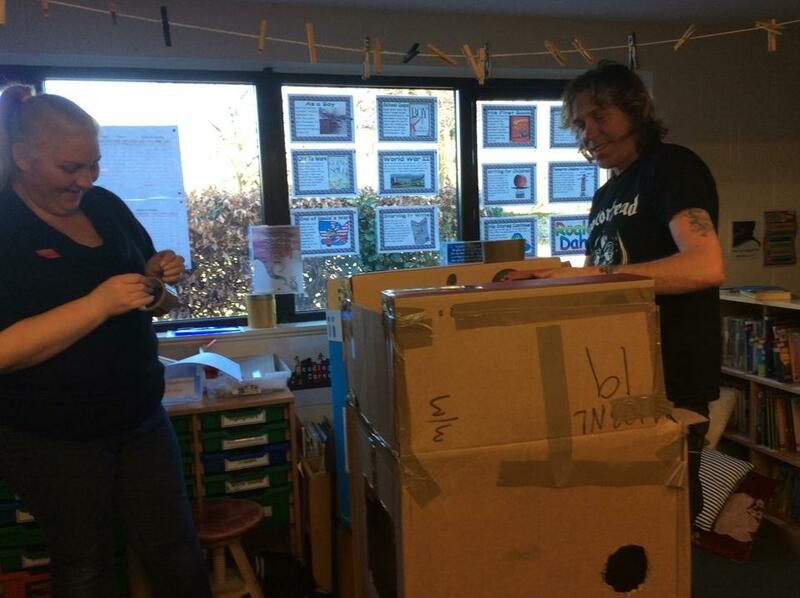 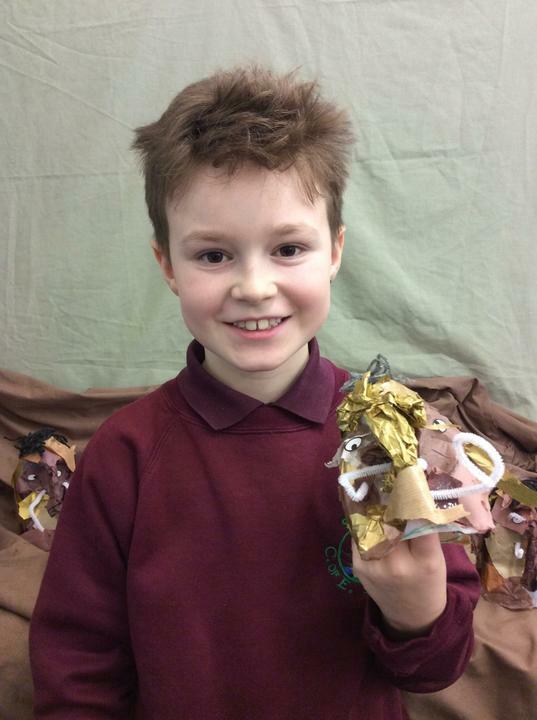 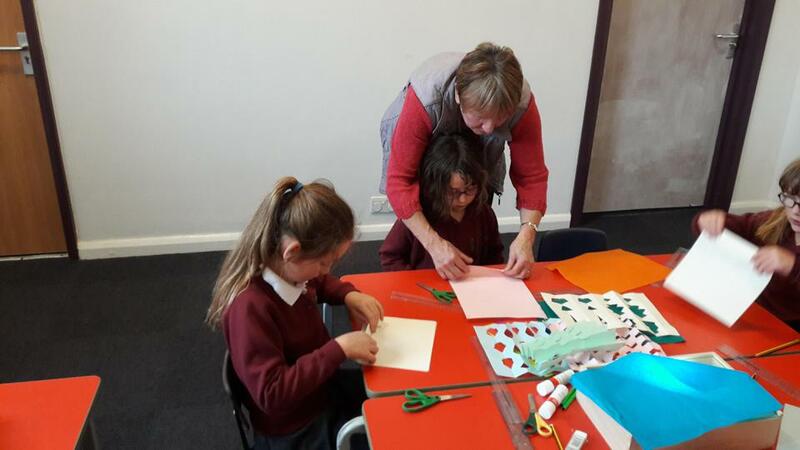 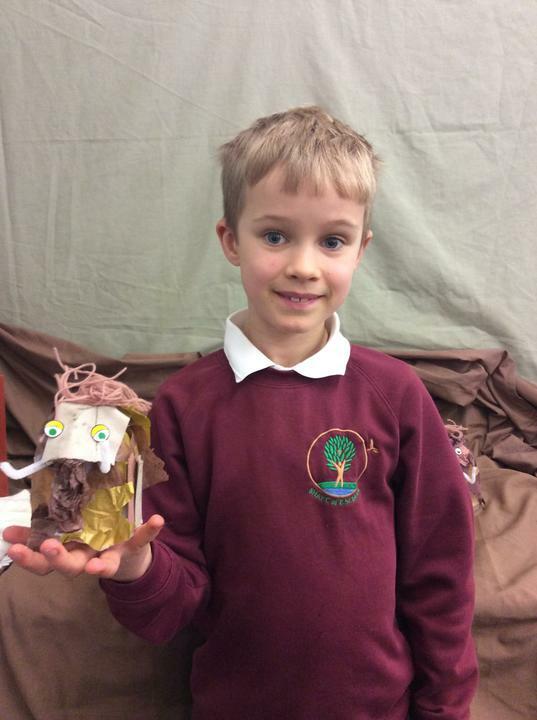 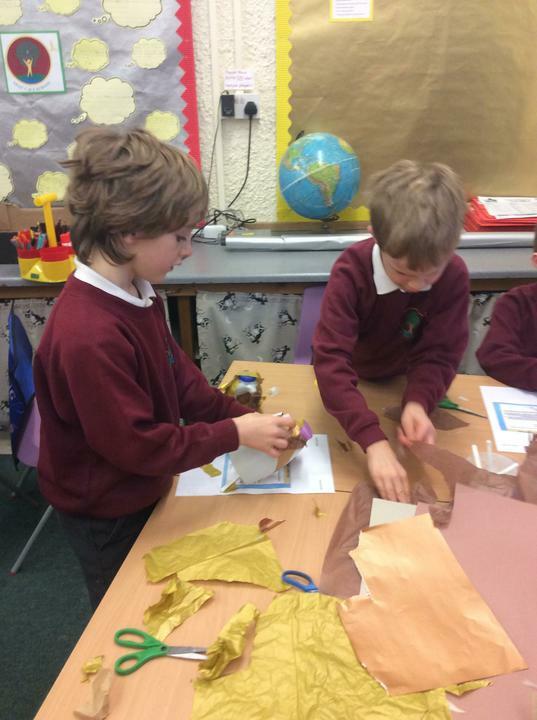 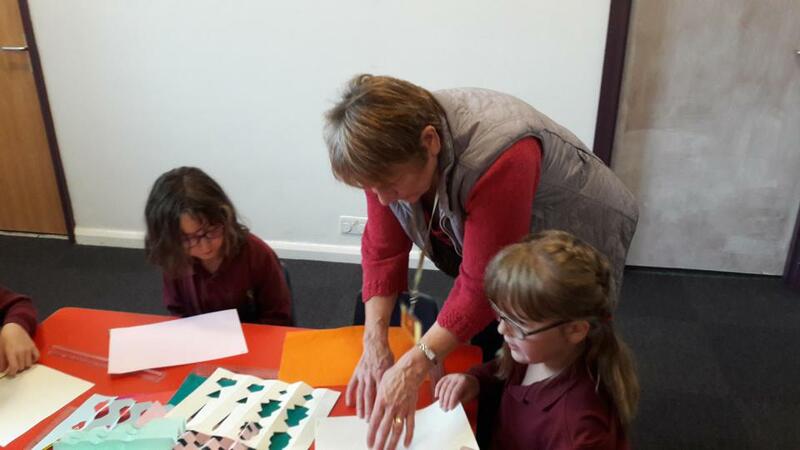 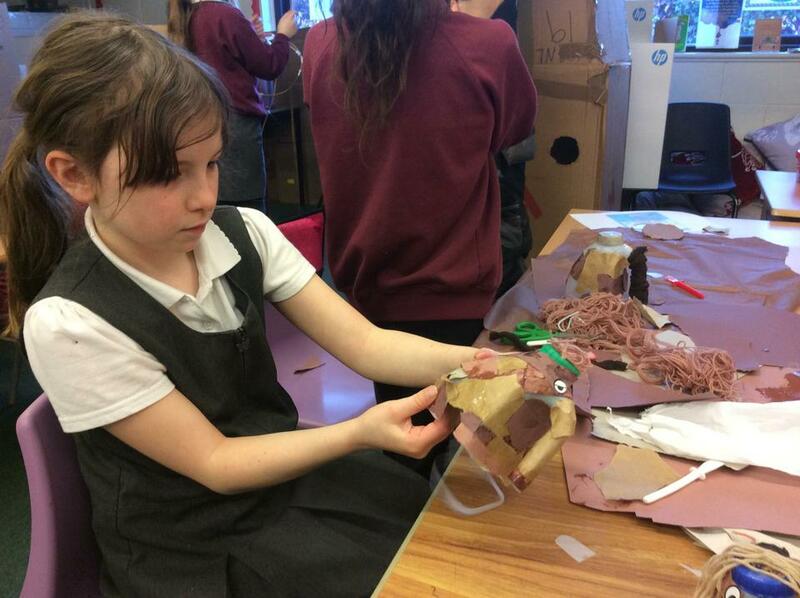 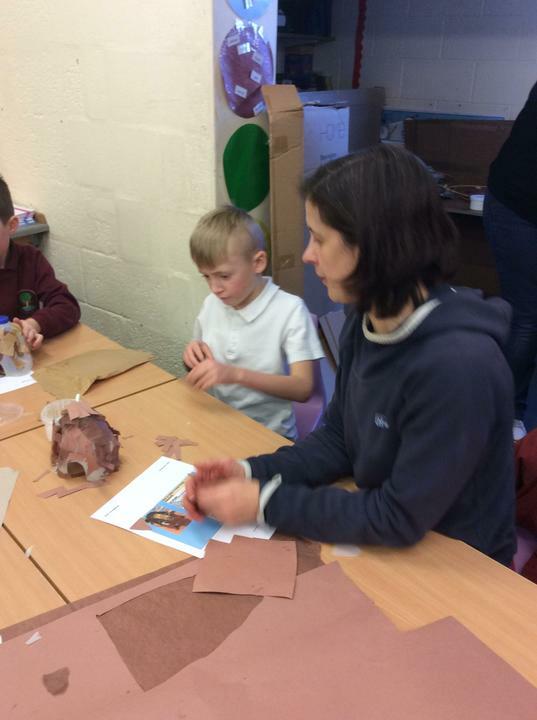 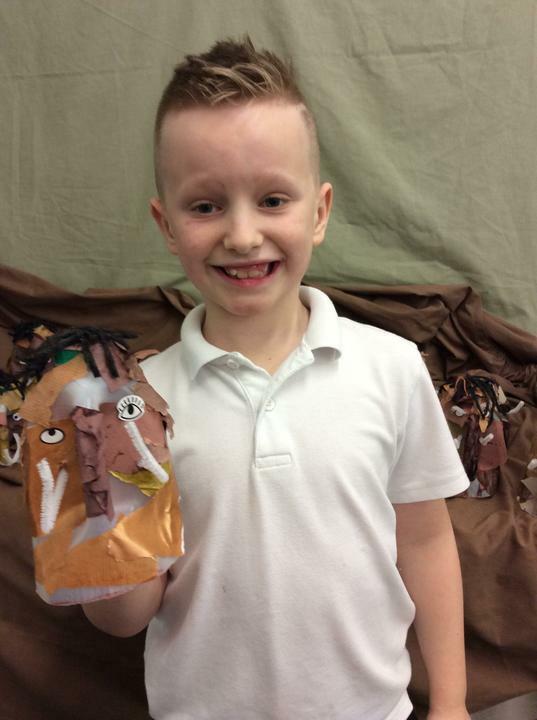 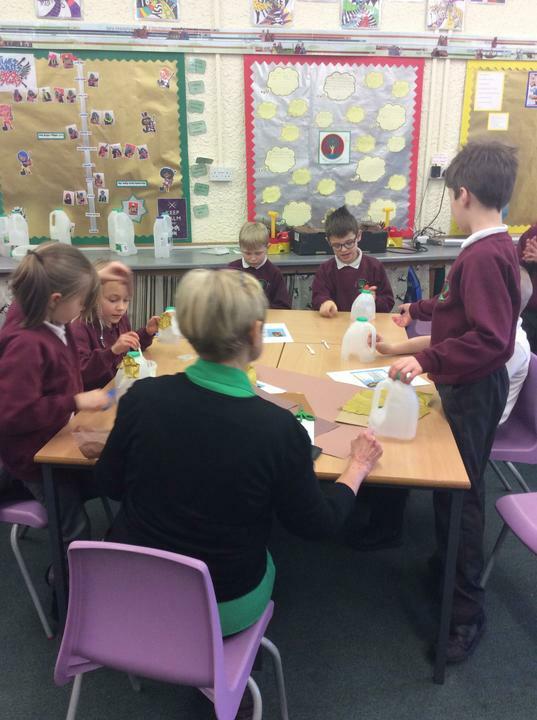 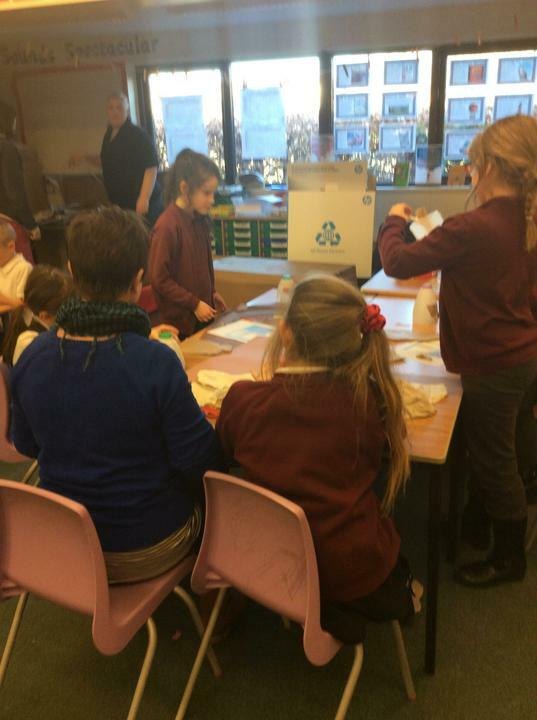 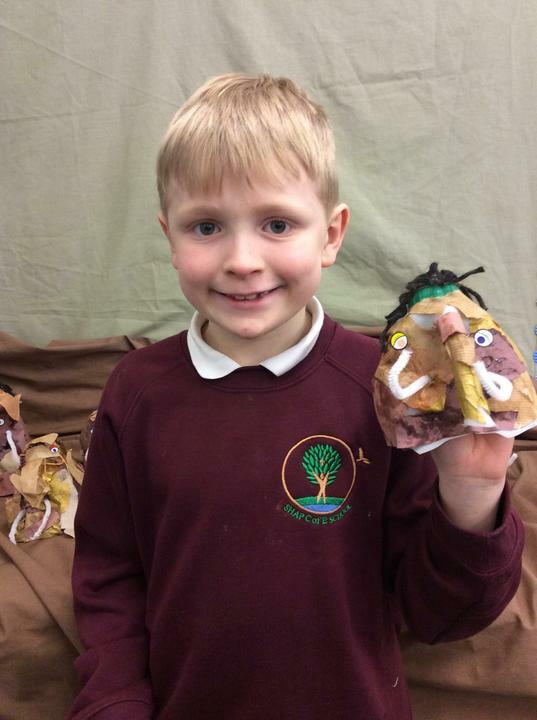 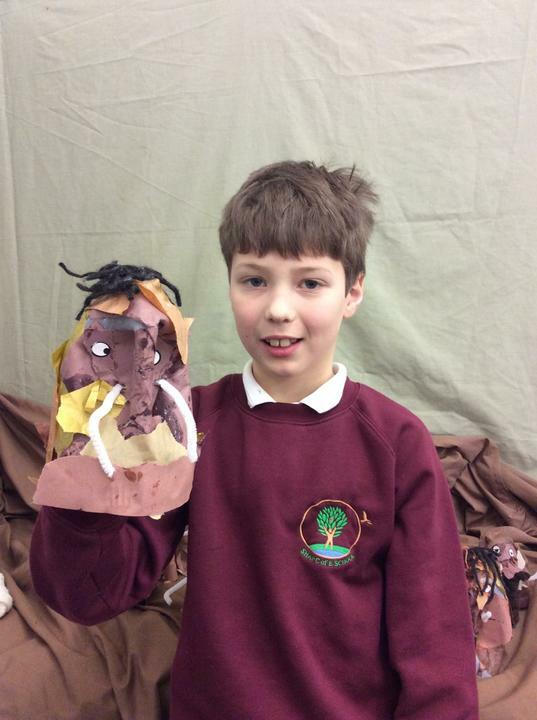 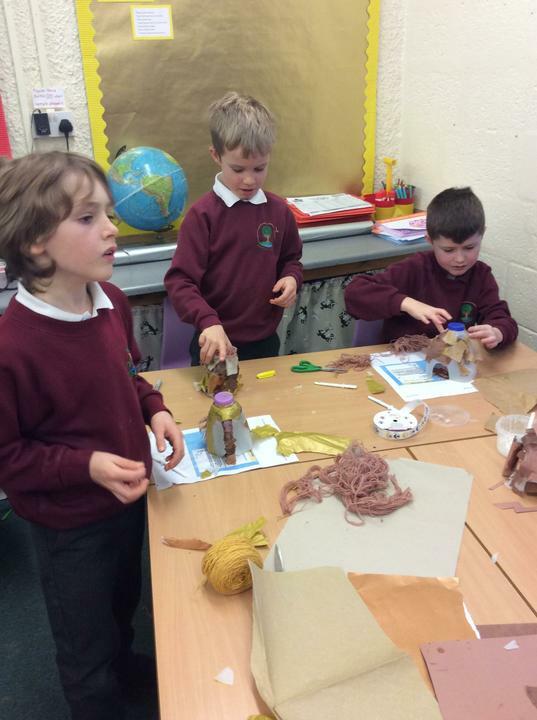 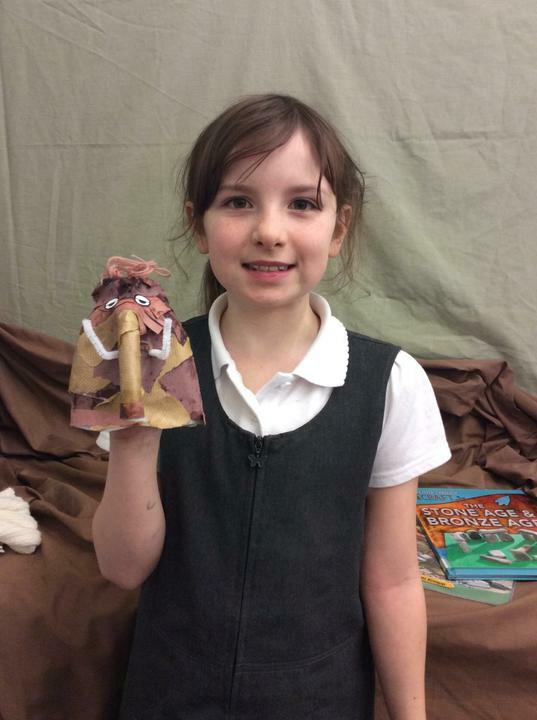 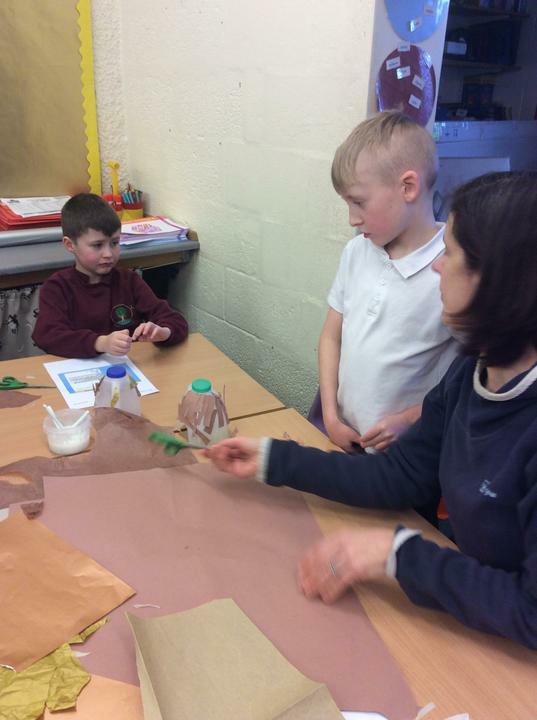 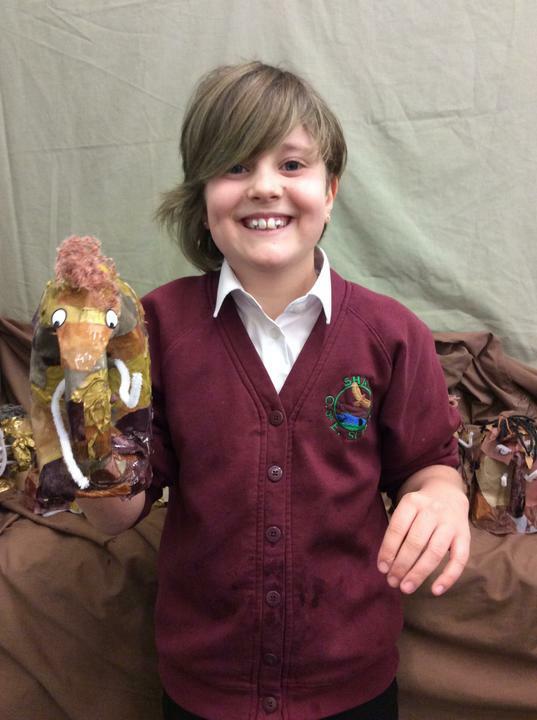 We were pleased to welcome parents and a grandparent to our class this afternoon to create our own woolly mammoths. 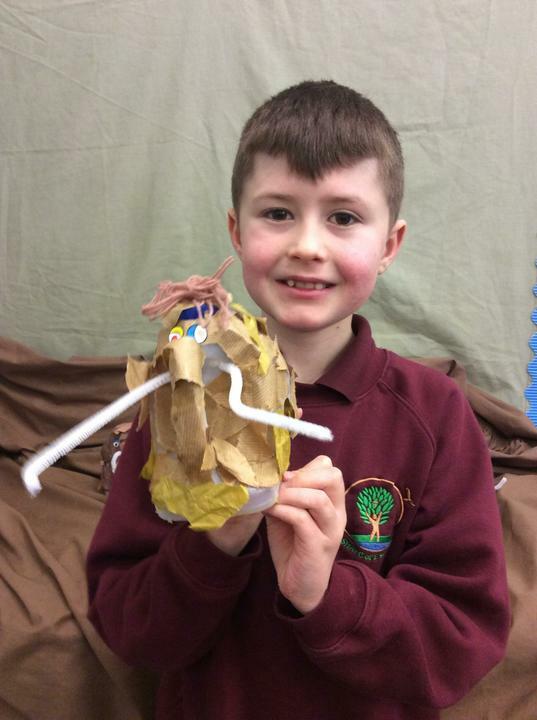 We followed a set of instructions to make the mammoths, it is interesting that we all followed the same set of instructions but all of our mammoths look so different. 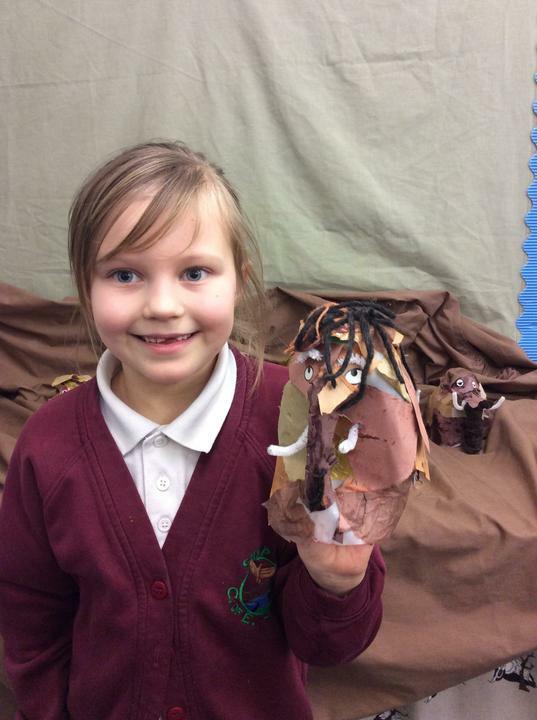 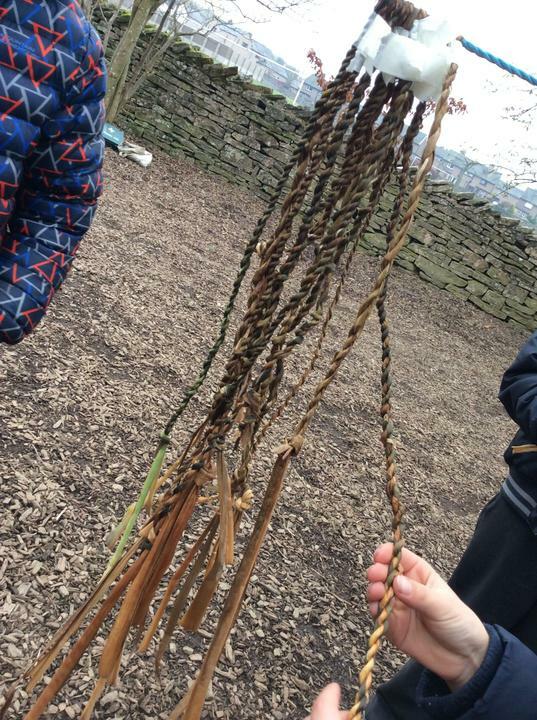 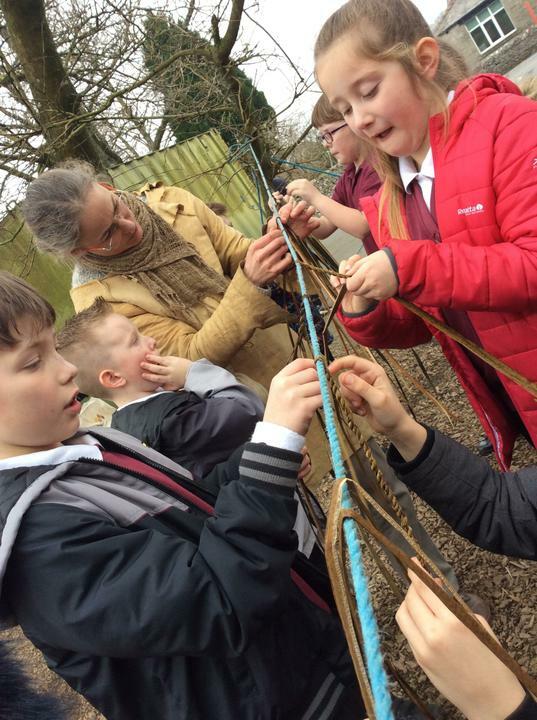 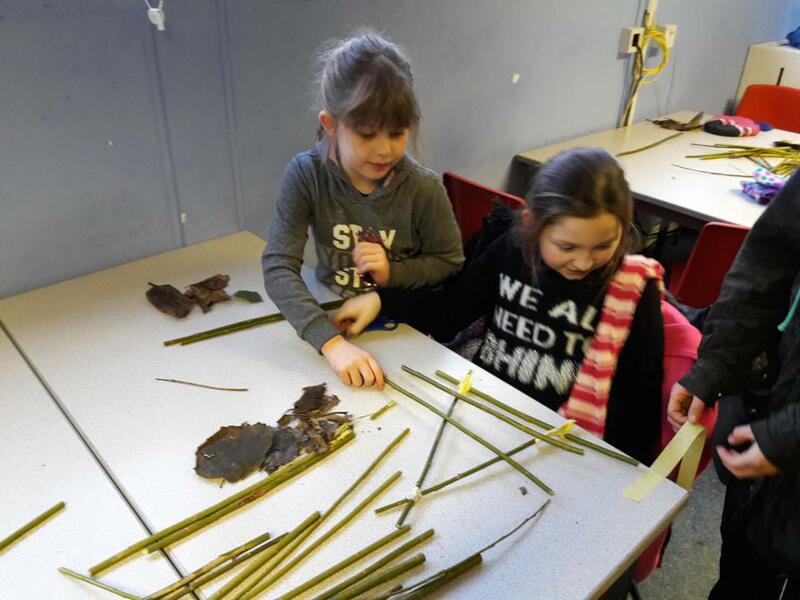 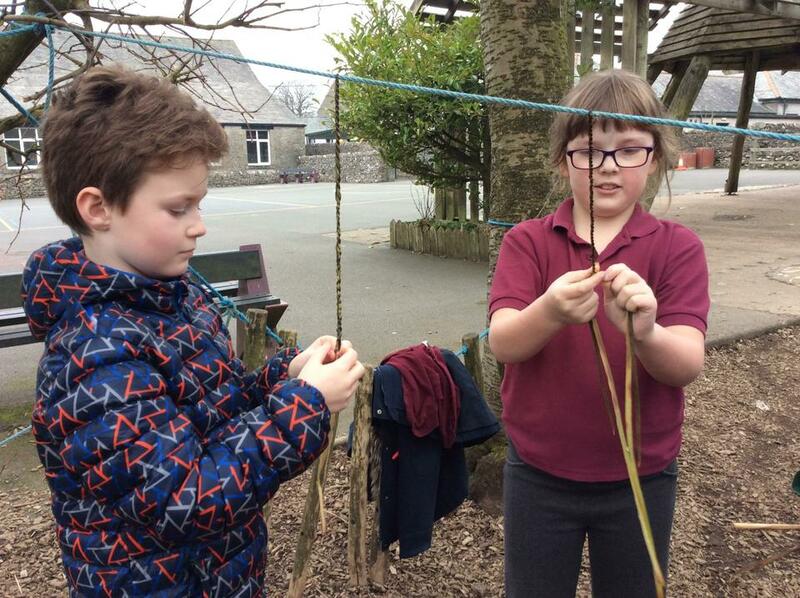 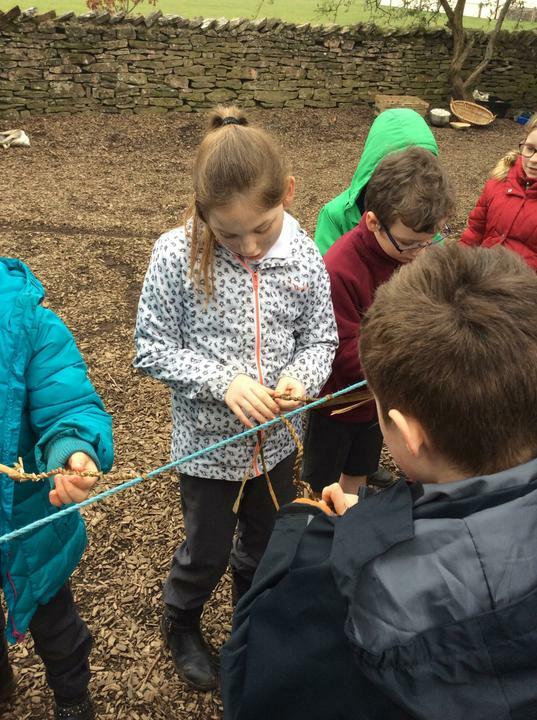 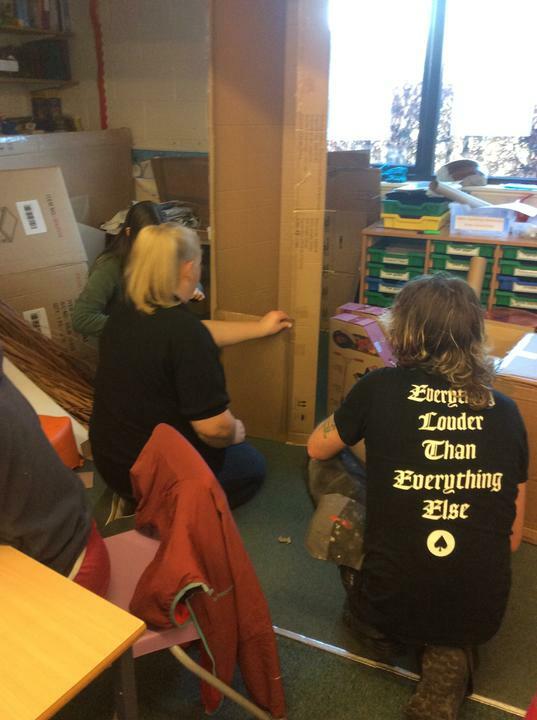 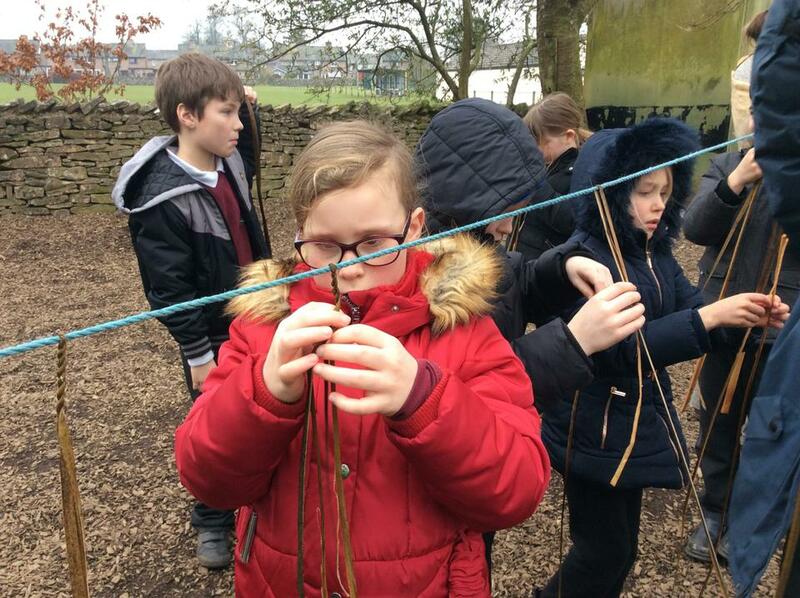 Some parents and a selection of children worked together to begin making a large woolly mammoth that two children will go inside when we perform our Stone Age dance at the U Dance at the Sands Centre. 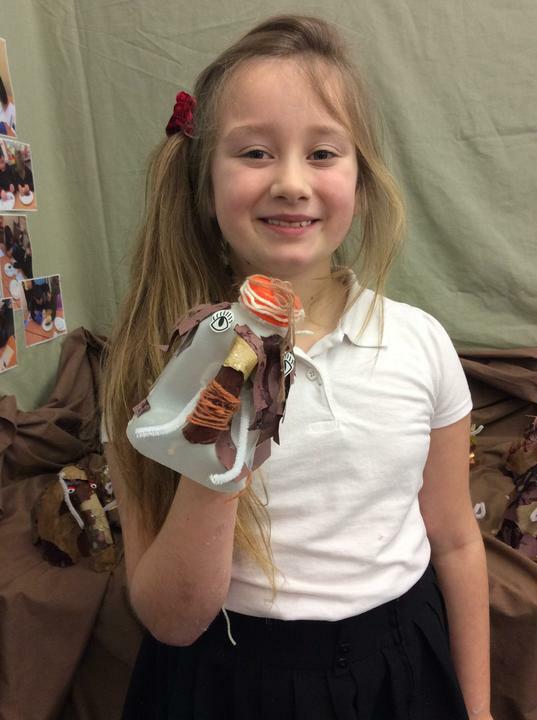 Finished photos of the completed woolly mammoth will follow along with a video of its debut at the U Dance! 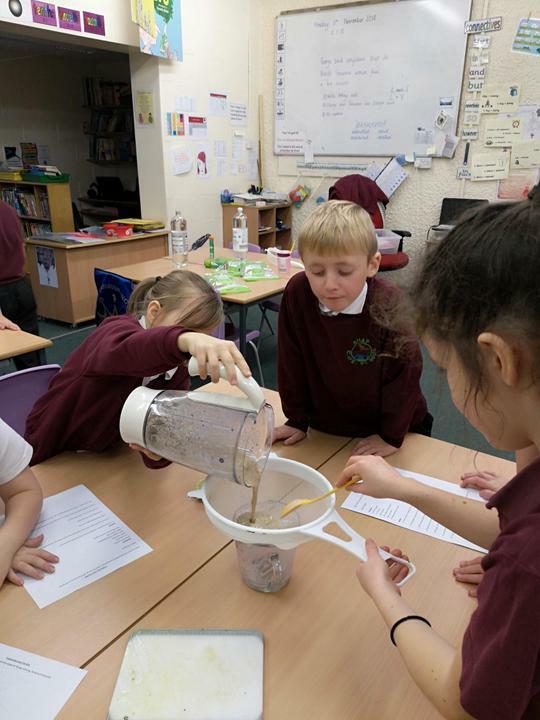 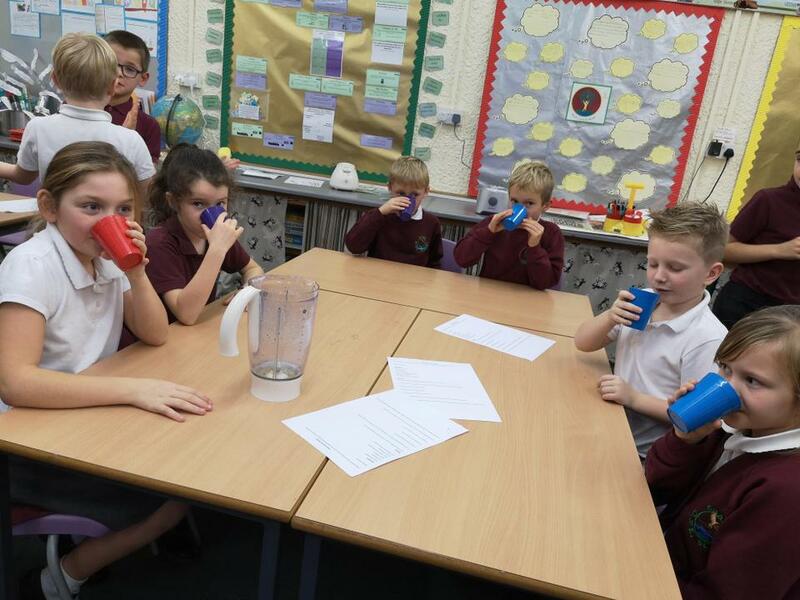 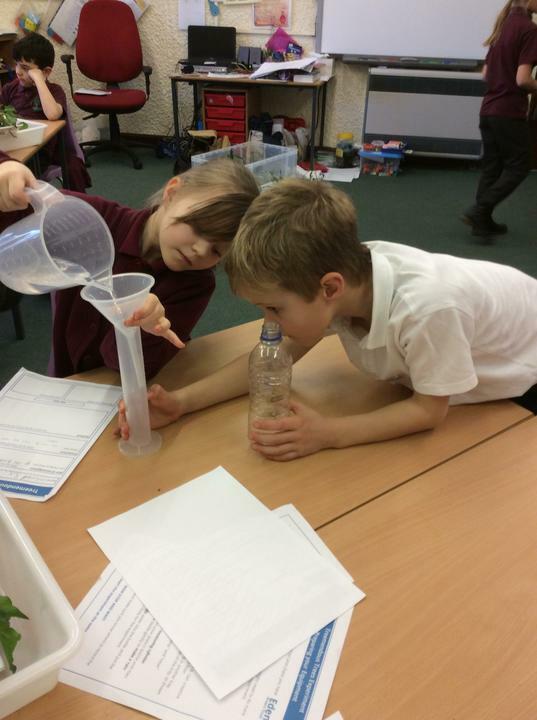 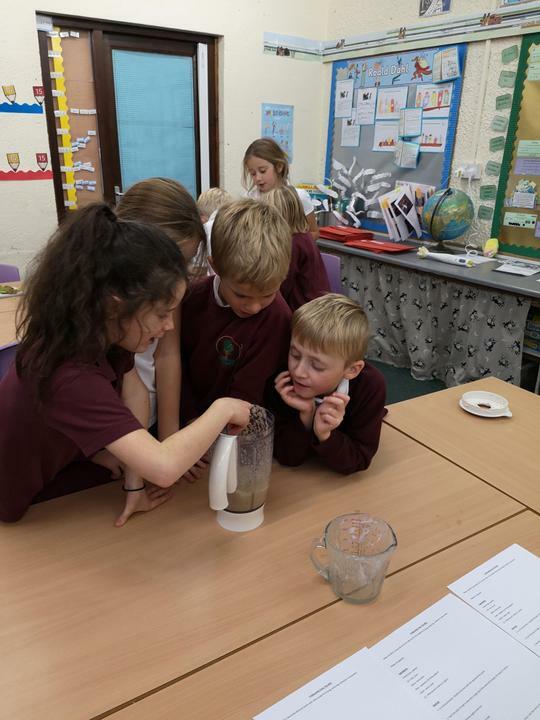 We had an excellent afternoon following a recipe to make the BFG's favourite drink Frobscottle. 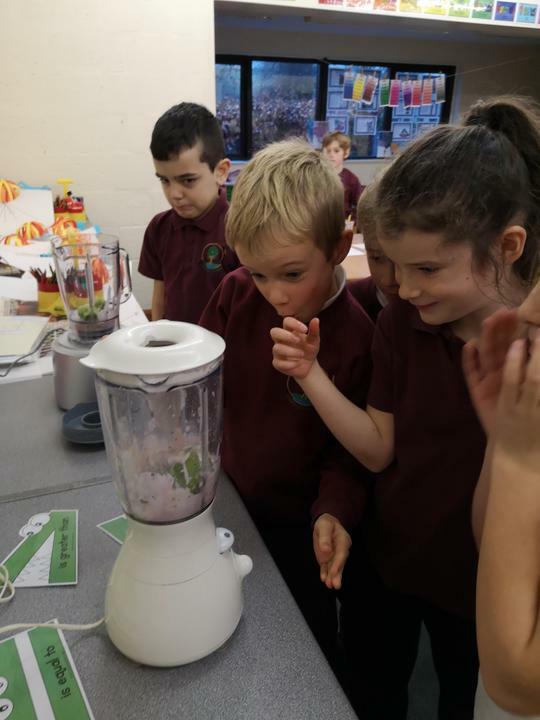 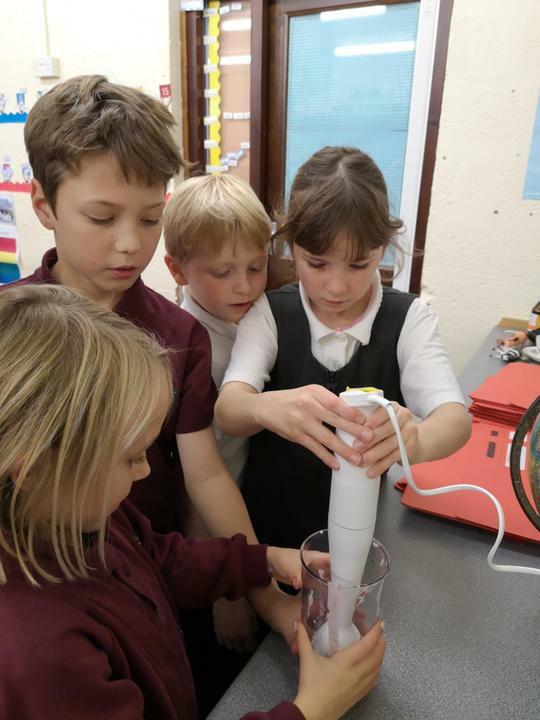 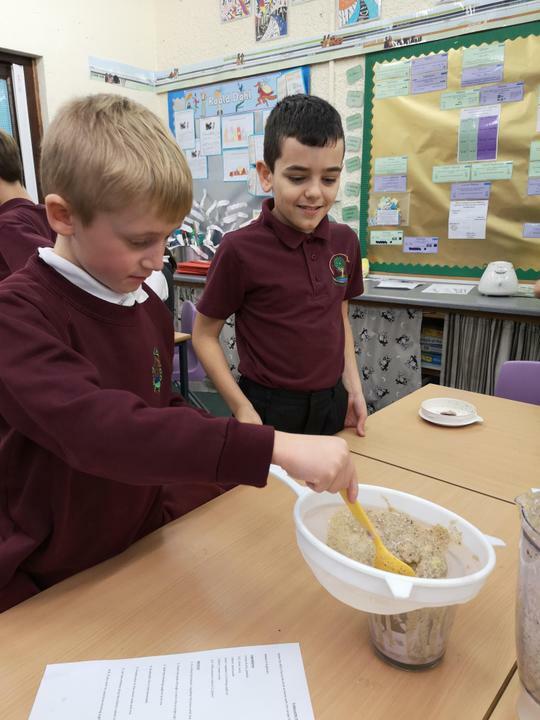 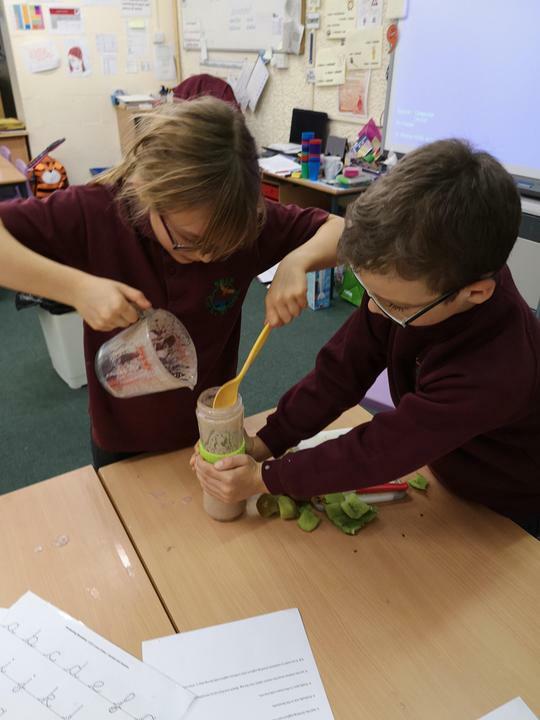 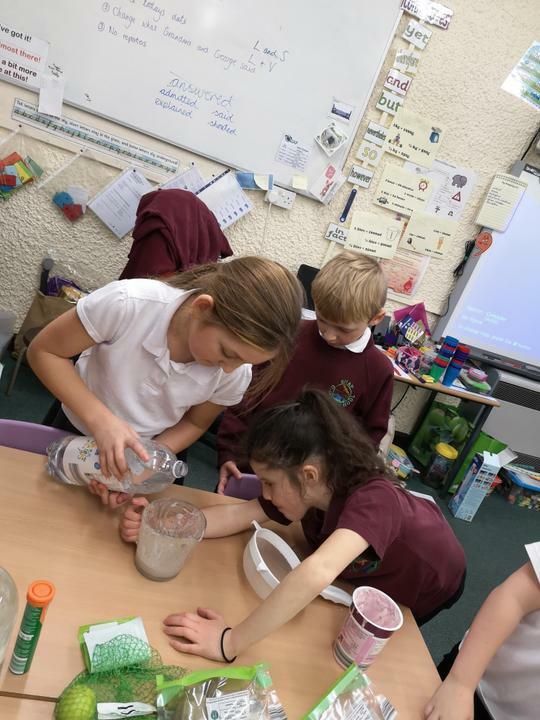 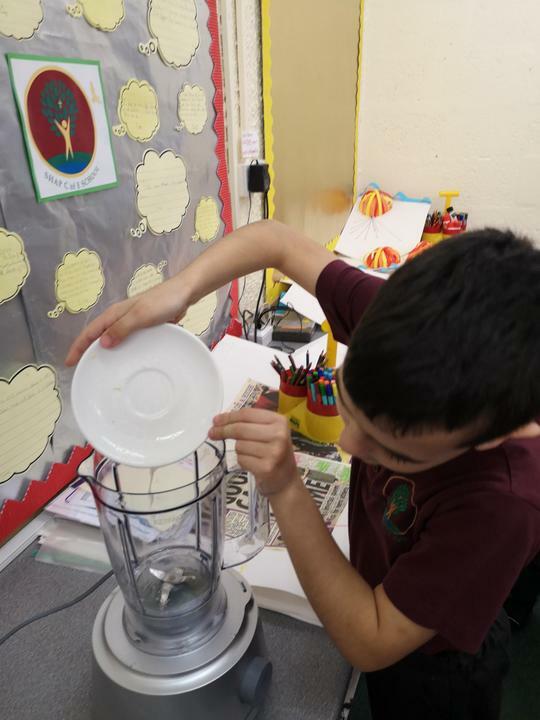 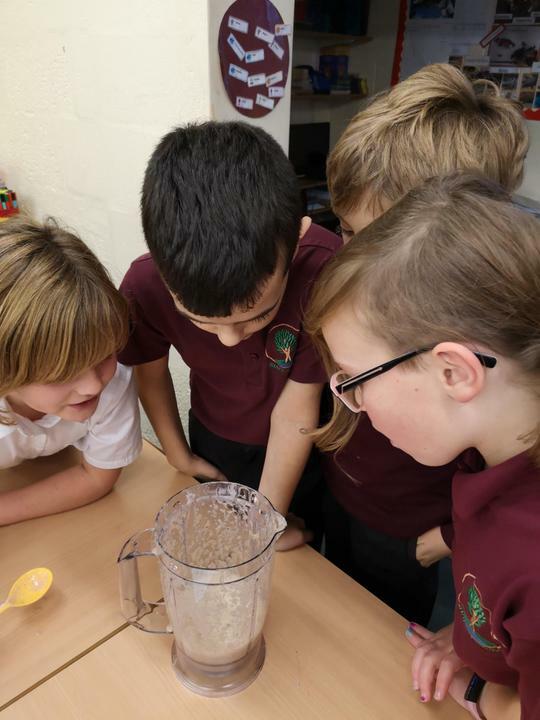 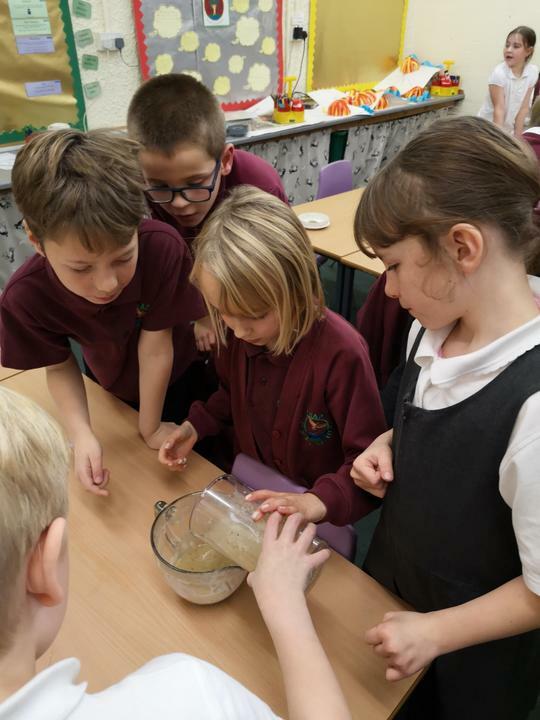 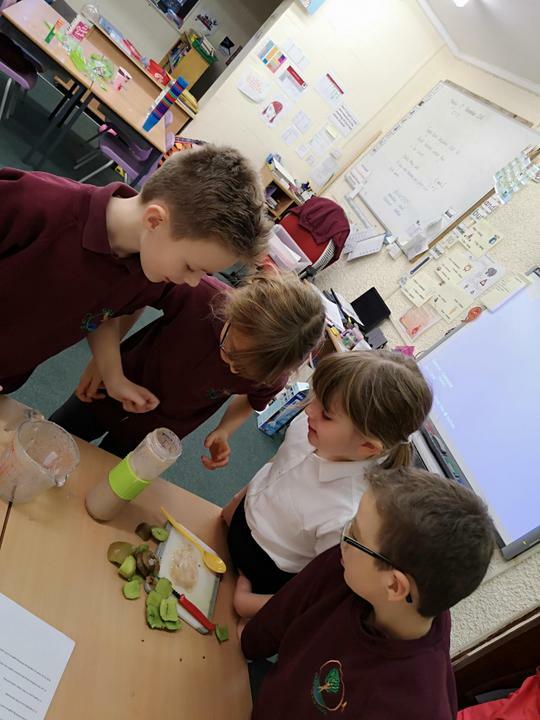 We had to work as a team, follow the instructions, measure and prepare the ingredients and then finally taste the Frobscottle. 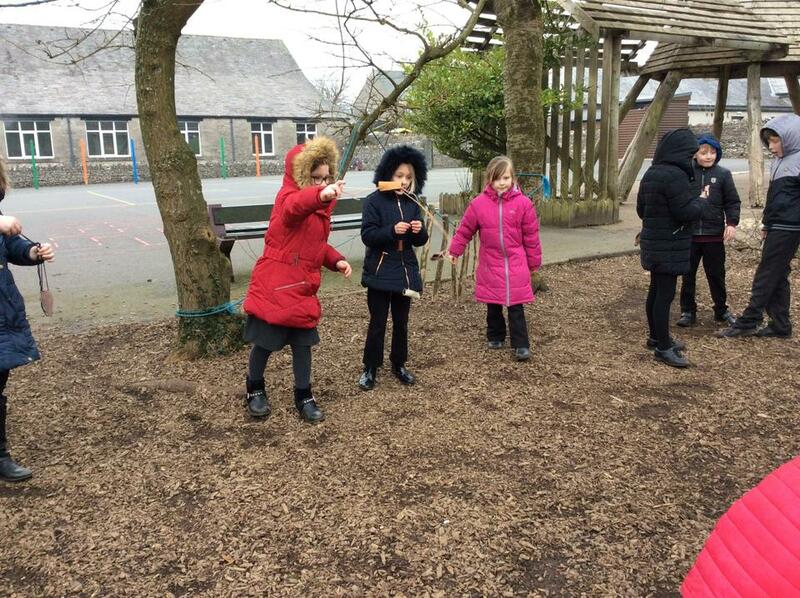 It is true...Frobscottle does make you slightly windy!!!!!! 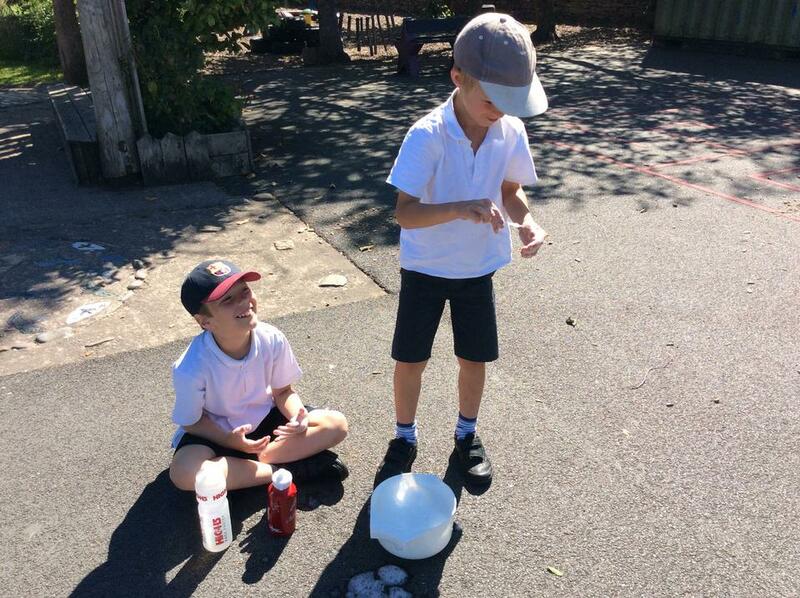 "I learned how to peel a kiwi without making a mess!" 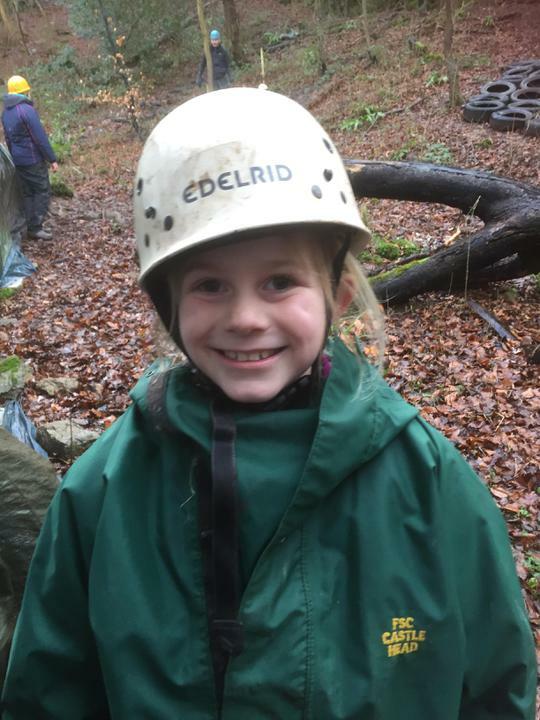 said Macy. 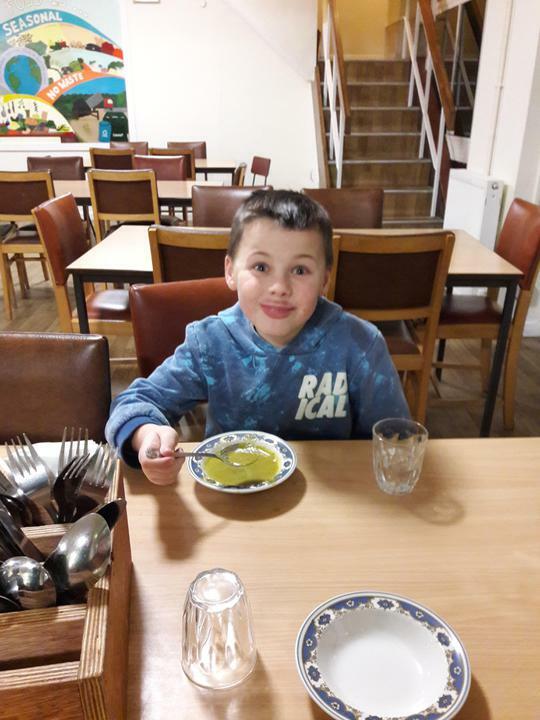 Rocco said "Our Frobscottle was sort of sour and nice. 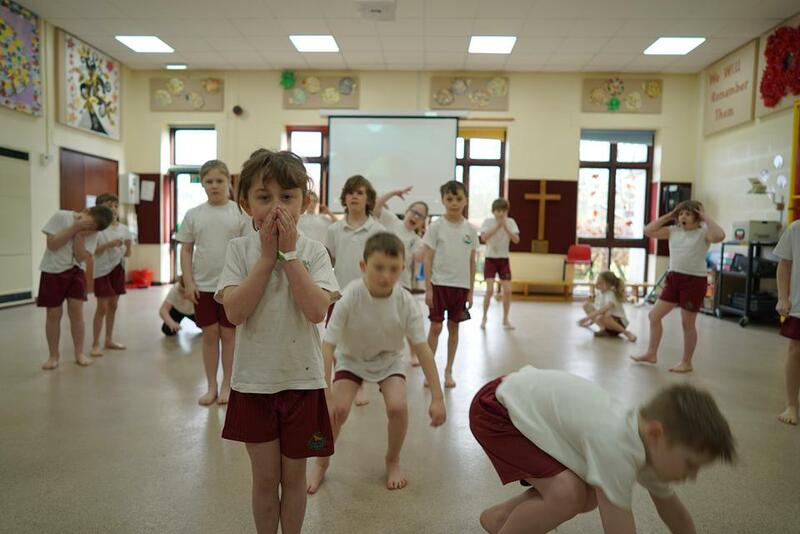 I liked it." 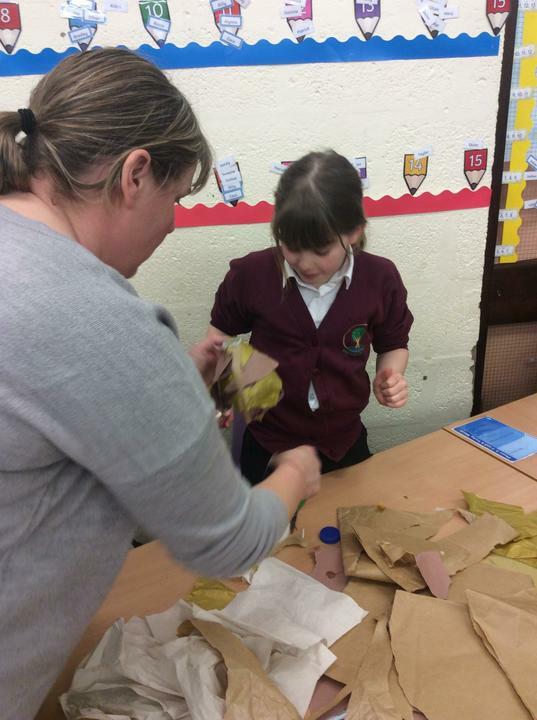 "We had to work as a team to make sure we had followed all of the steps in the recipe," Sophie explained. 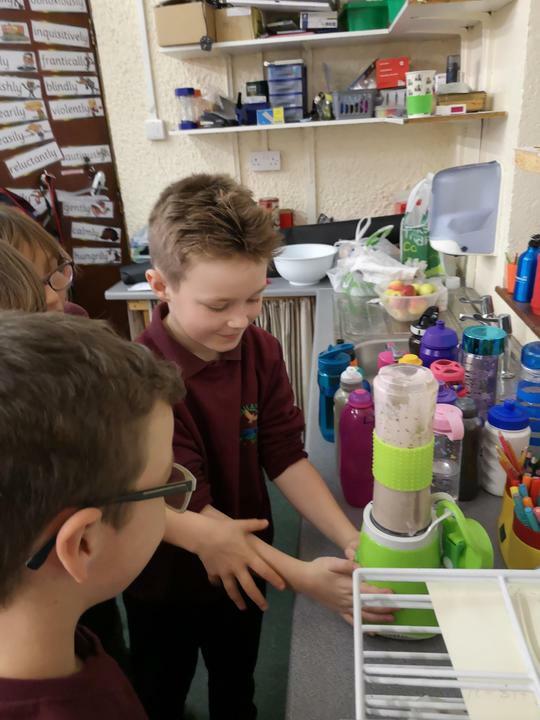 Quinn excitedly said, "I enjoyed pressing the button on the liquidiser. 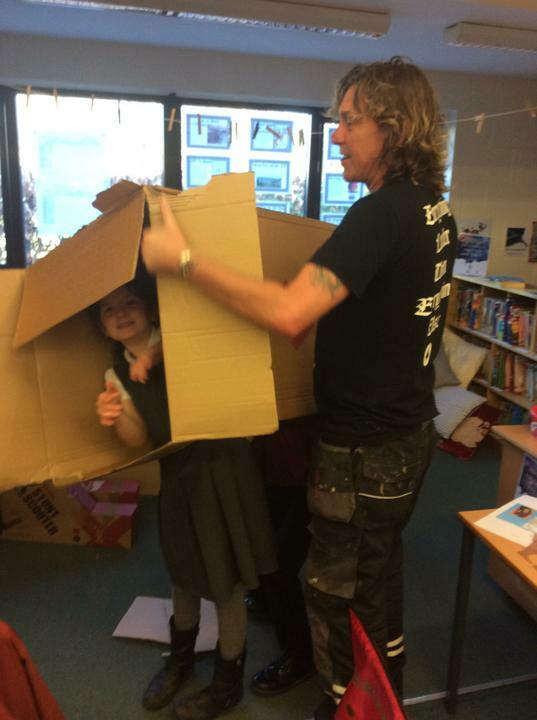 It was very noisy and everything was whizzing around so fast inside it." 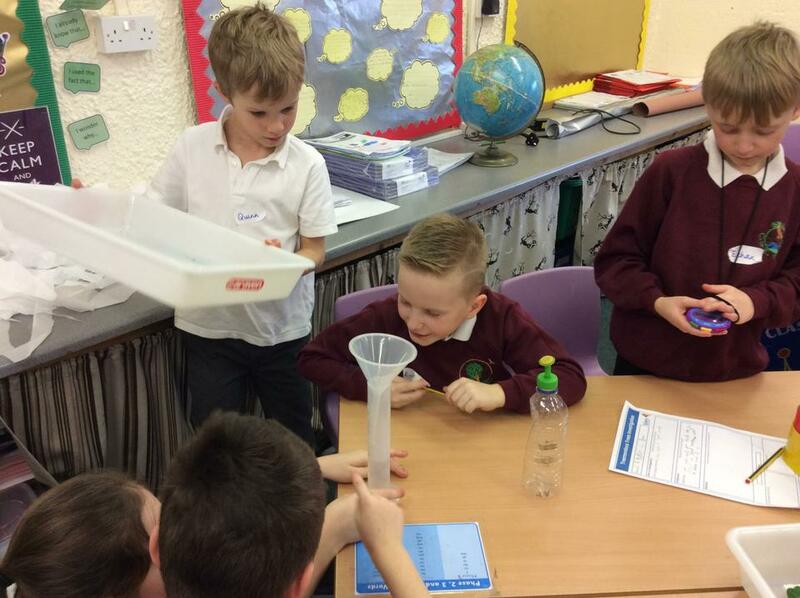 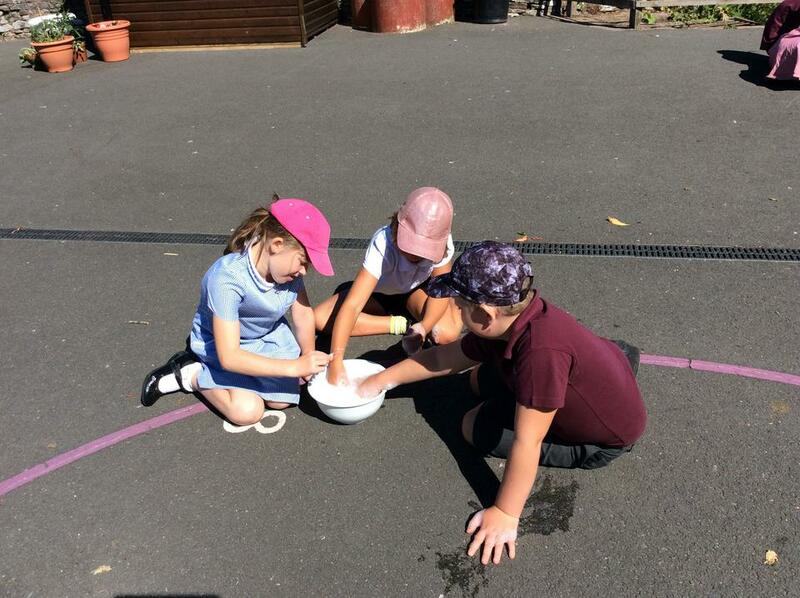 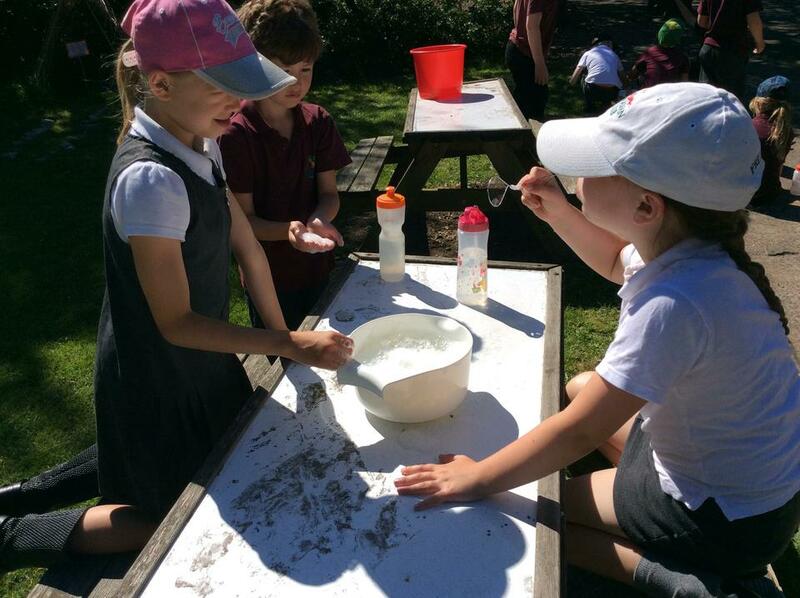 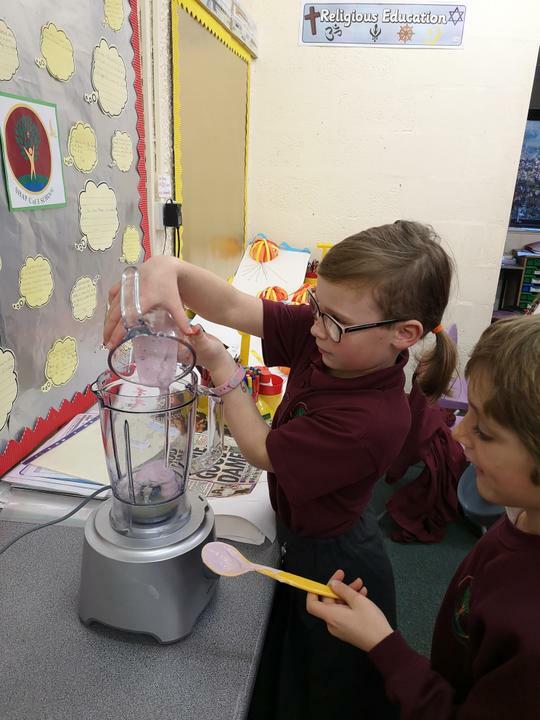 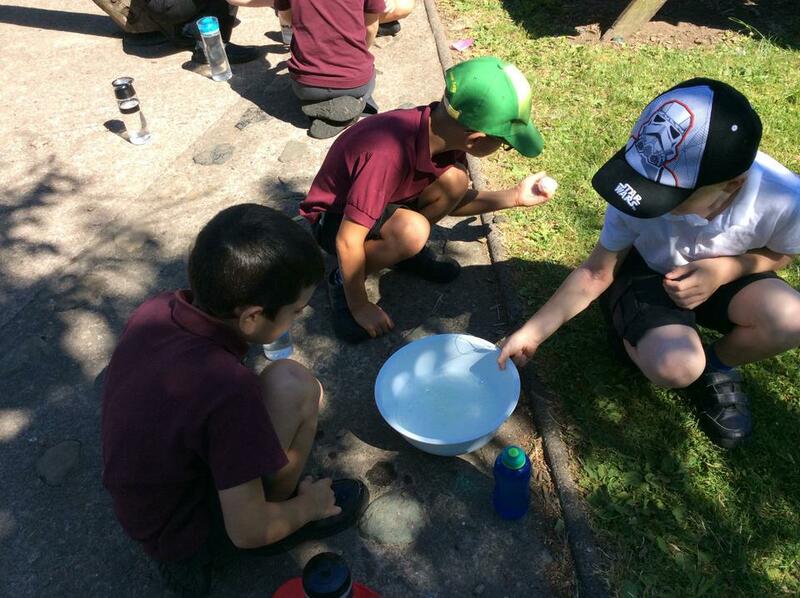 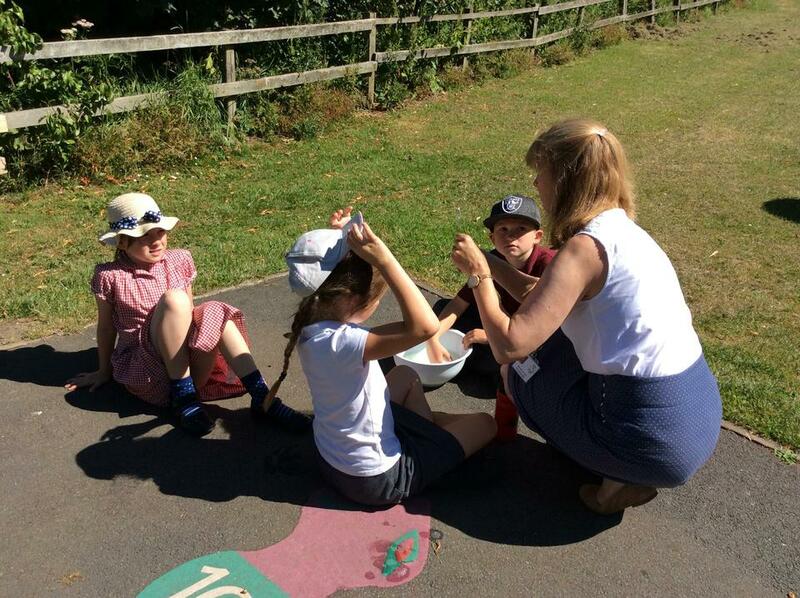 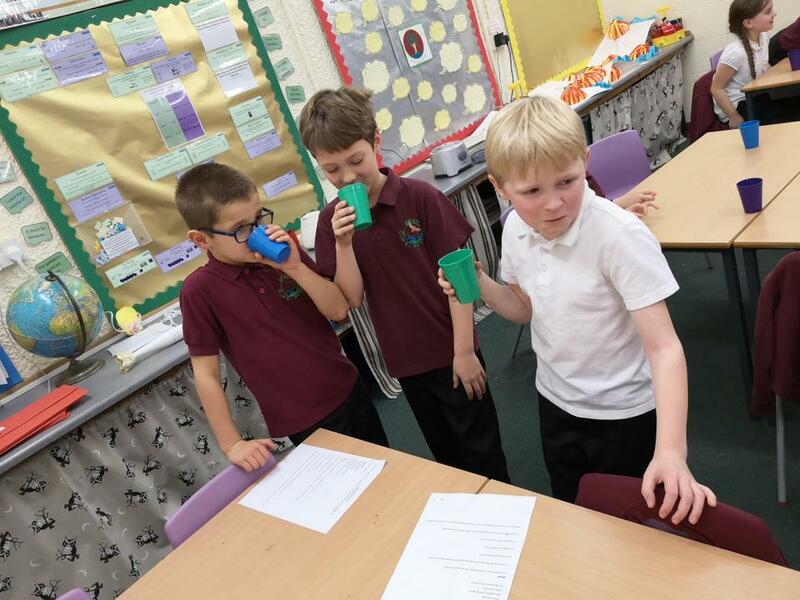 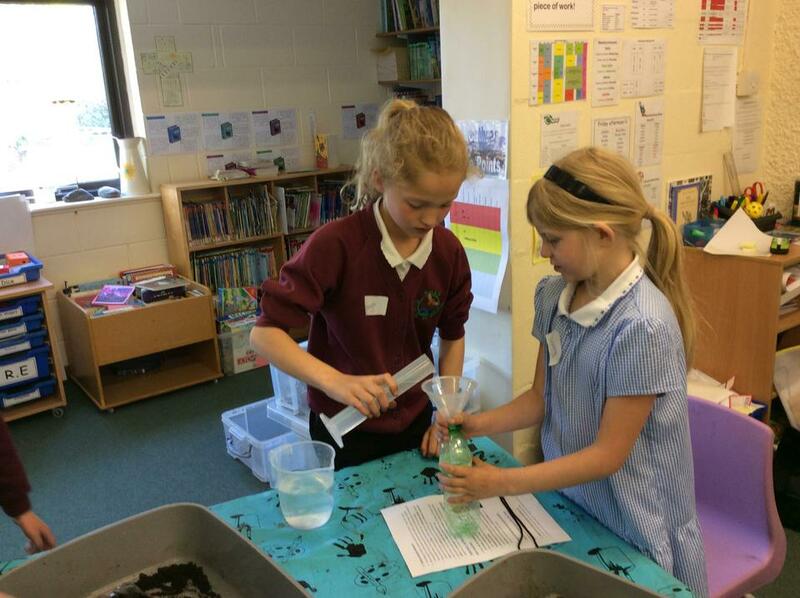 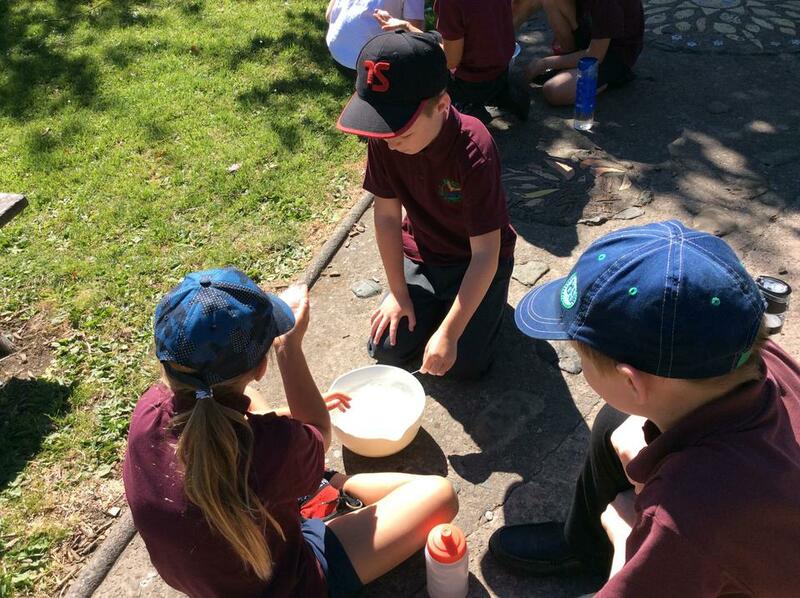 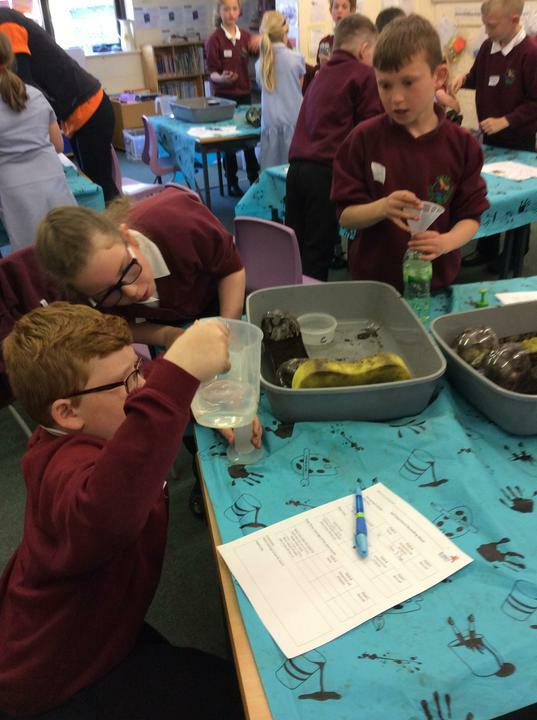 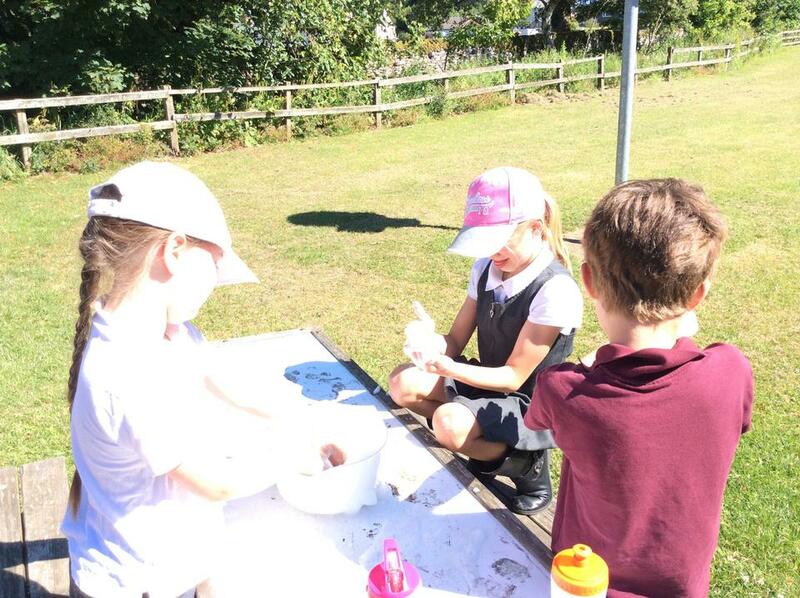 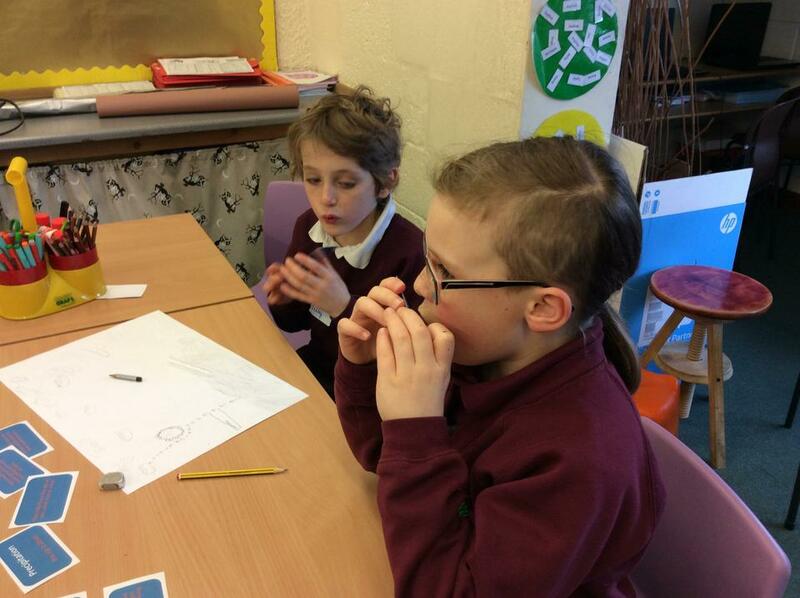 "I learned that when you put a vitamin C tablet into the liquid mixture, it all fizzes up and looks like a reaction!" 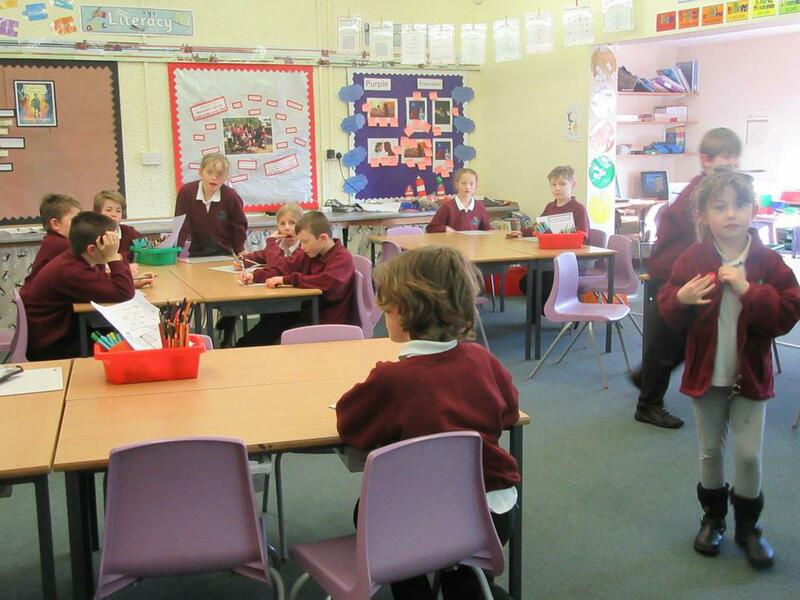 explained Faye. 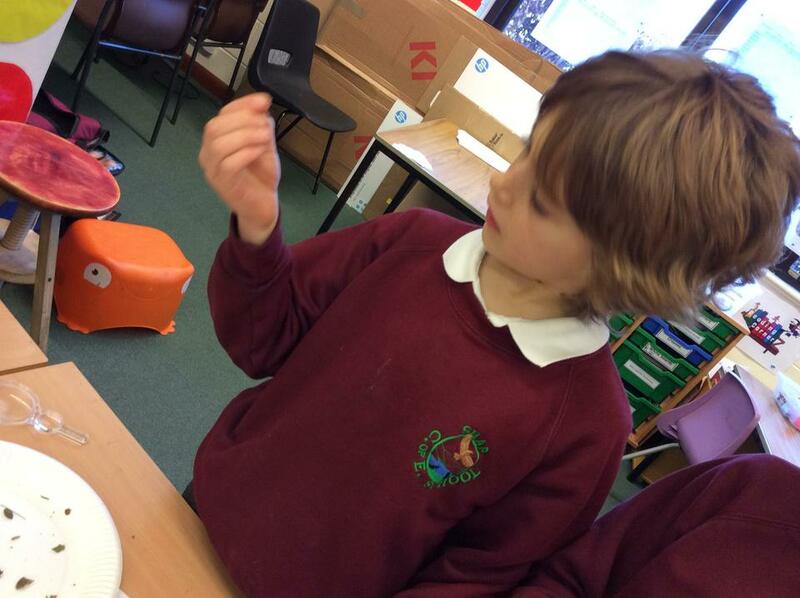 "I enjoyed tasting the Frobscottle, it tasted nicer than I thought." 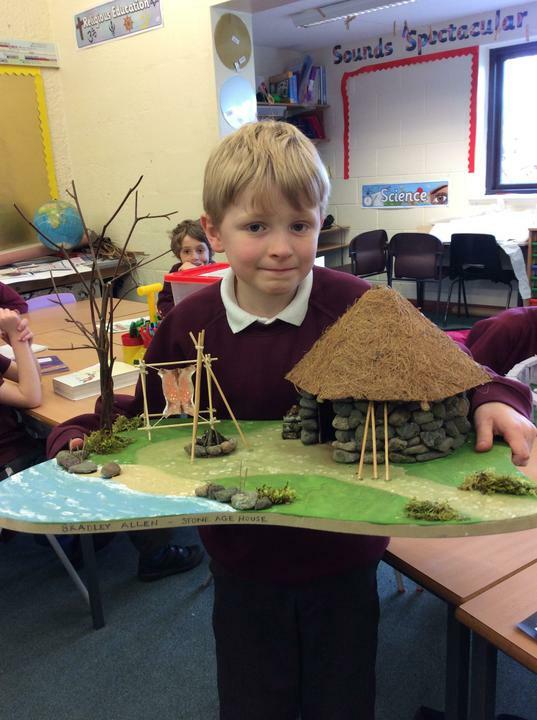 Paddy said. 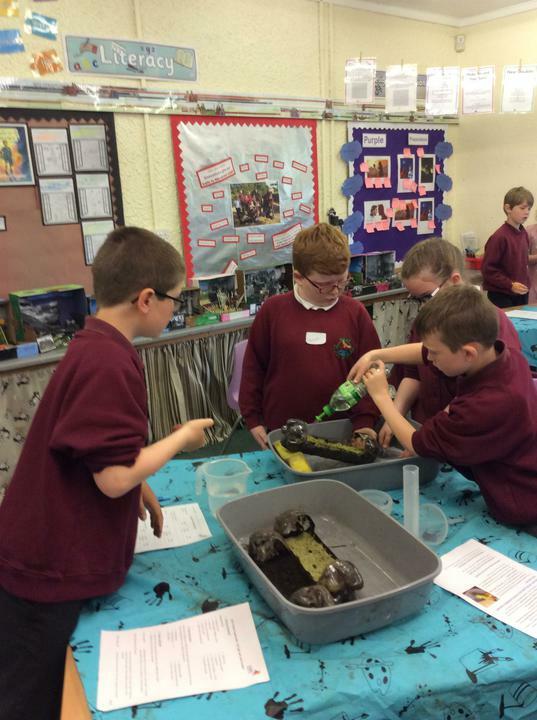 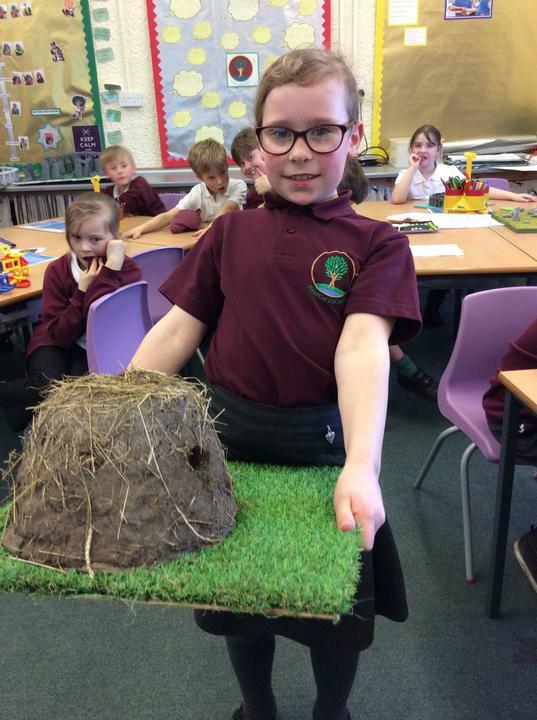 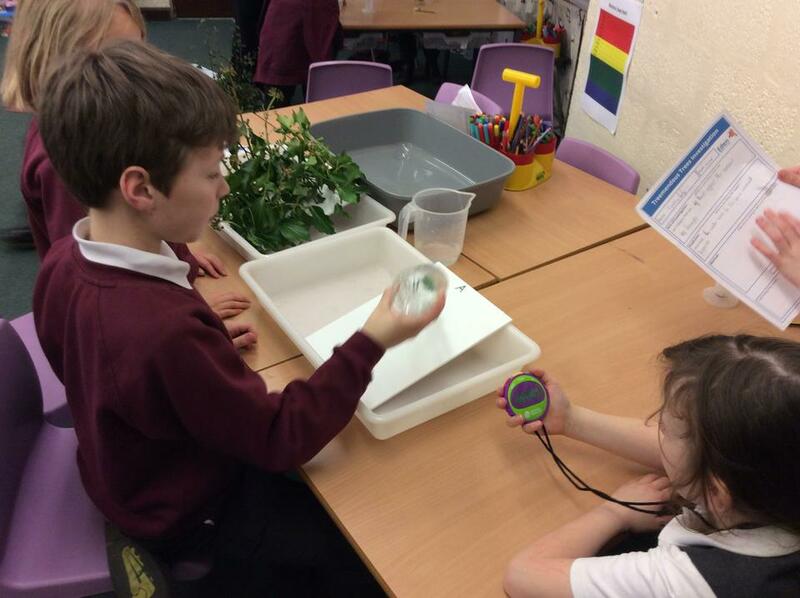 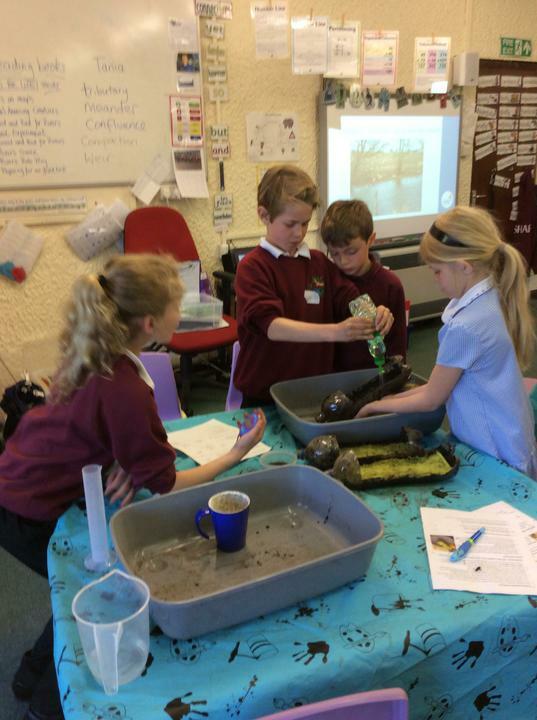 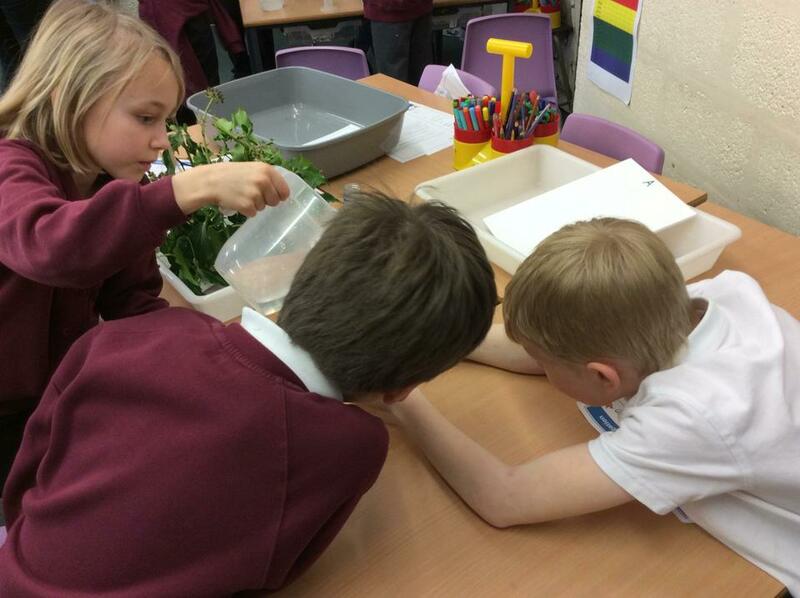 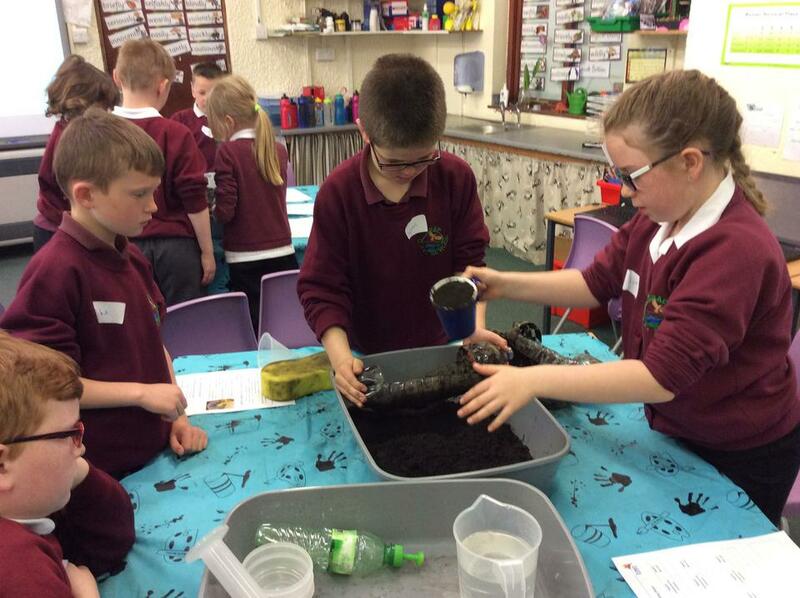 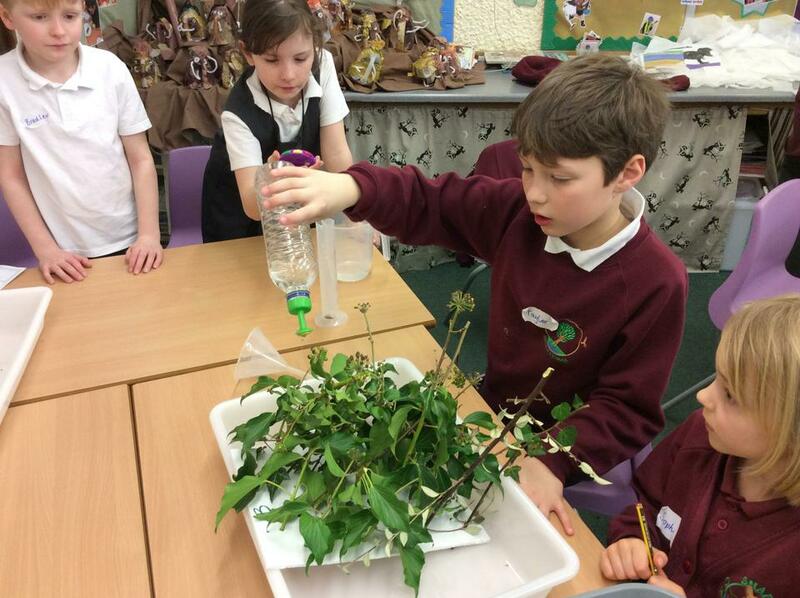 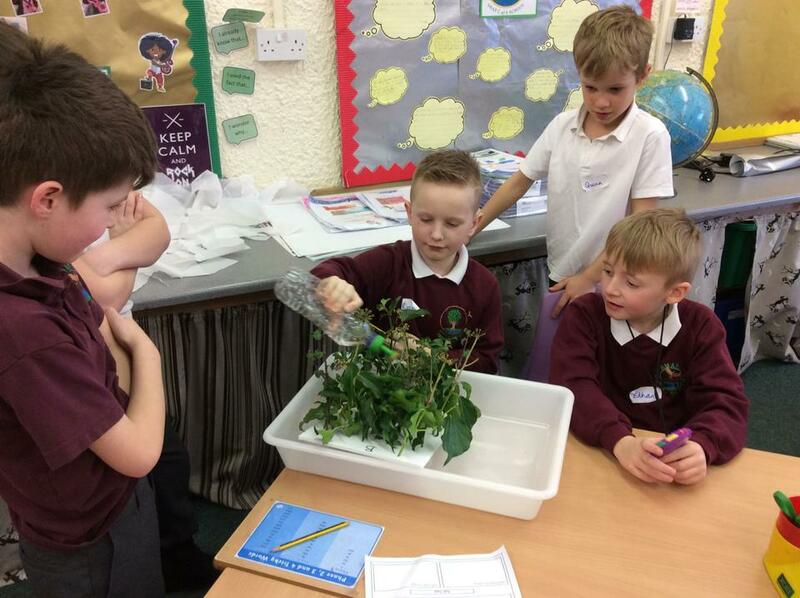 This term we have been studying Living Things and their Habitats. 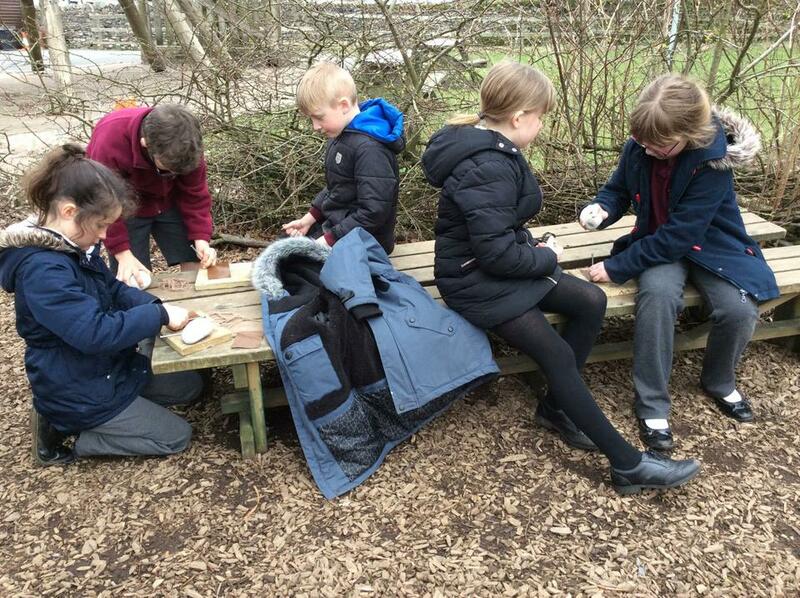 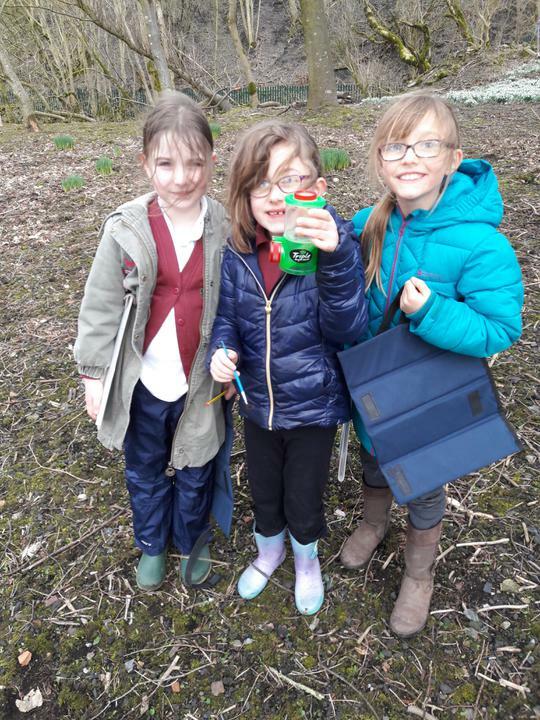 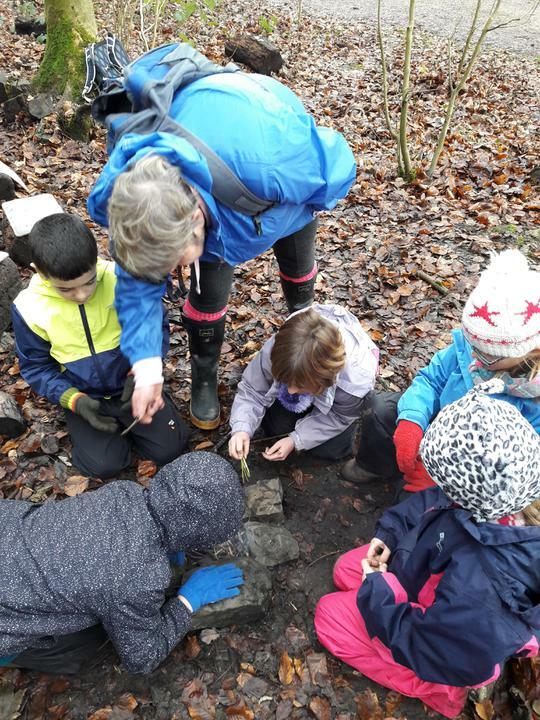 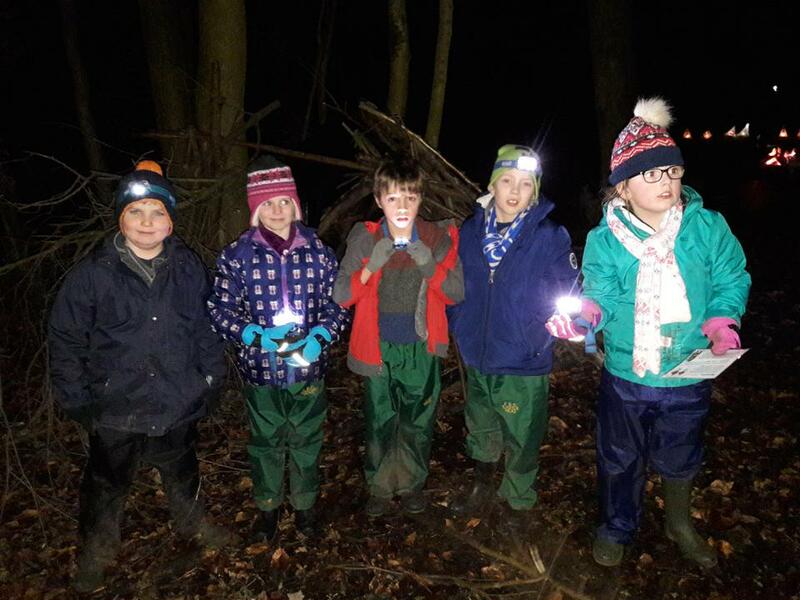 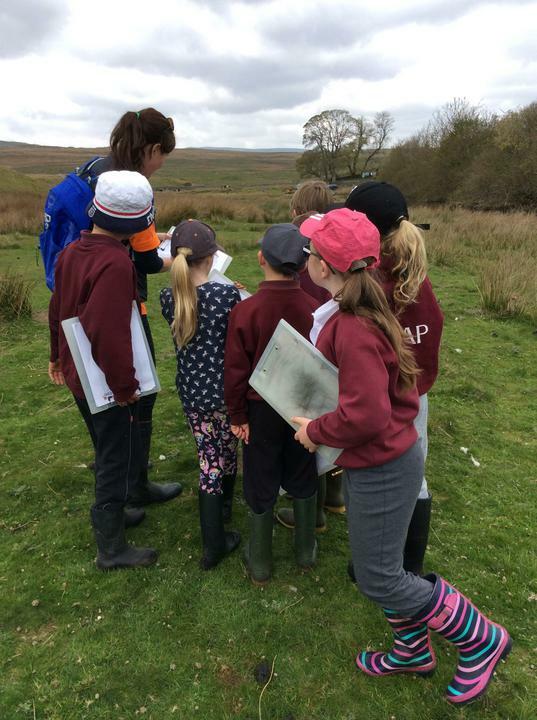 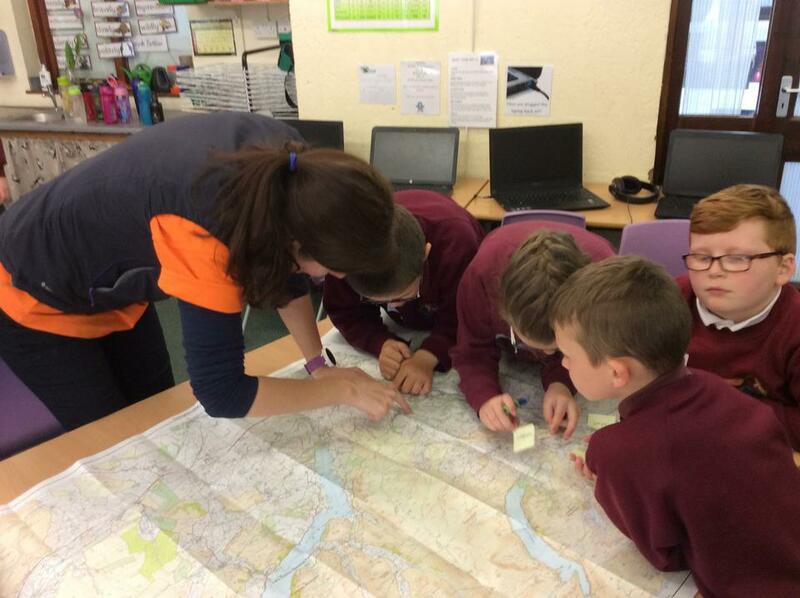 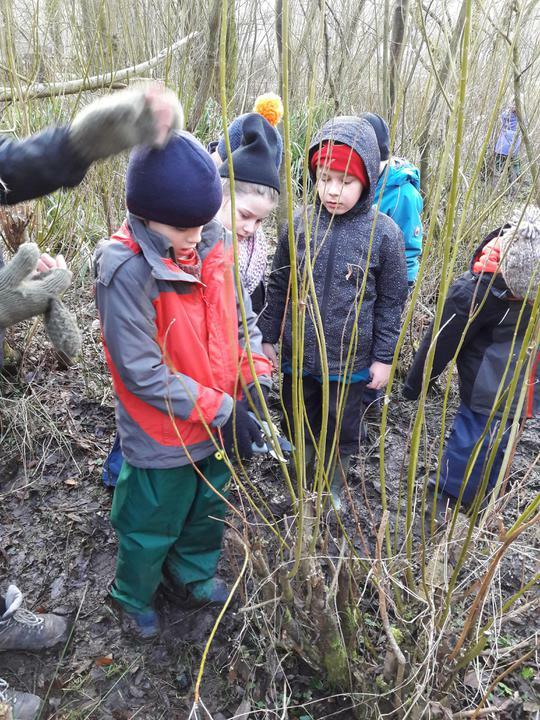 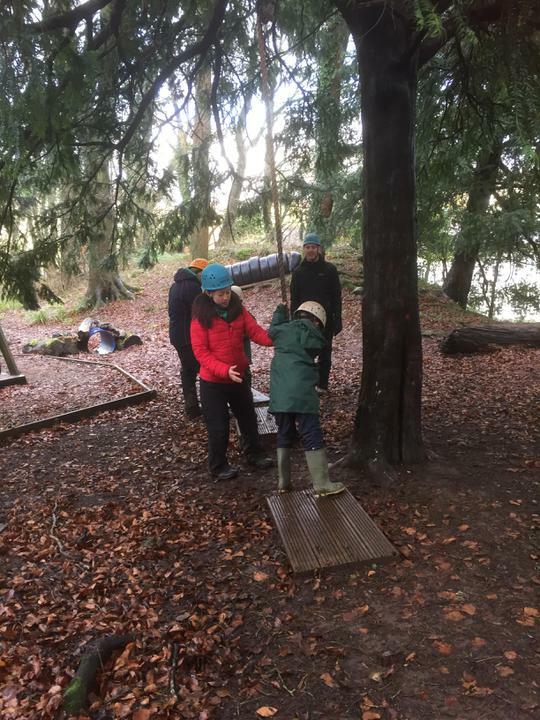 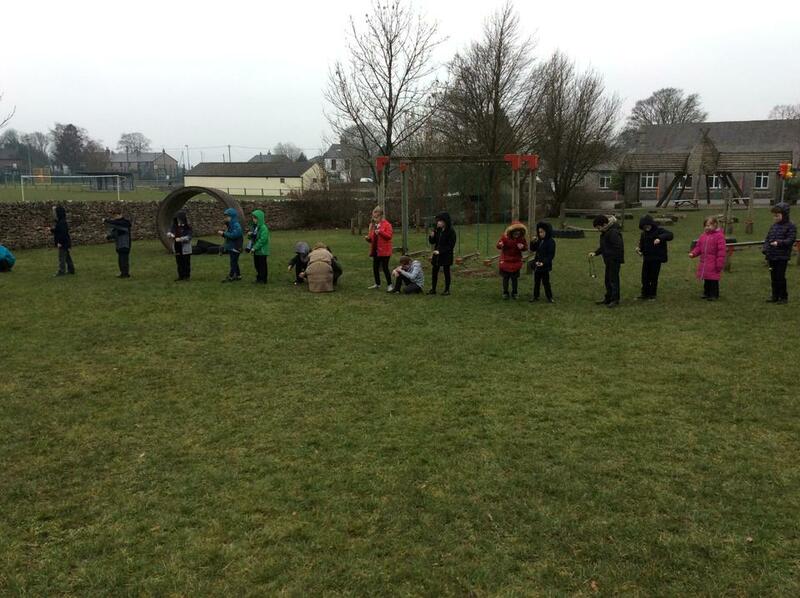 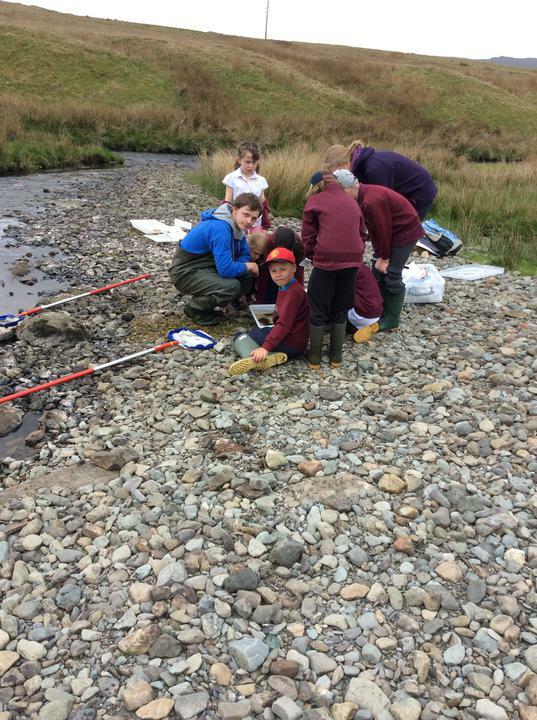 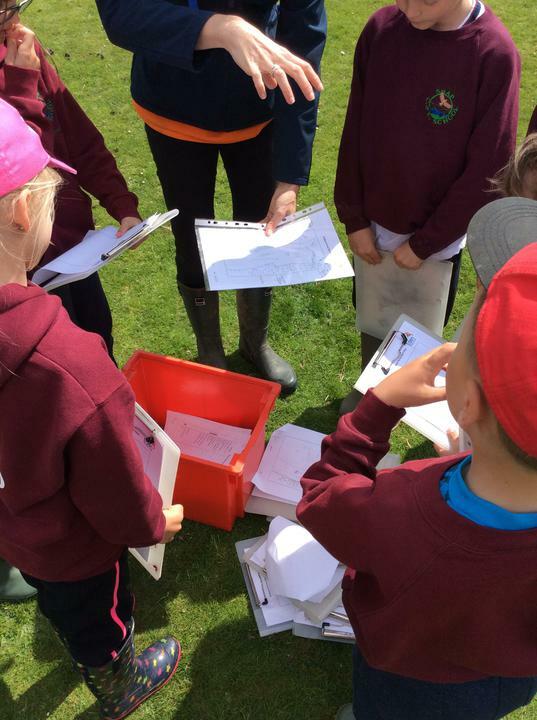 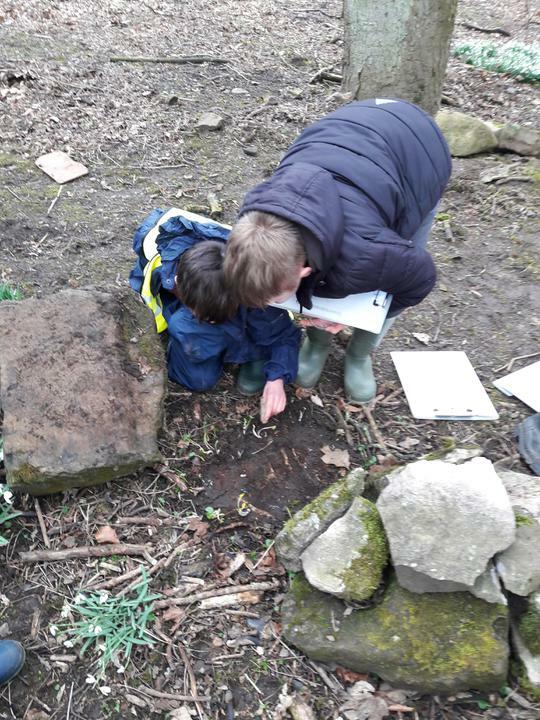 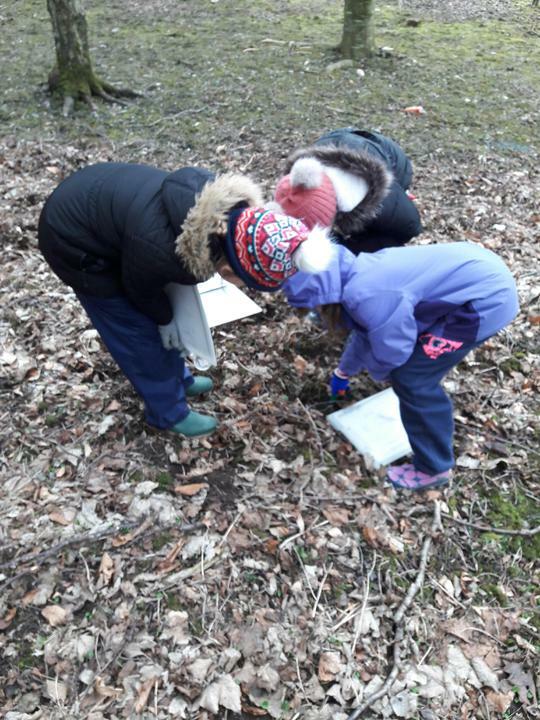 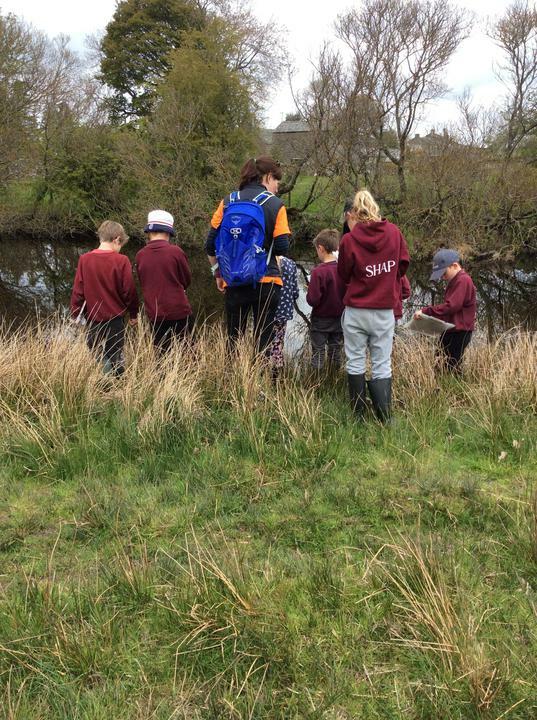 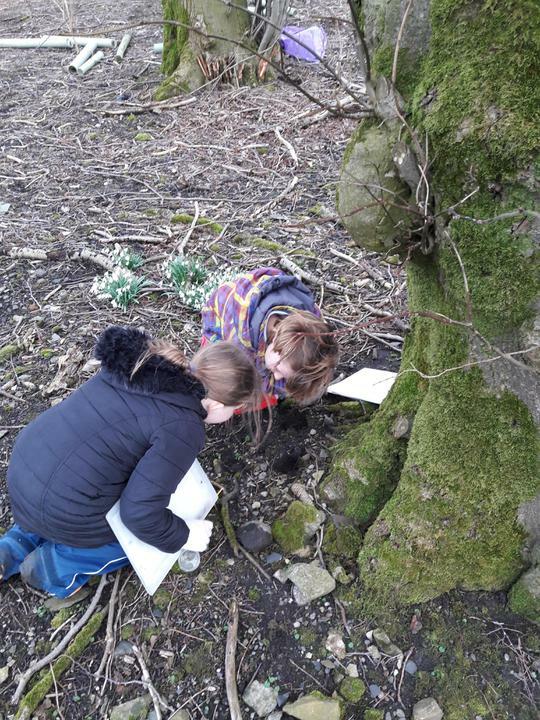 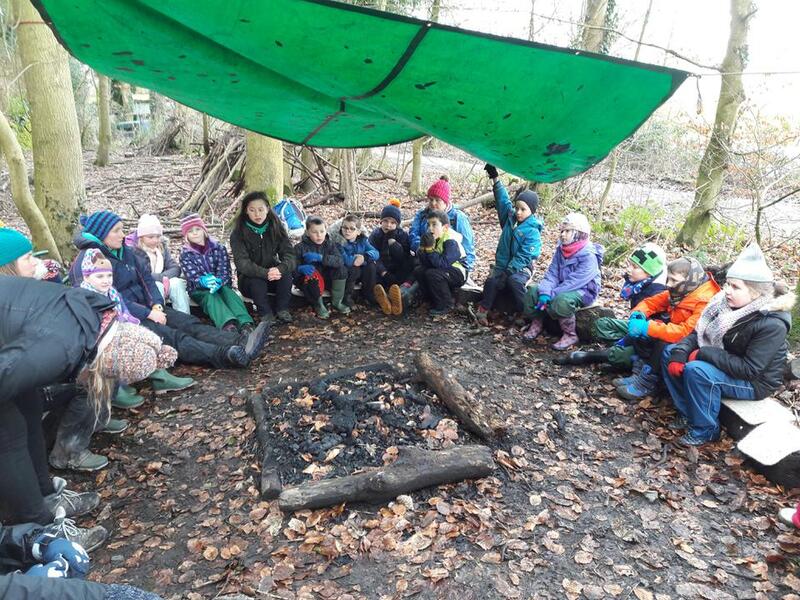 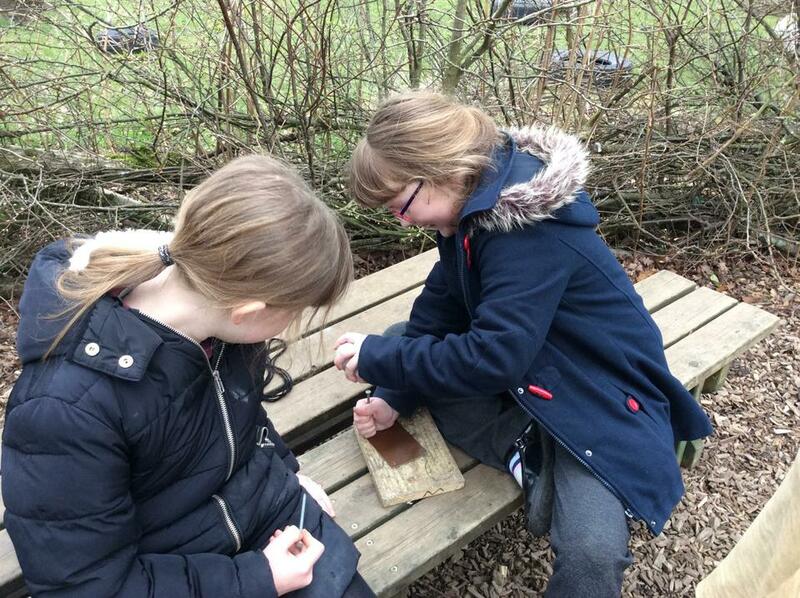 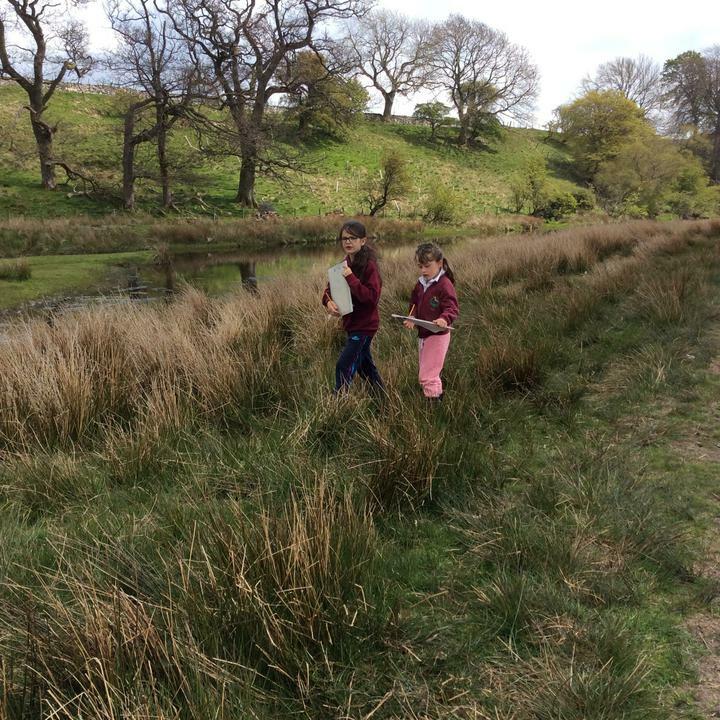 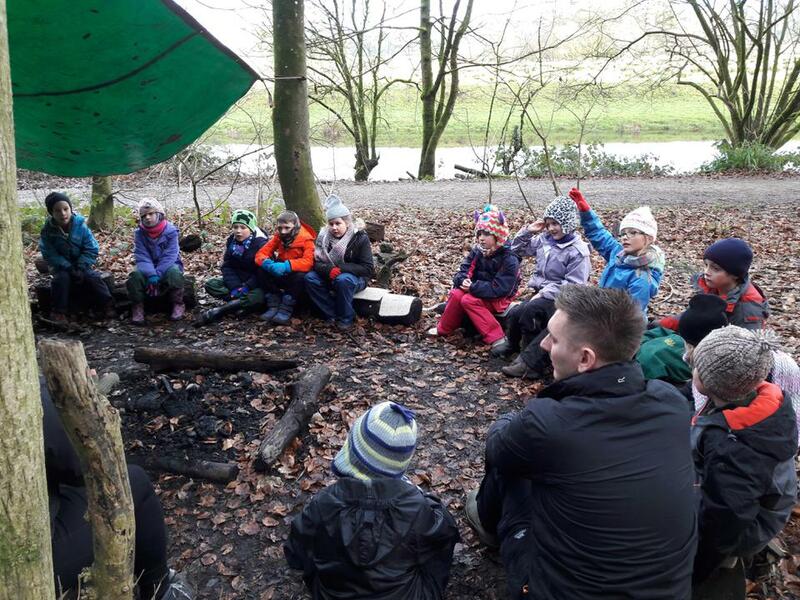 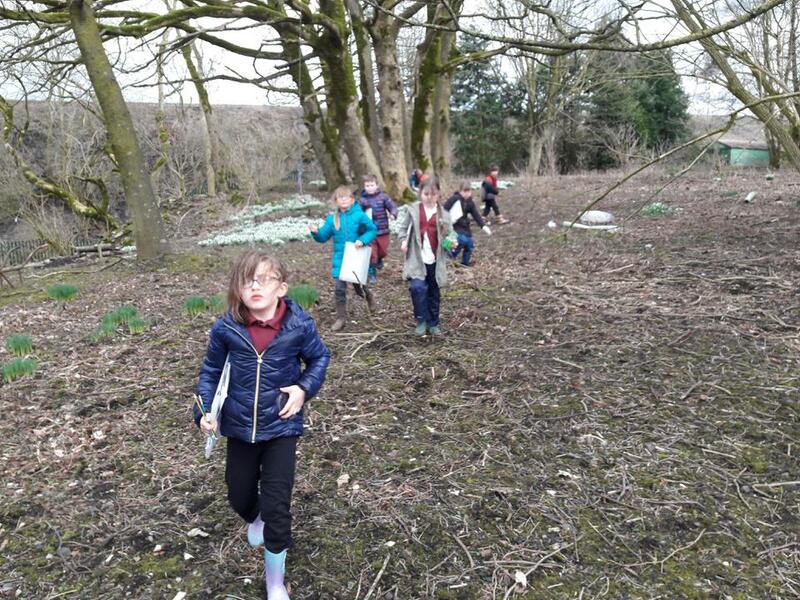 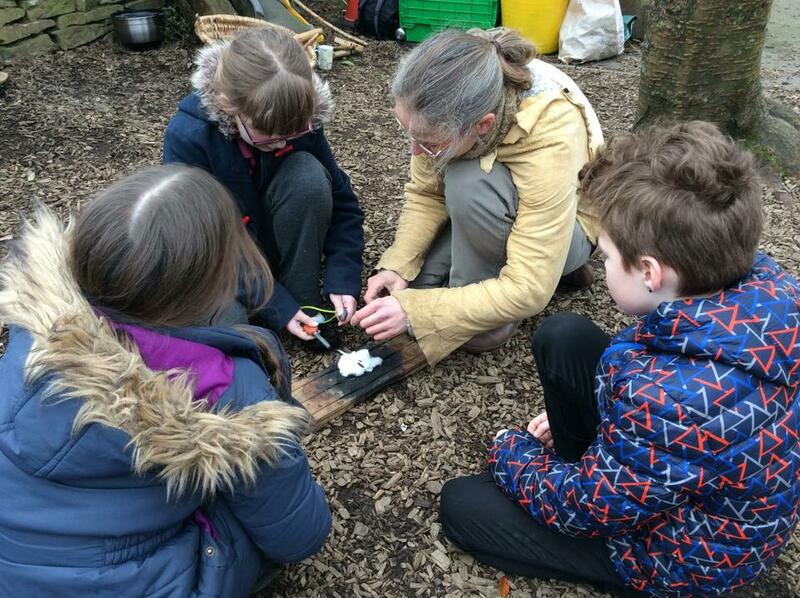 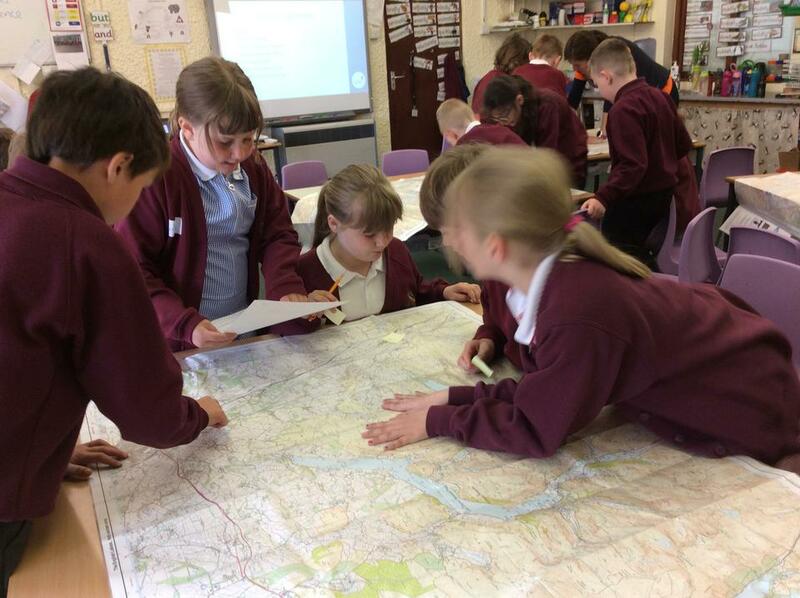 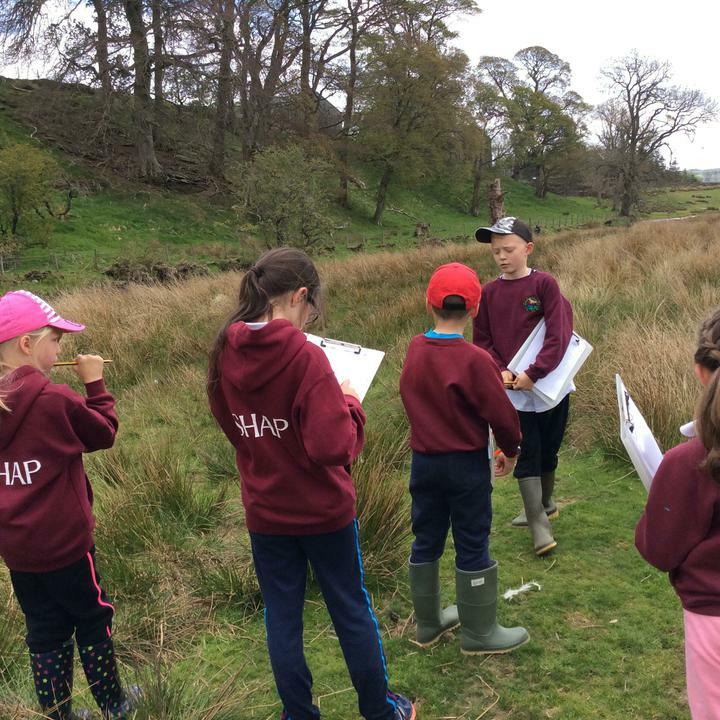 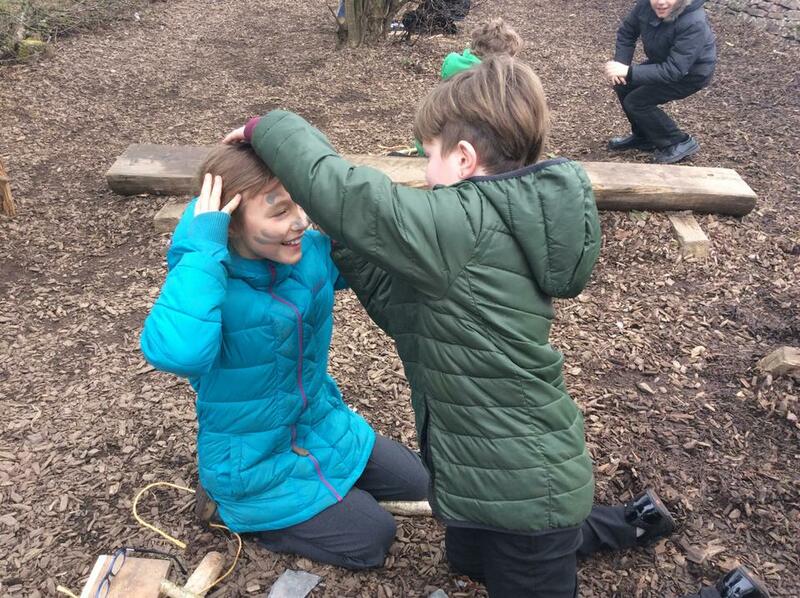 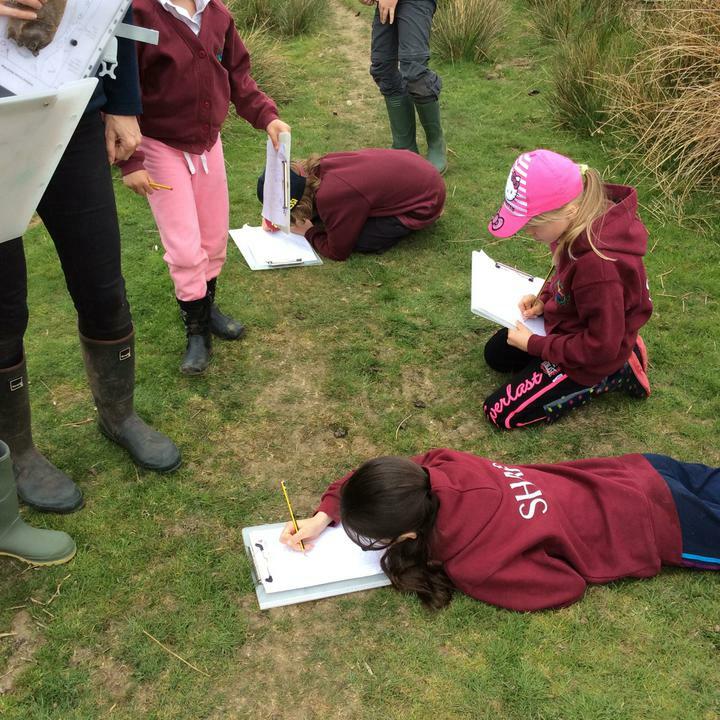 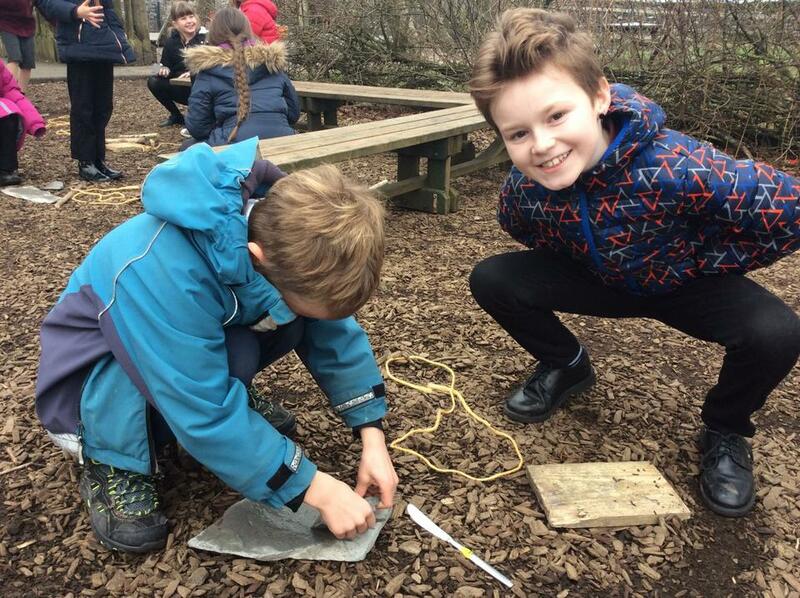 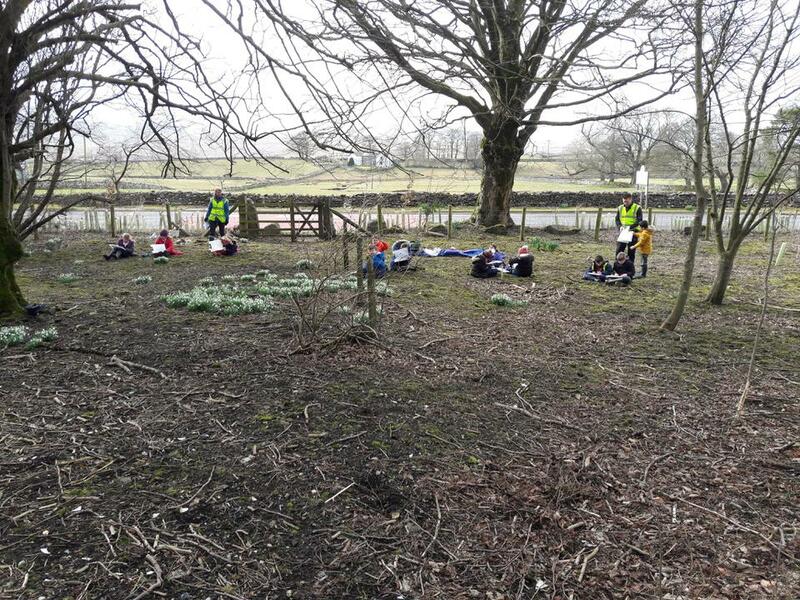 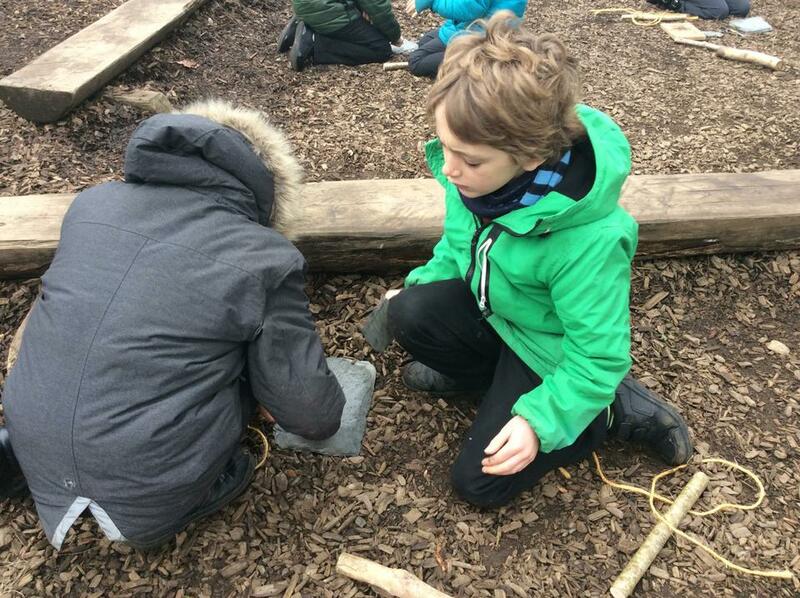 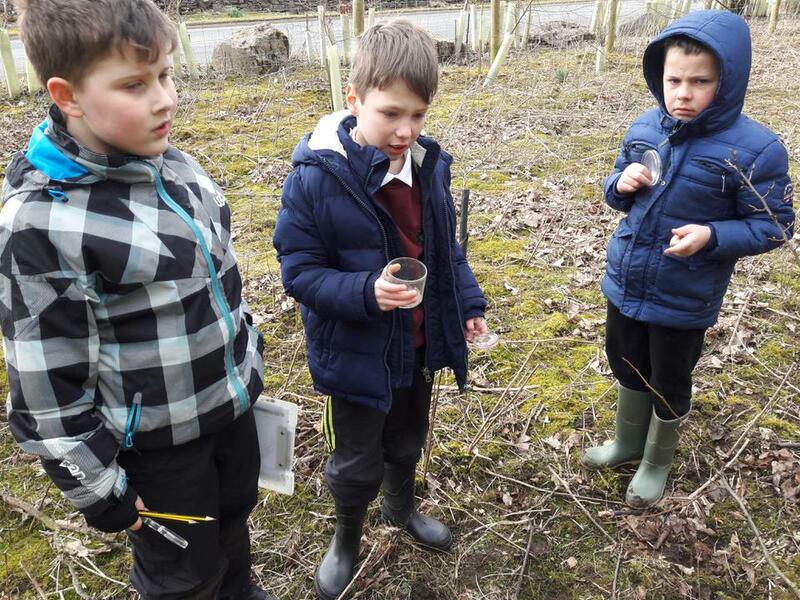 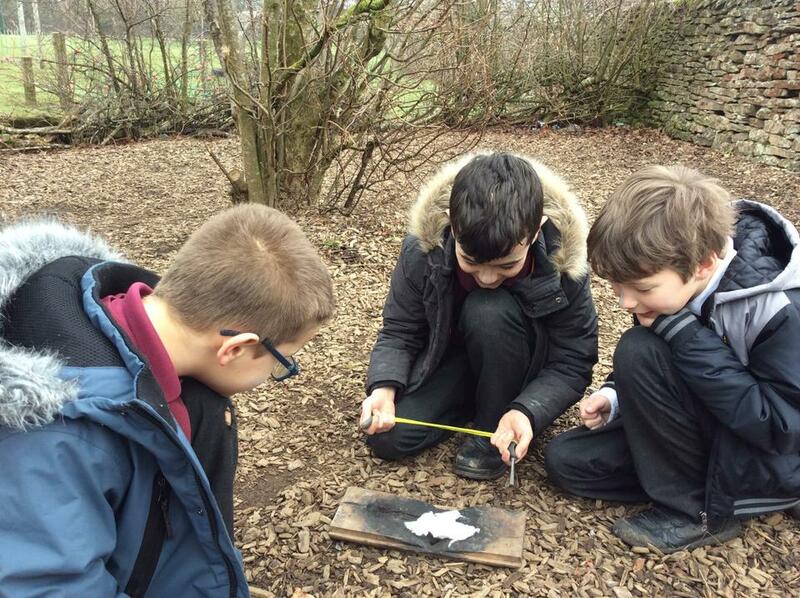 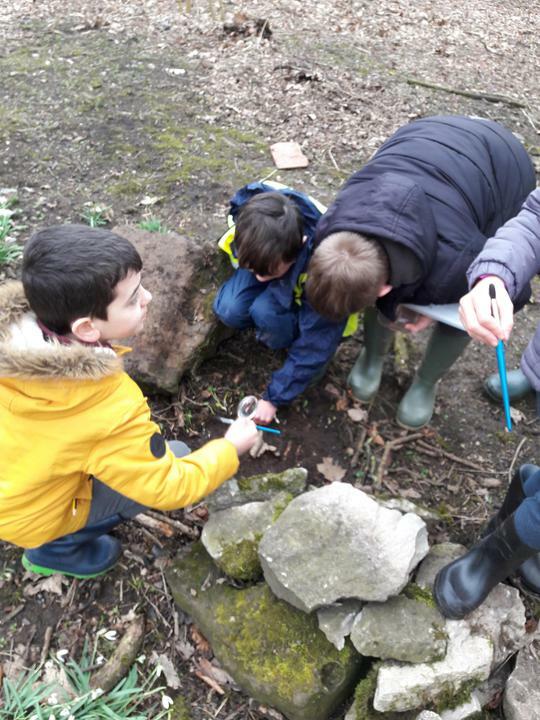 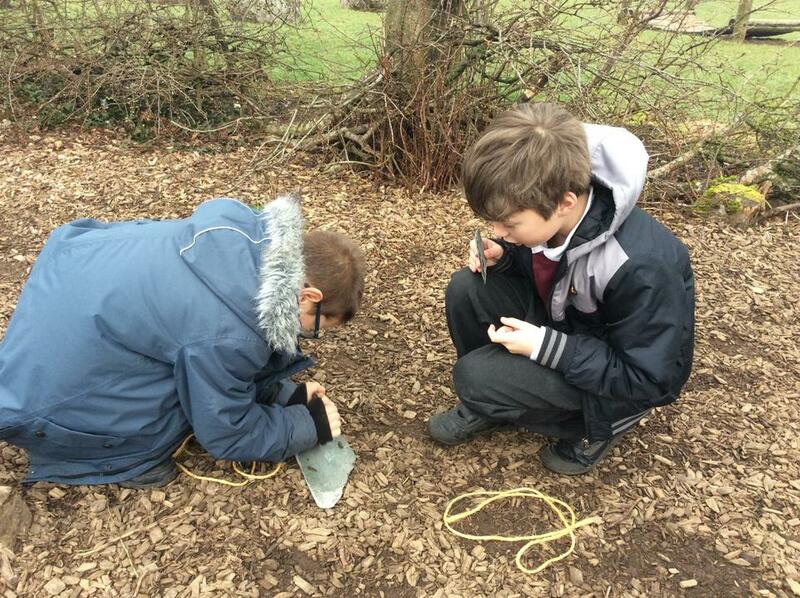 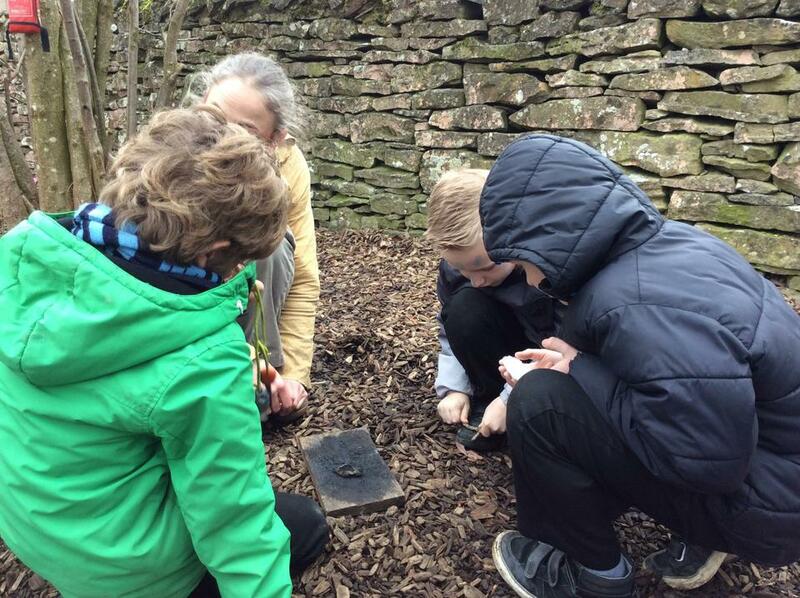 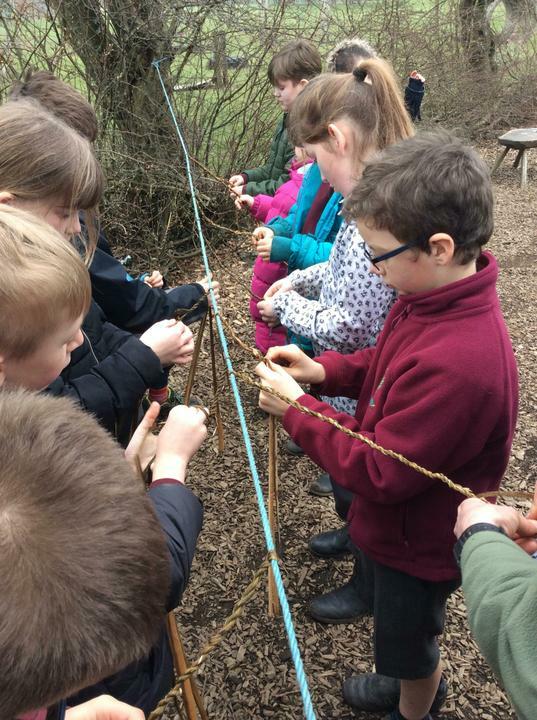 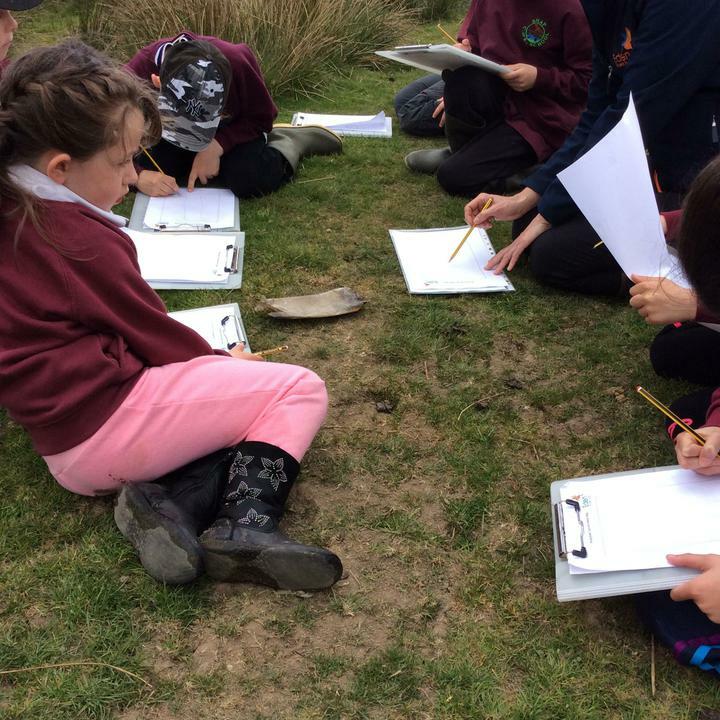 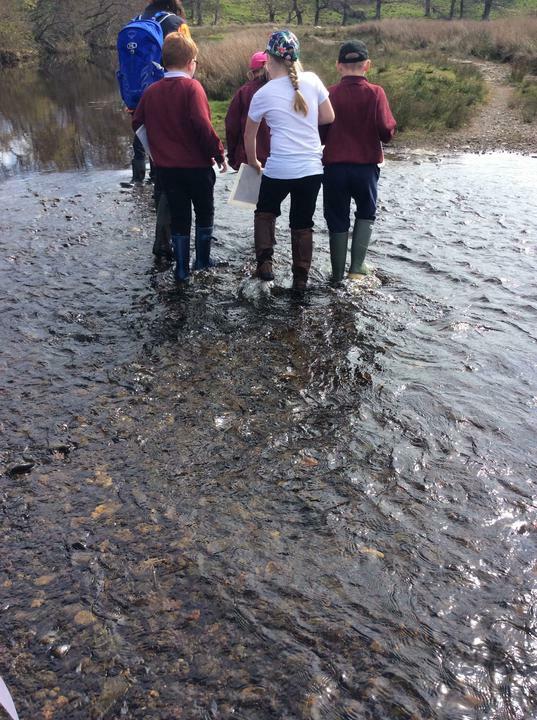 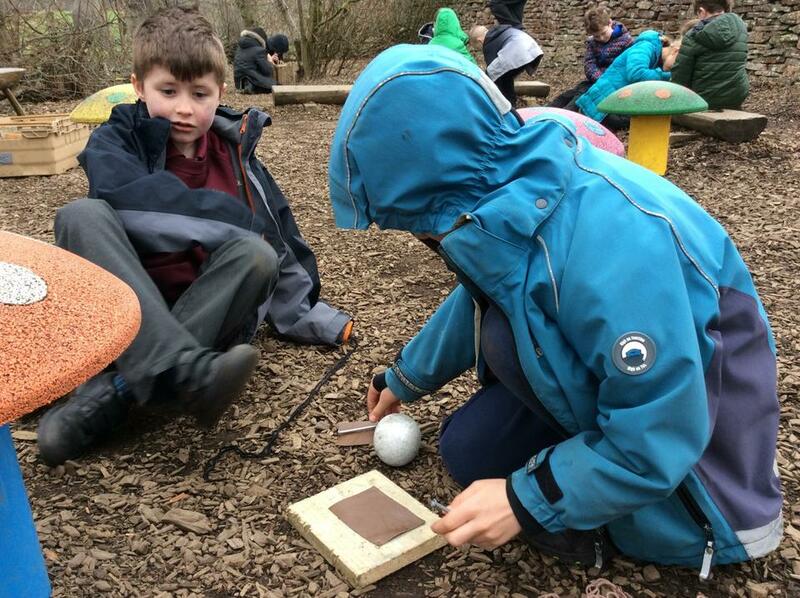 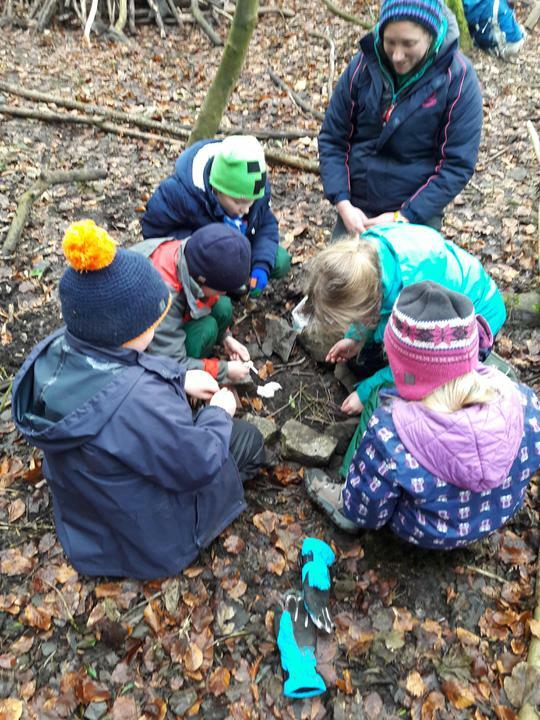 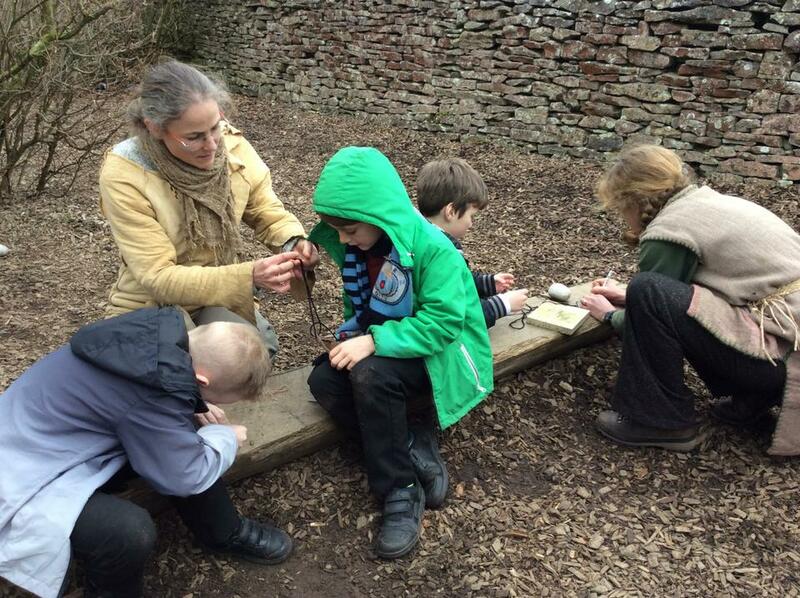 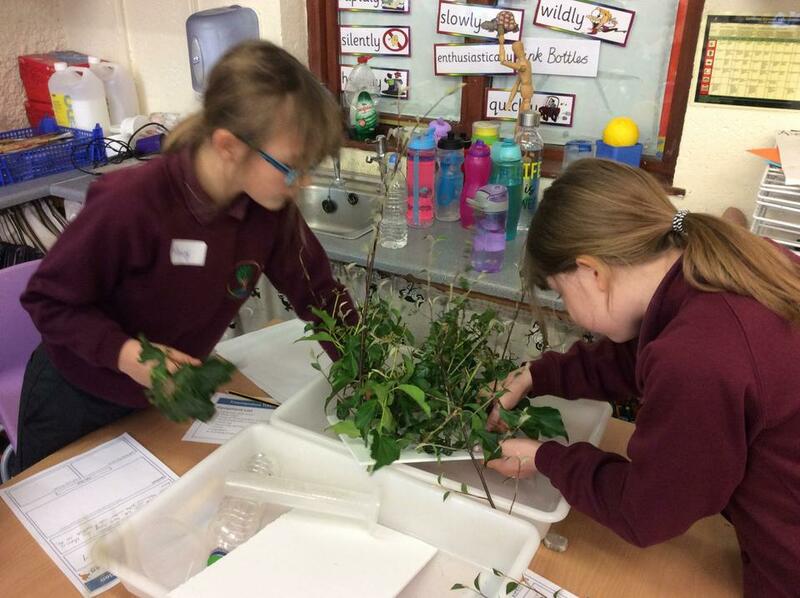 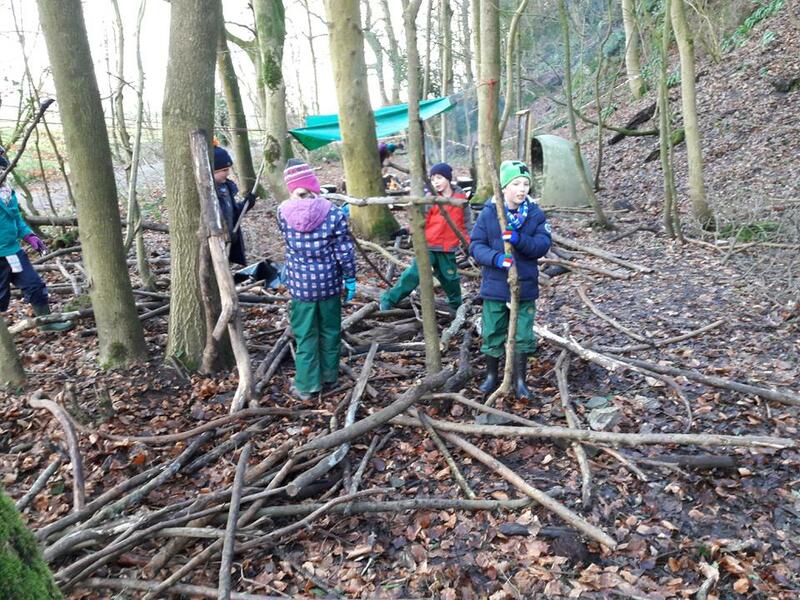 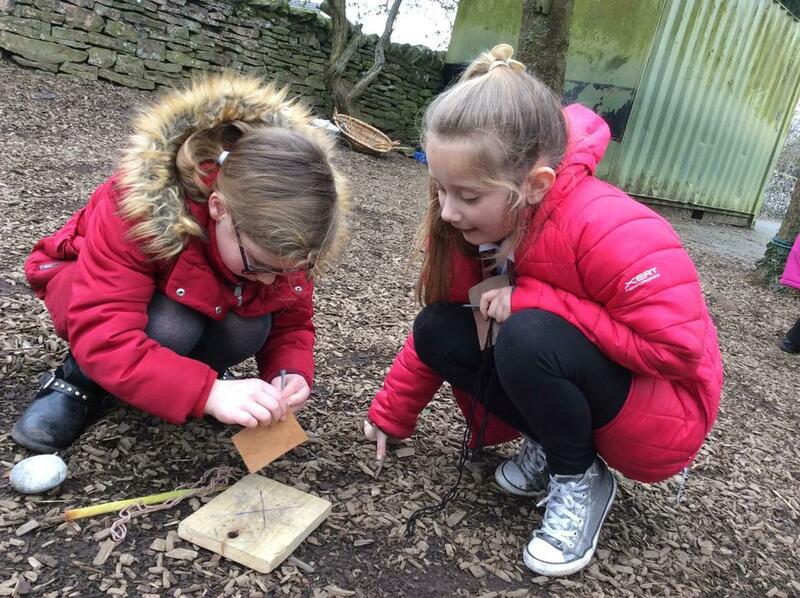 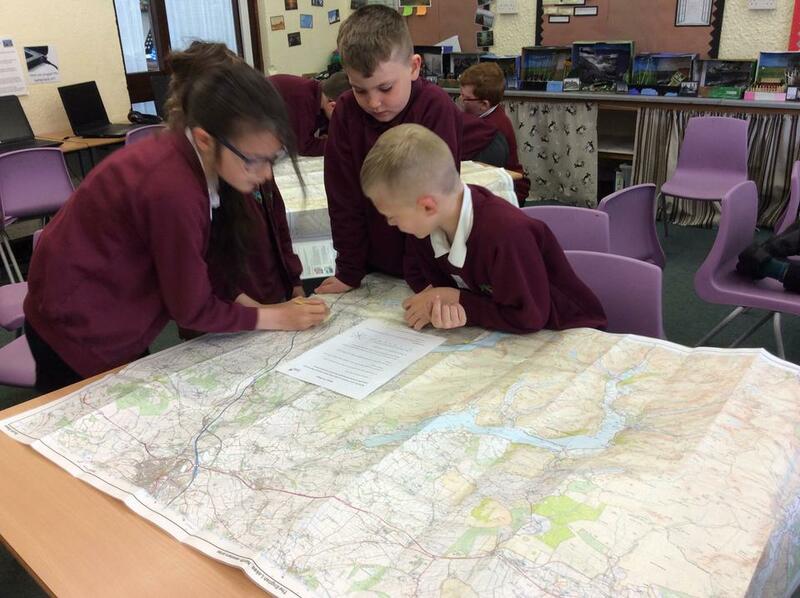 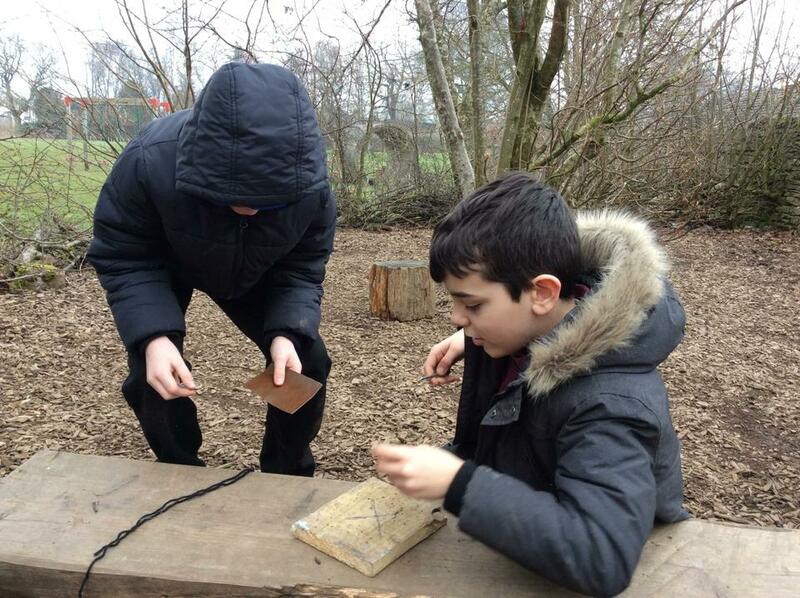 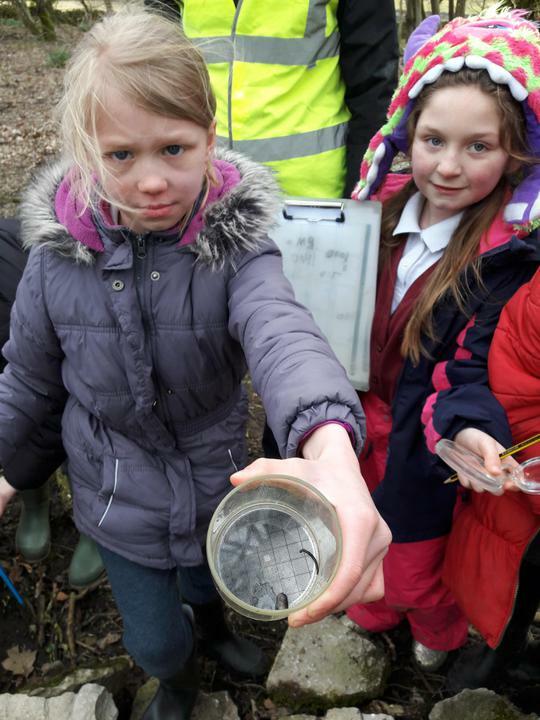 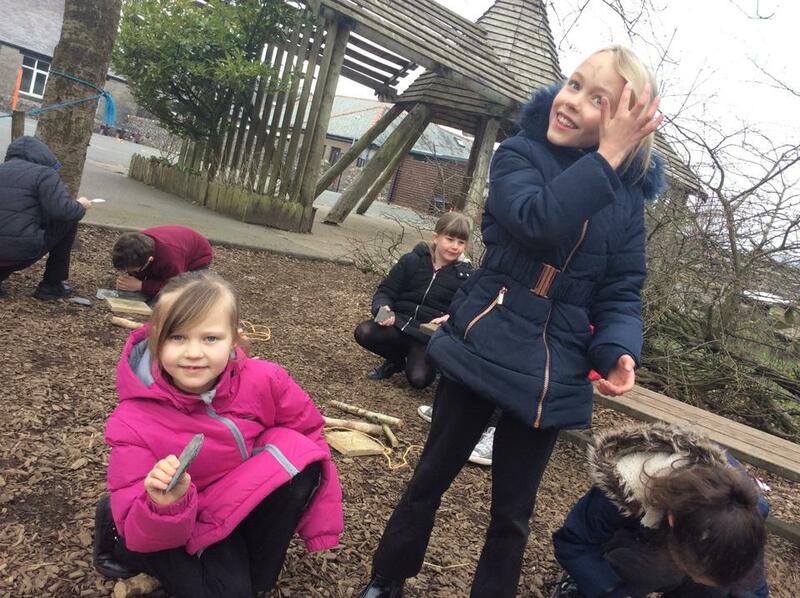 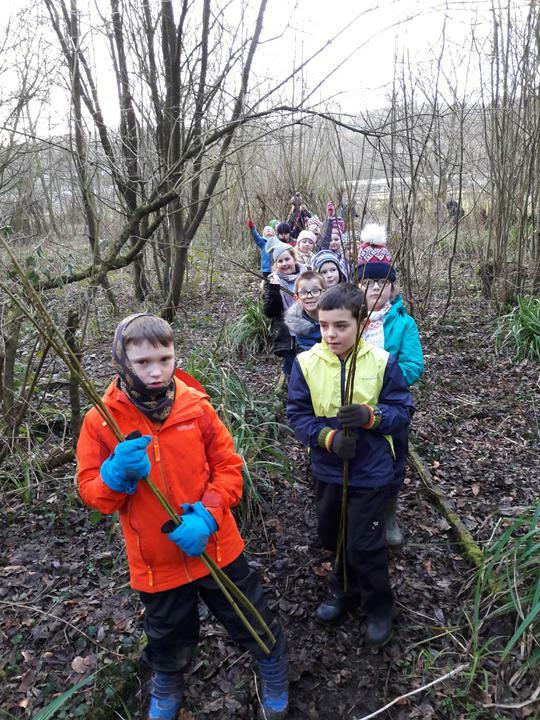 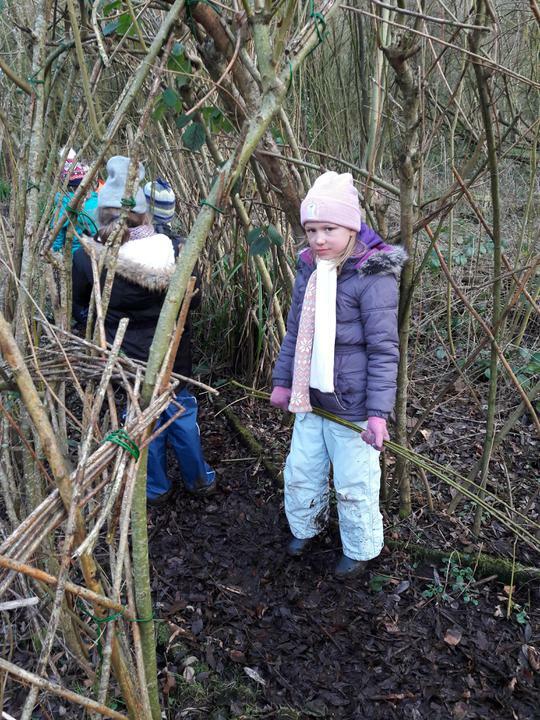 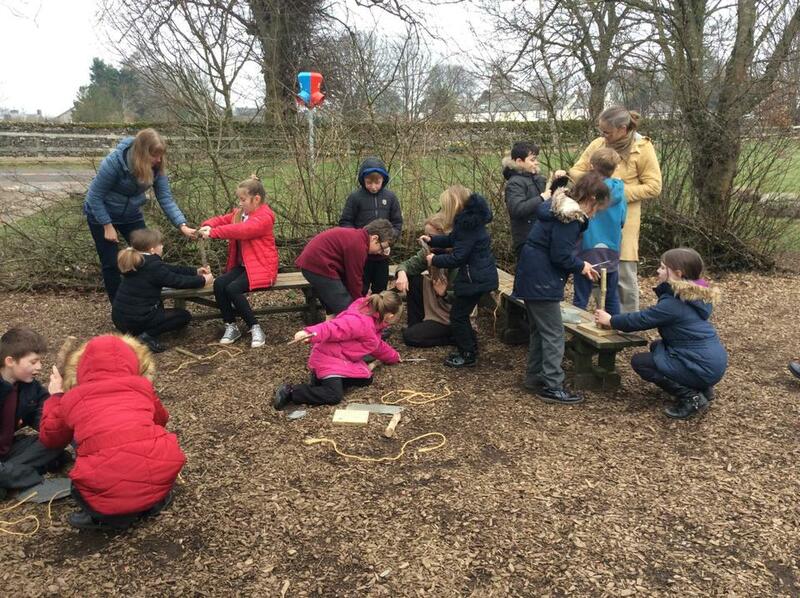 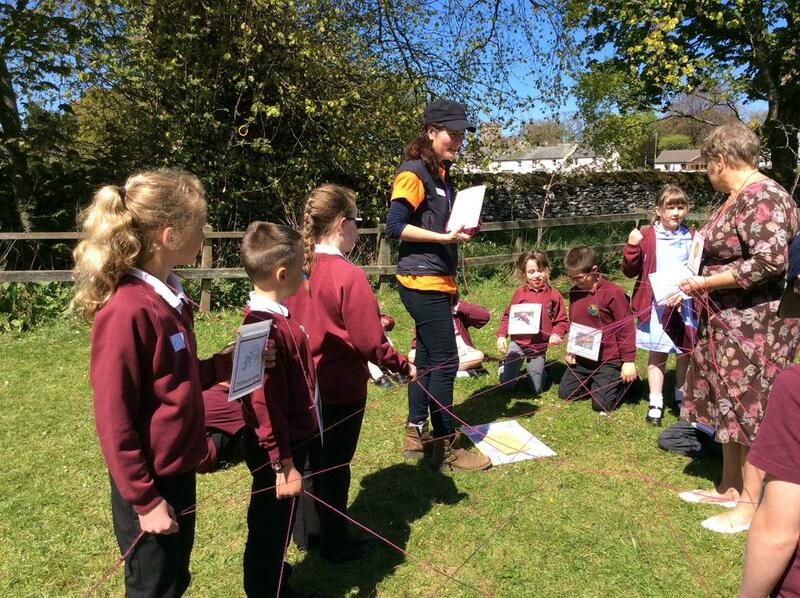 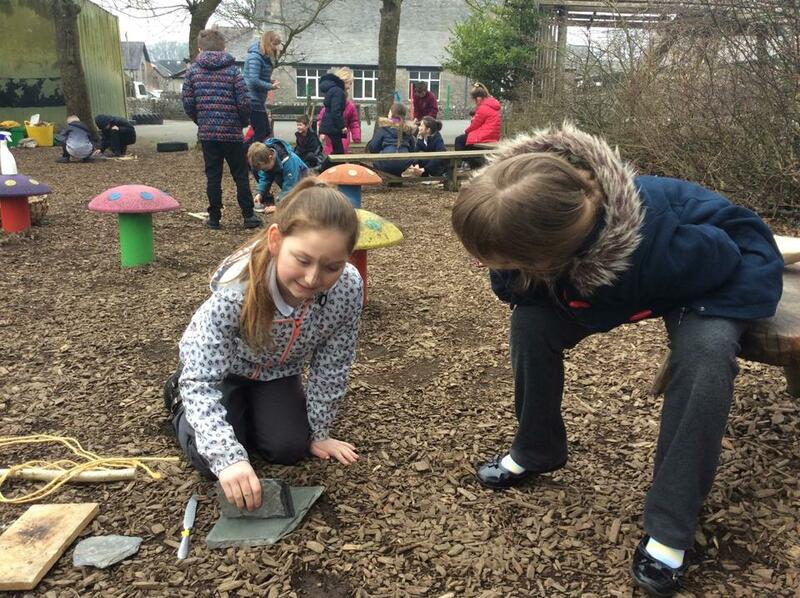 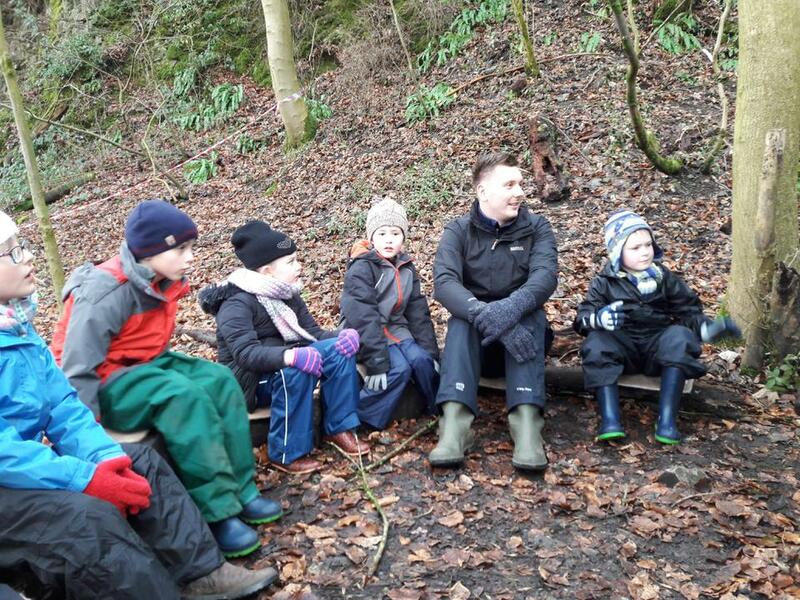 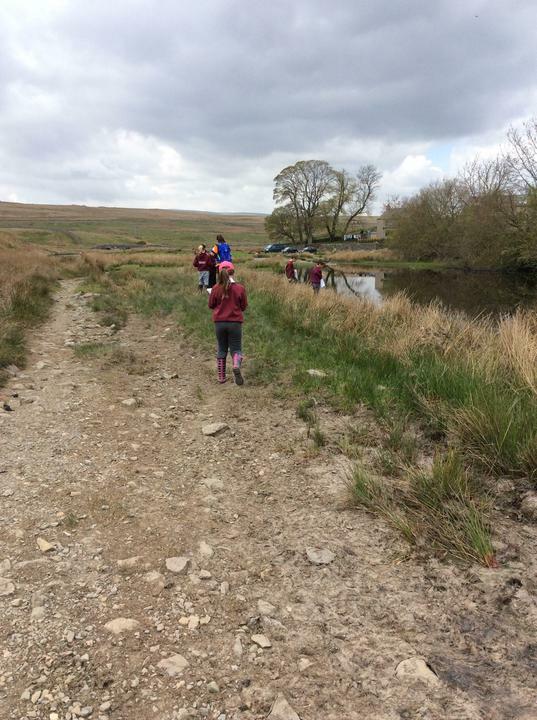 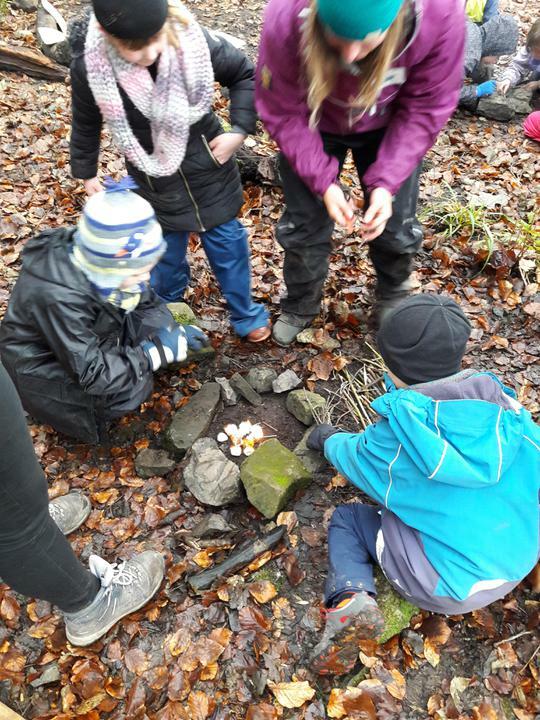 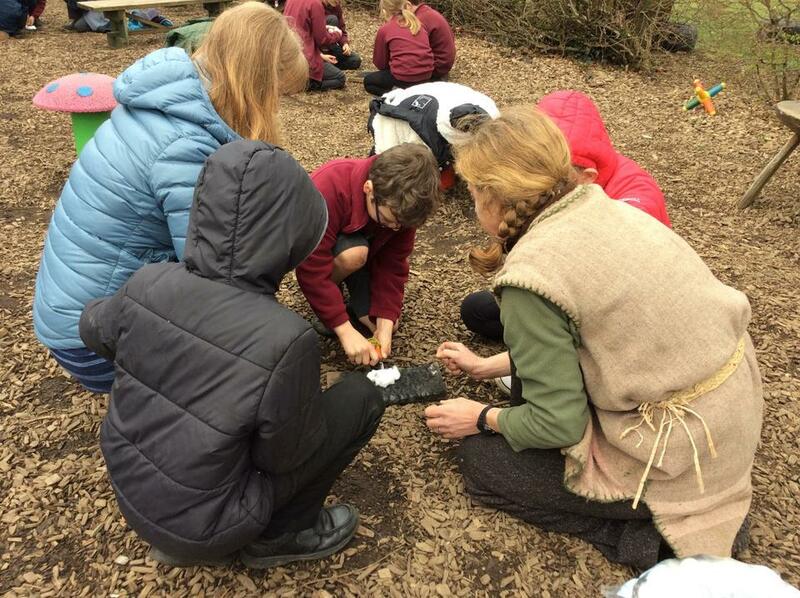 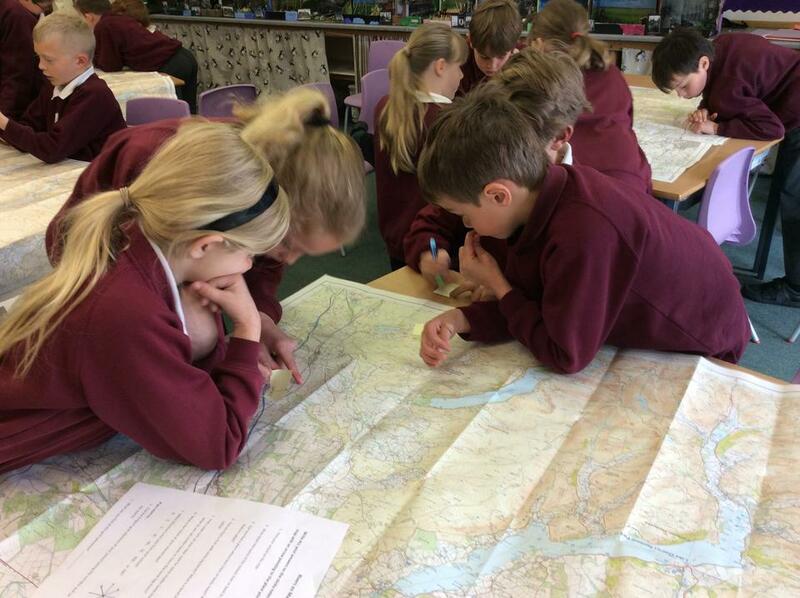 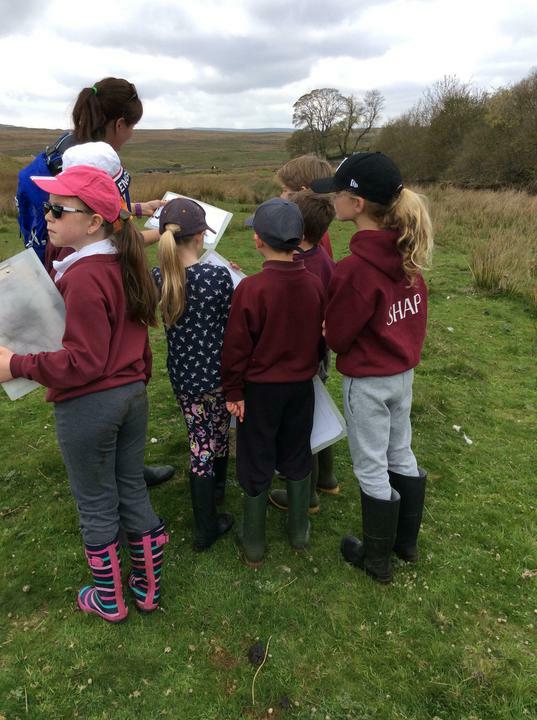 We planned a visit to the woods to identify invertebrates and conduct a habitat survey. 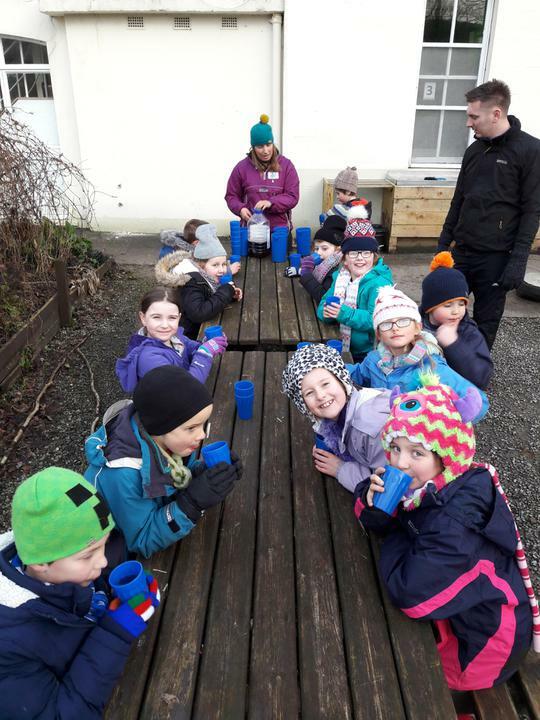 Finally, the snow melted and we had a dry day for our trip. 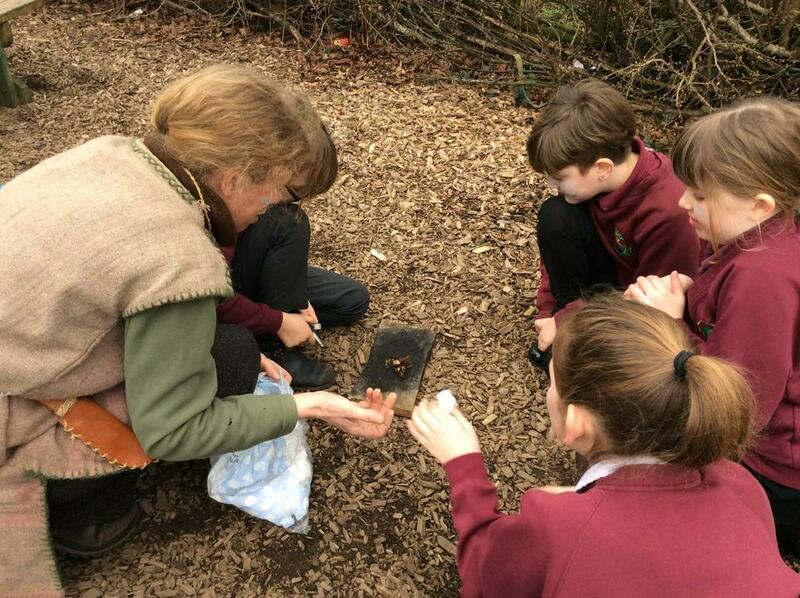 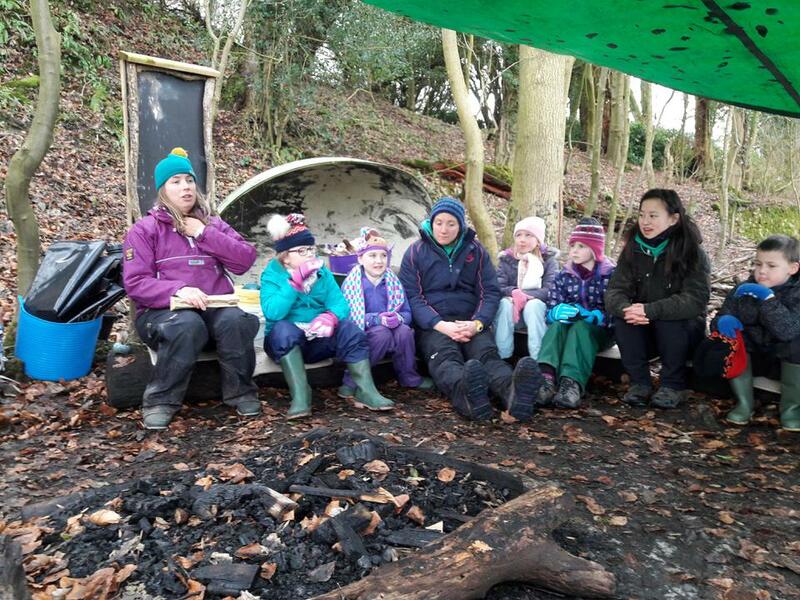 Although it was still rather cold for some species, a large milipede, a centipede and lots of worms and slugs were found. 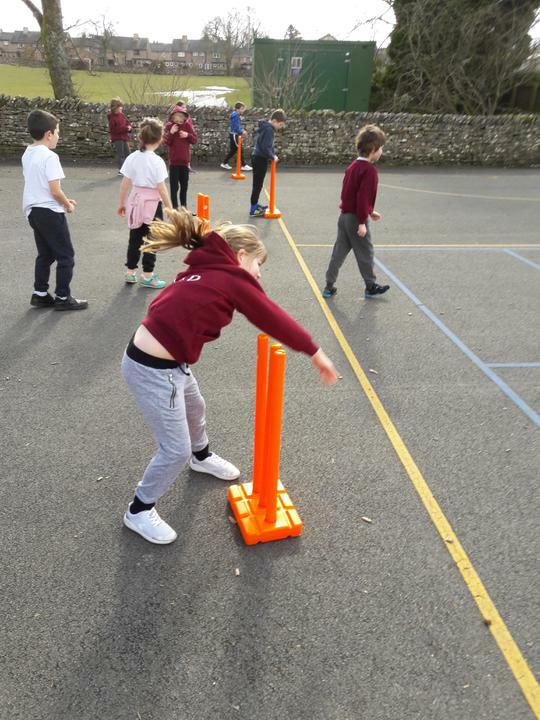 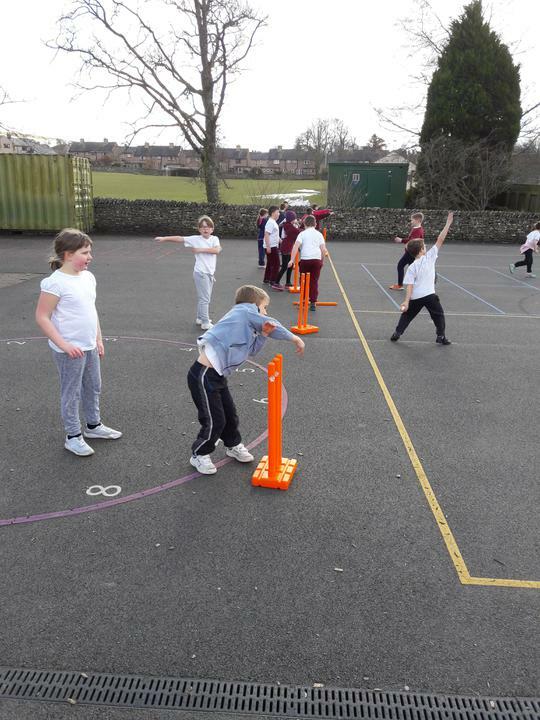 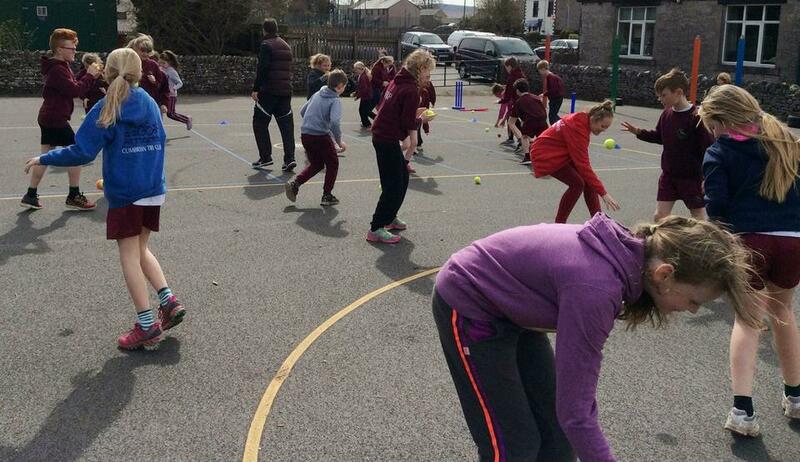 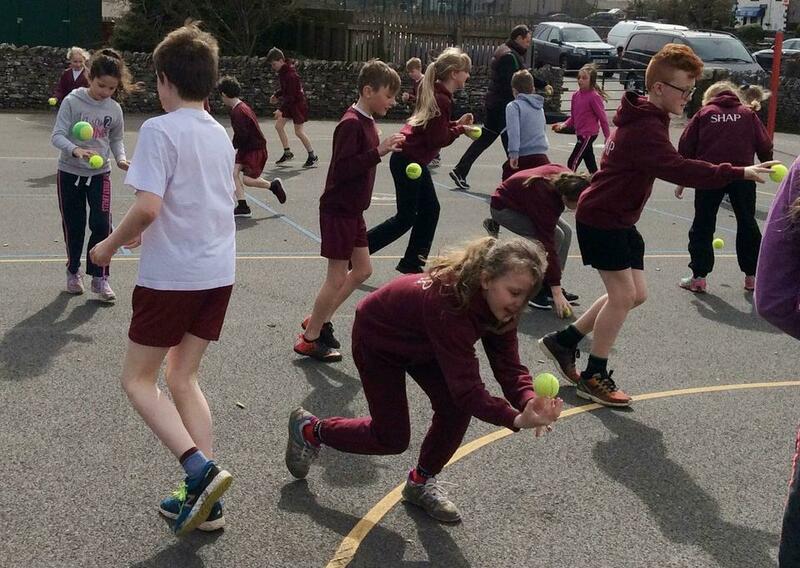 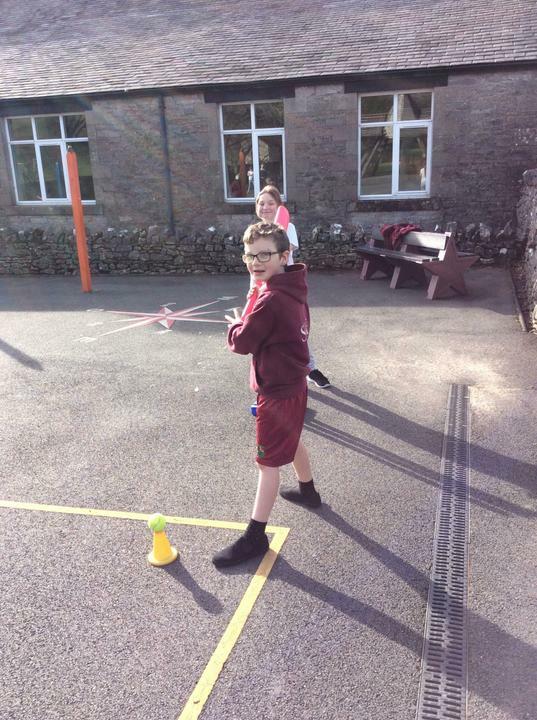 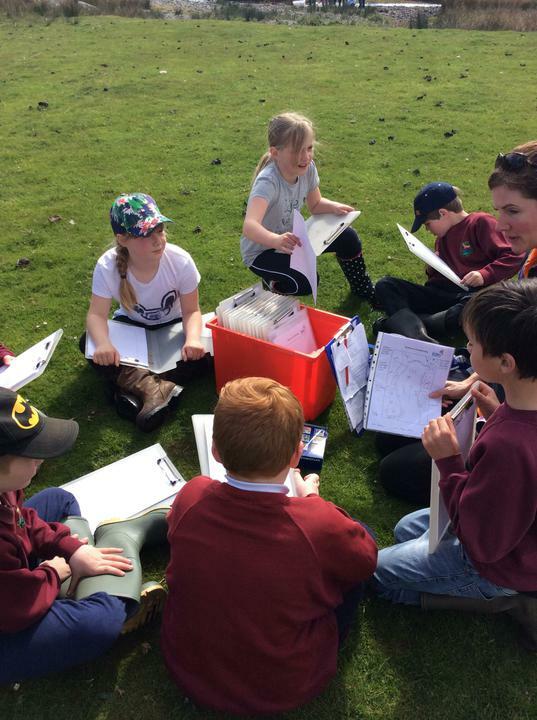 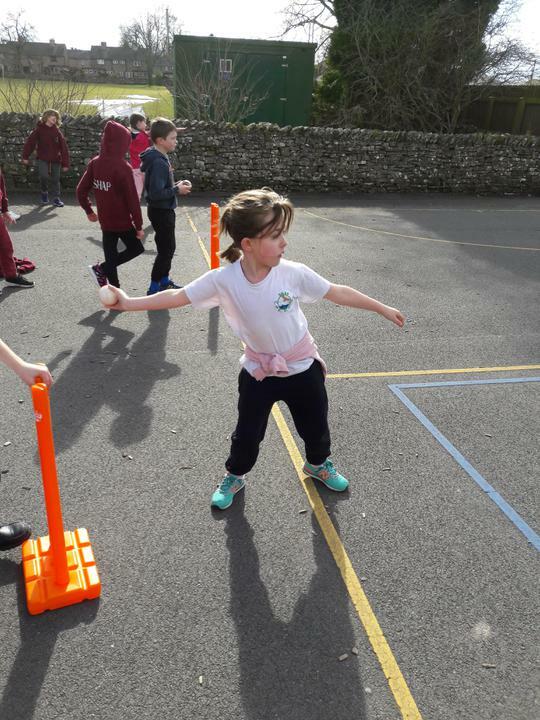 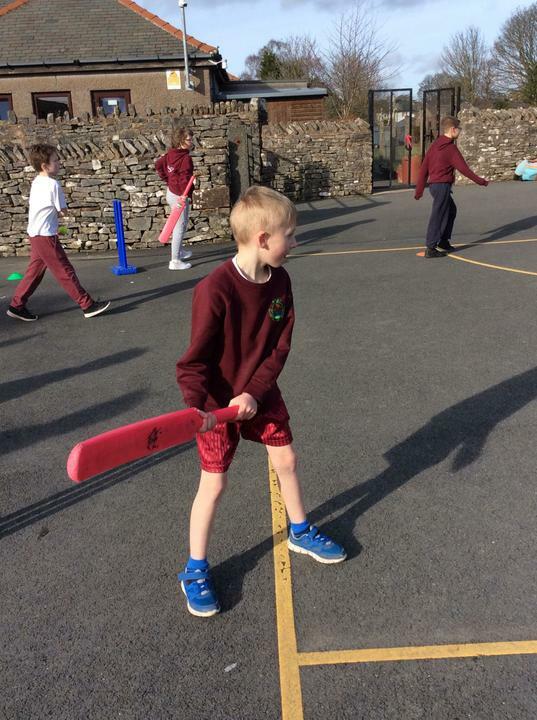 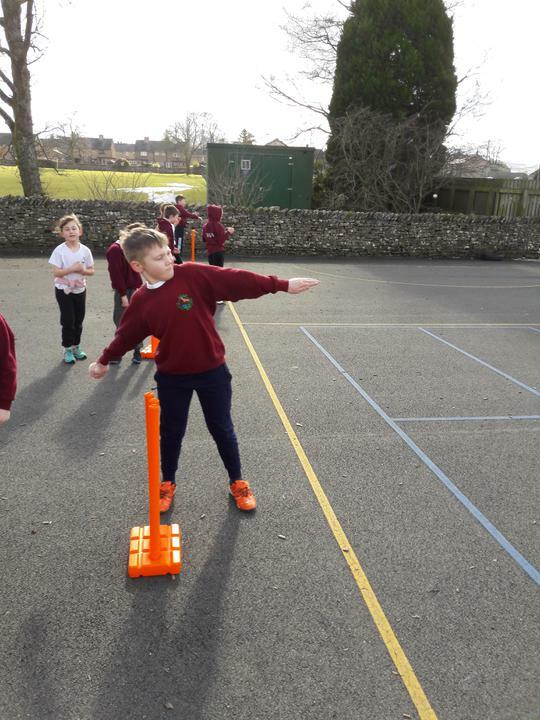 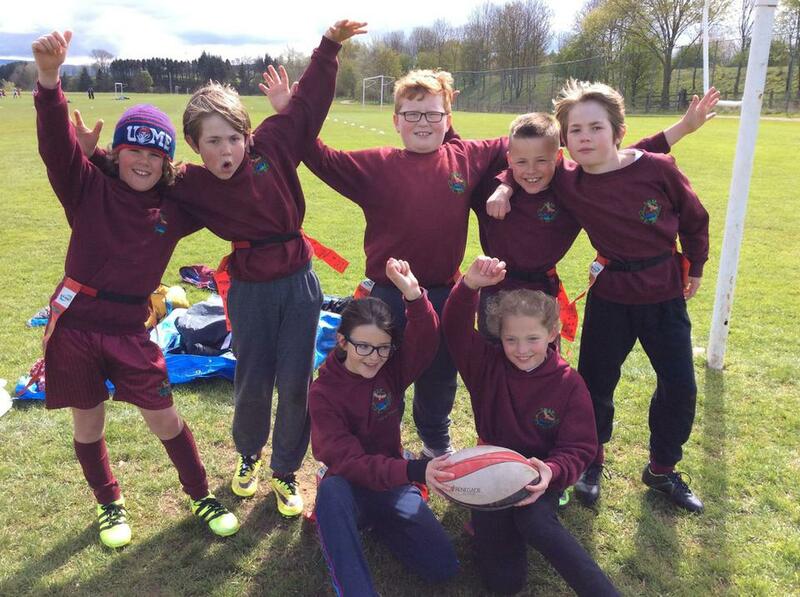 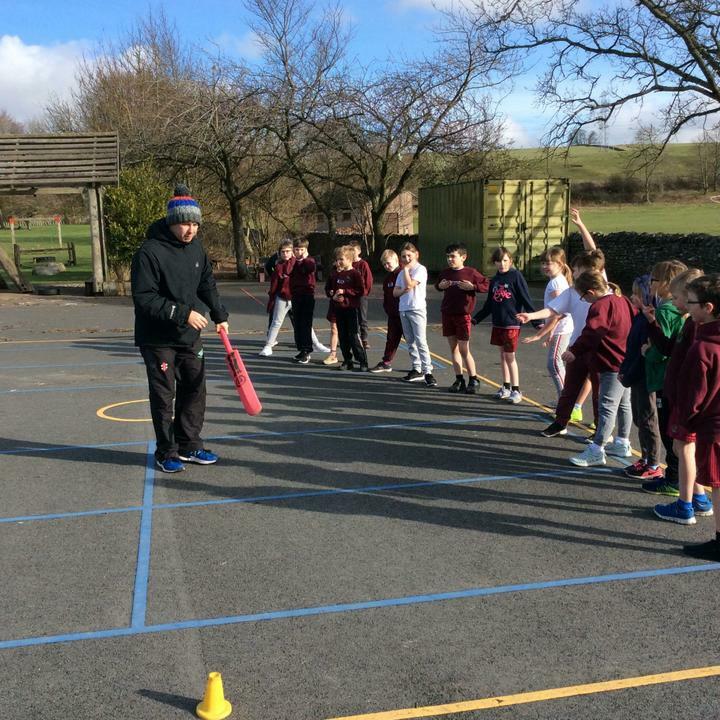 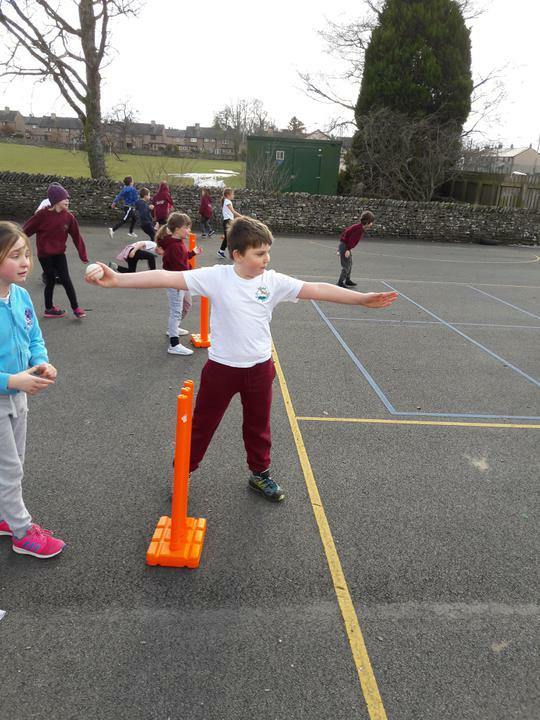 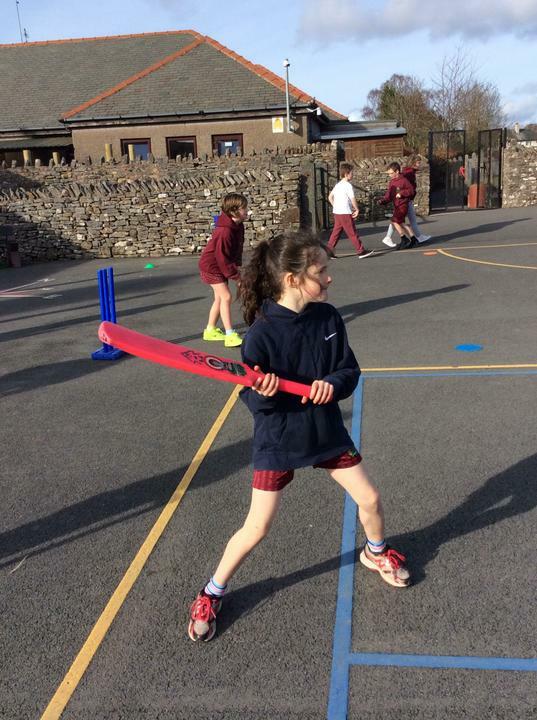 After last week's snow, Blencathra enjoyed getting out into the Spring sunshine with Jonathon for this week's cricket coaching. 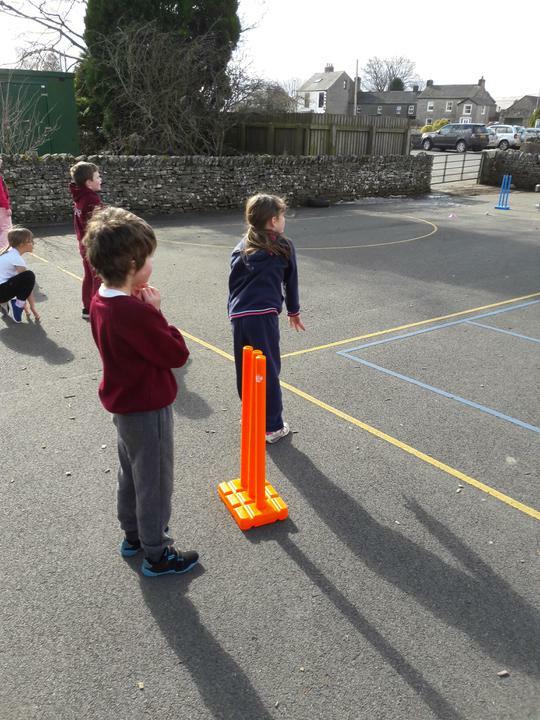 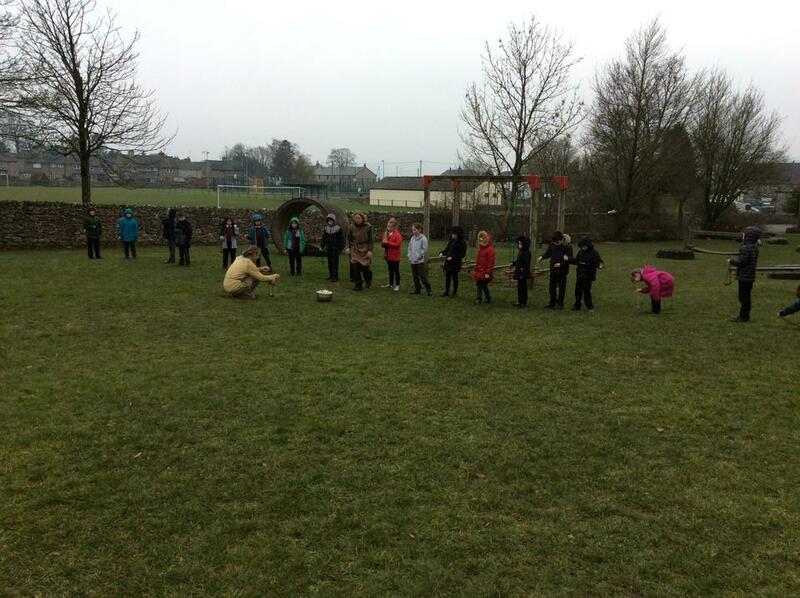 We were working on our bowling skills and by the end of the session there were quite a few wickets being hit. 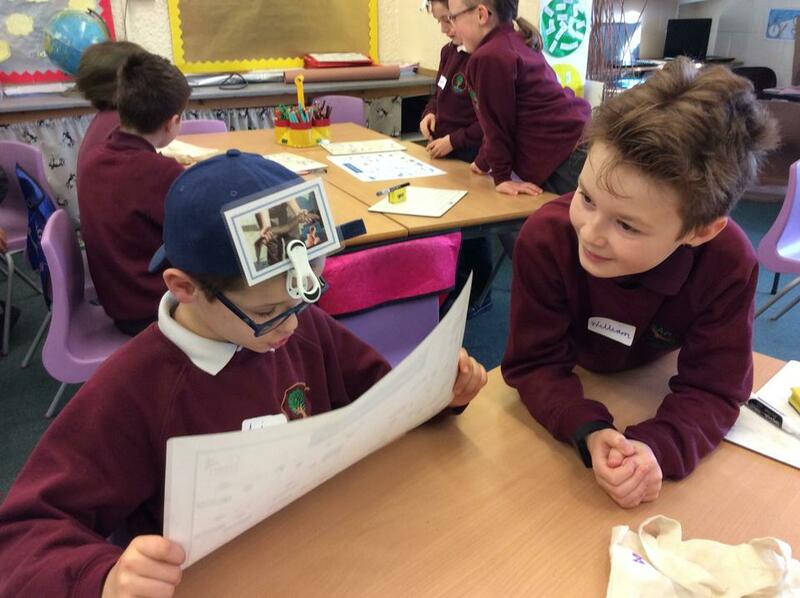 We dressed up as a character from a book for World Book Day! 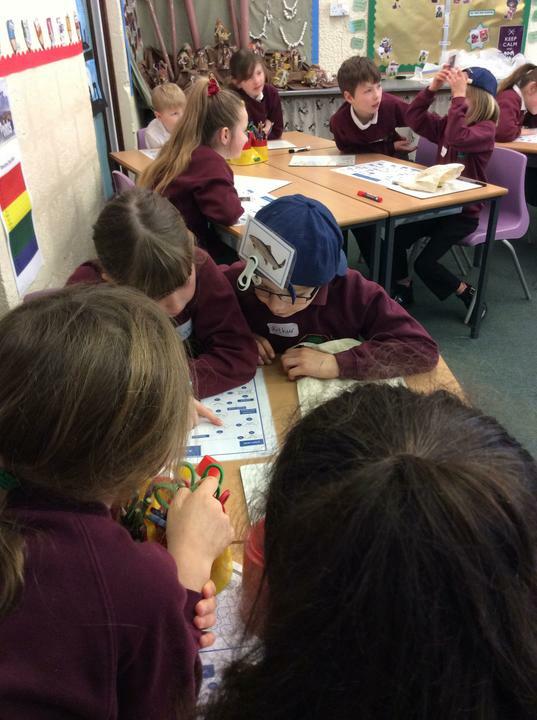 Can you spot who we all are? 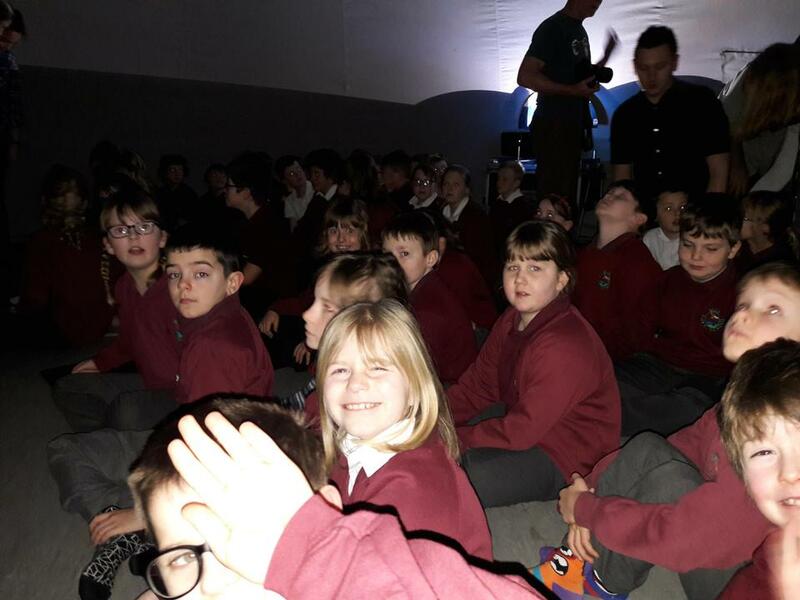 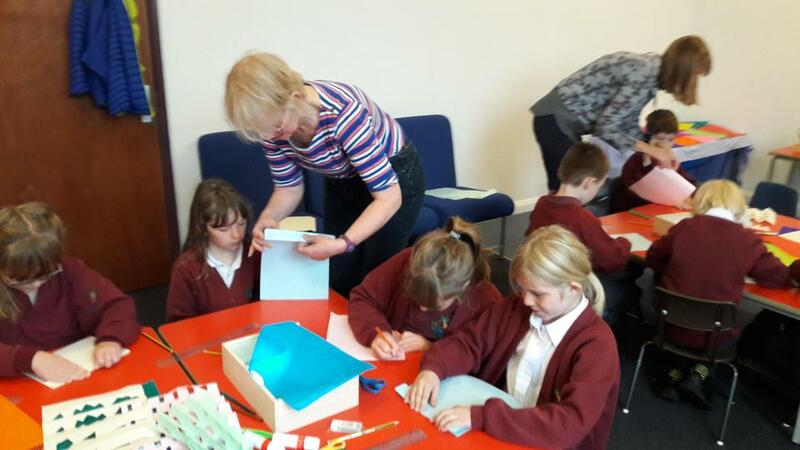 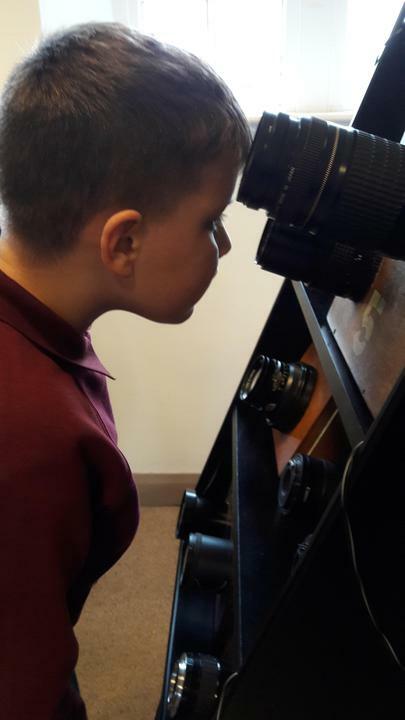 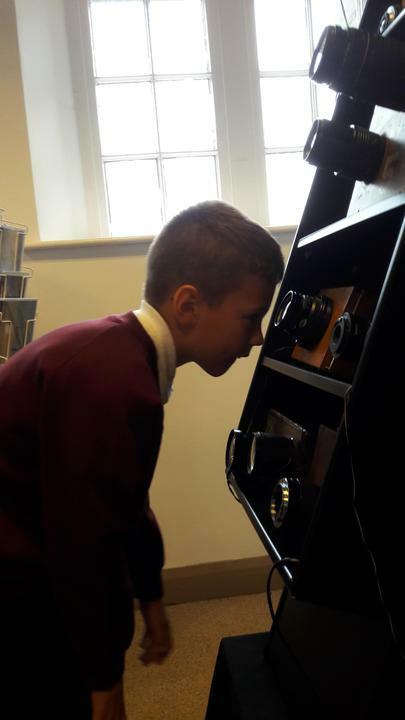 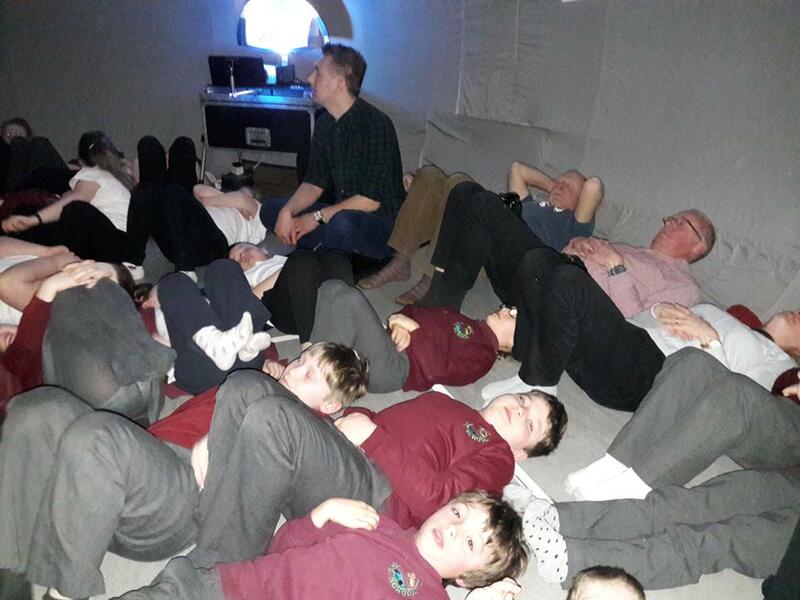 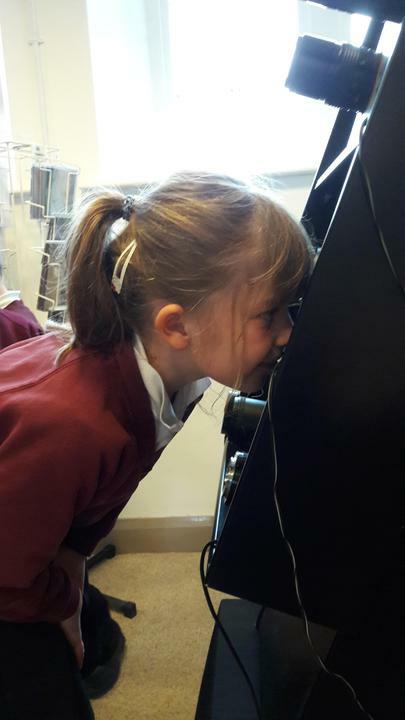 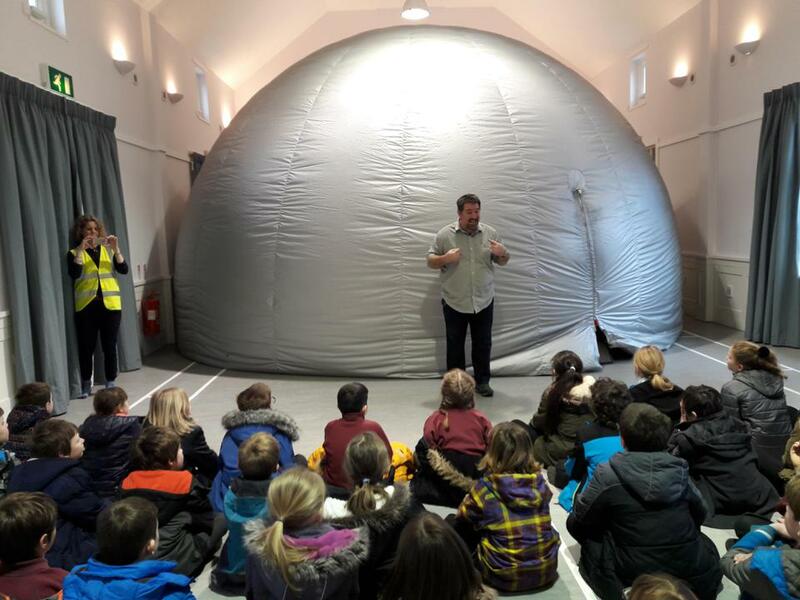 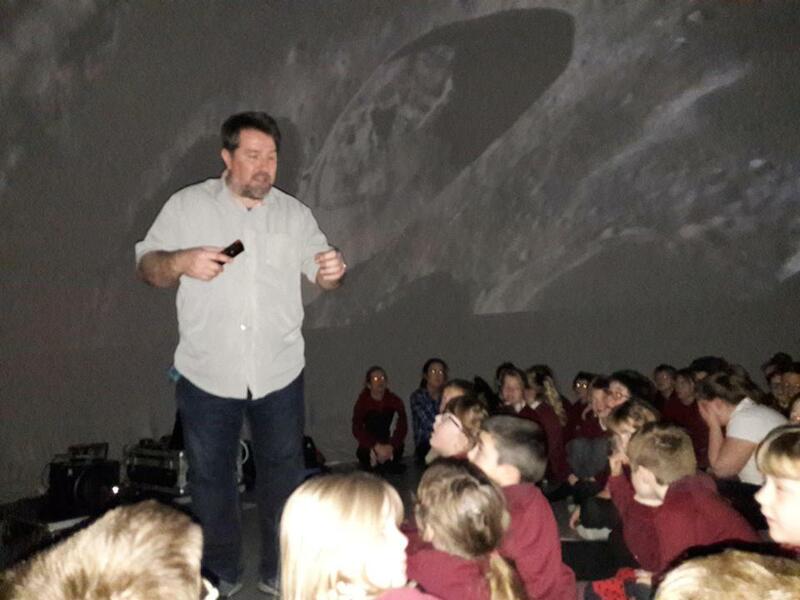 Thanks so much to the Westmoreland Dales Hidden Landscape partnership who invited us to visit the inflatable planetarium at Mauds Meaburn Village Institute. 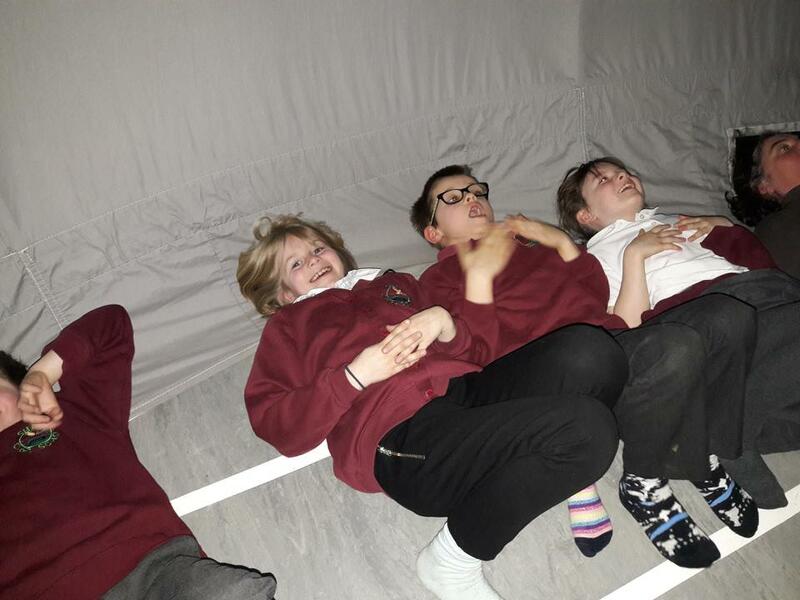 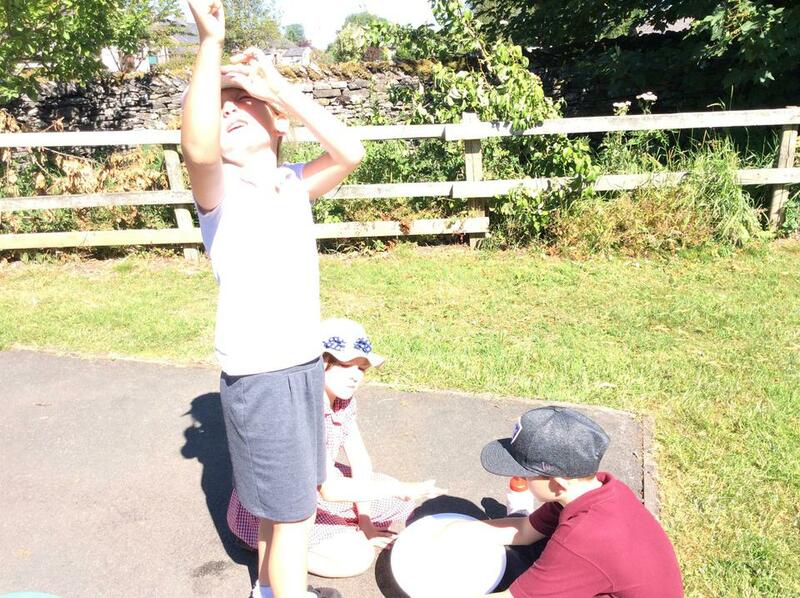 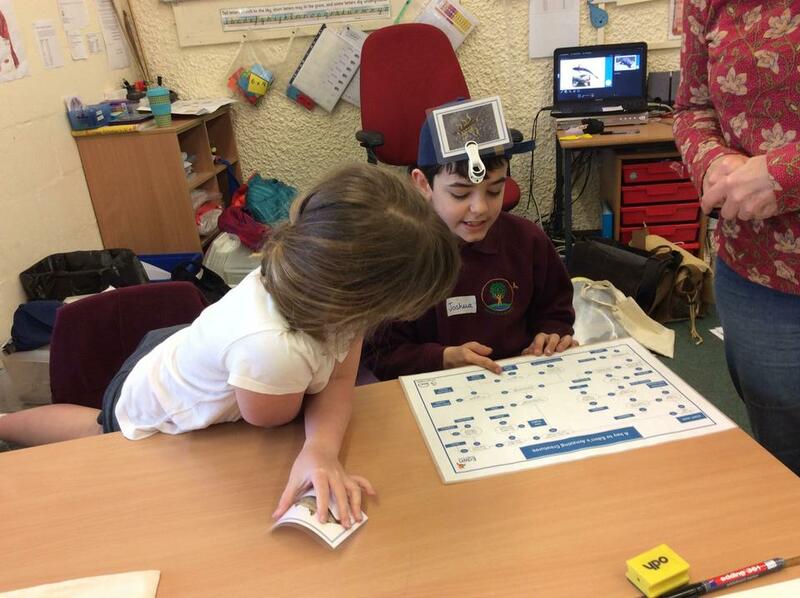 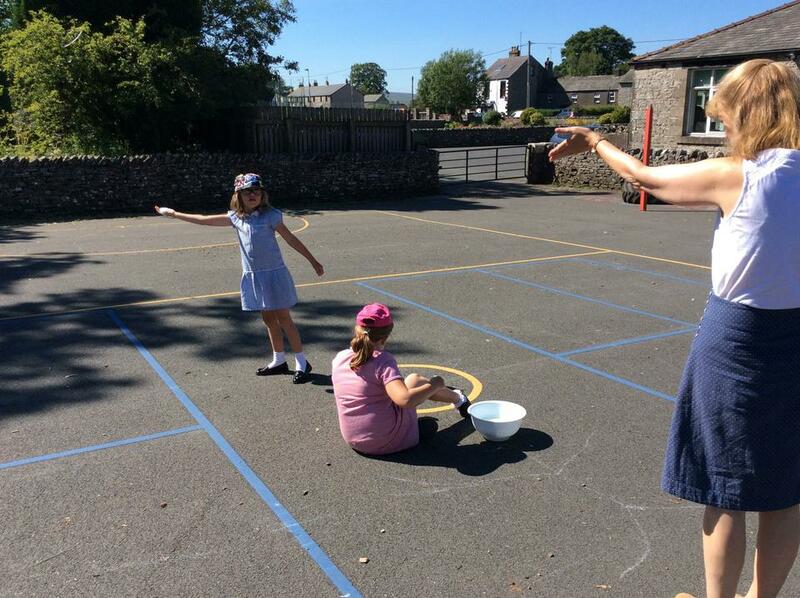 Helvellyn and Blencathra enjoyed an amazing journey through the solar system, then lay back to learn about the constellations. 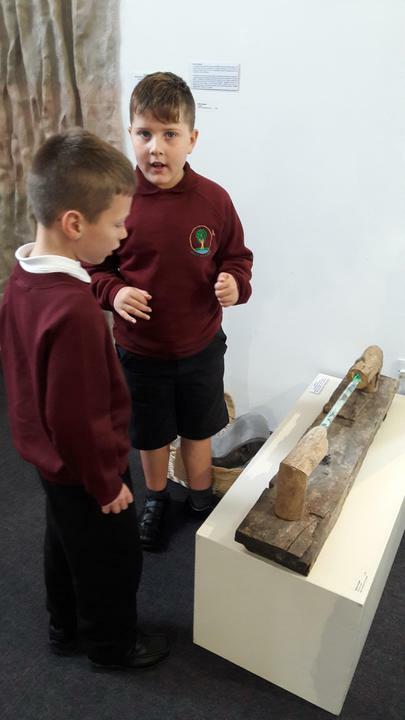 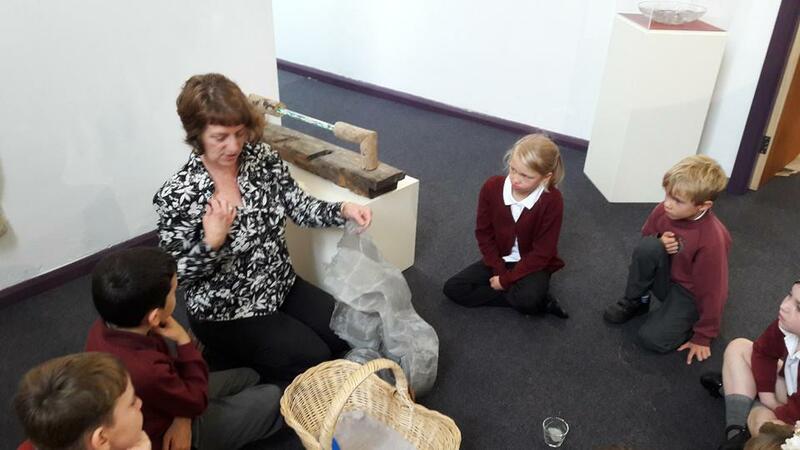 Blencathra braved the torrential rain this morning to get to the Art exhibition at the Old Courthouse. 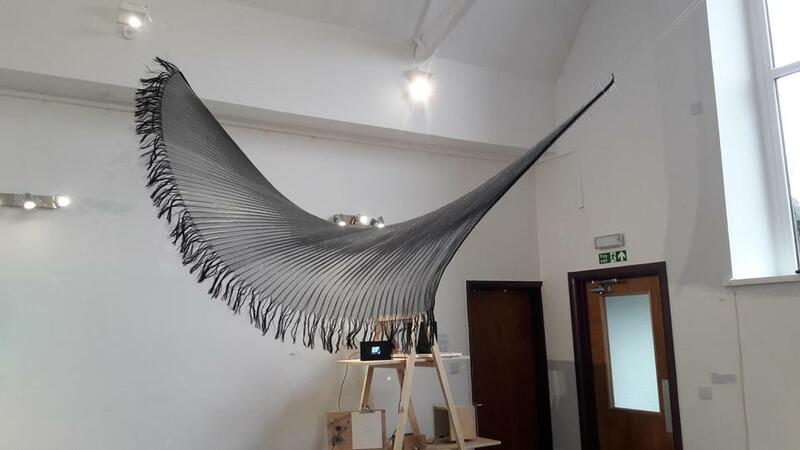 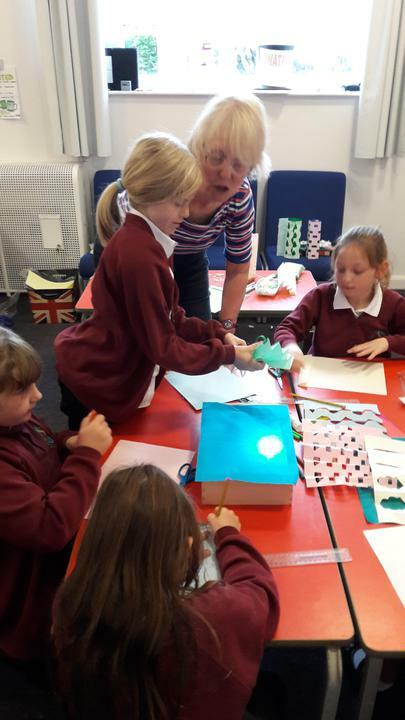 We were fascinated by the amazing artworks particularly the peephole camera lenses, the art using sea glass and neon lights and huge discs of cast glass that reminded us of jelly! 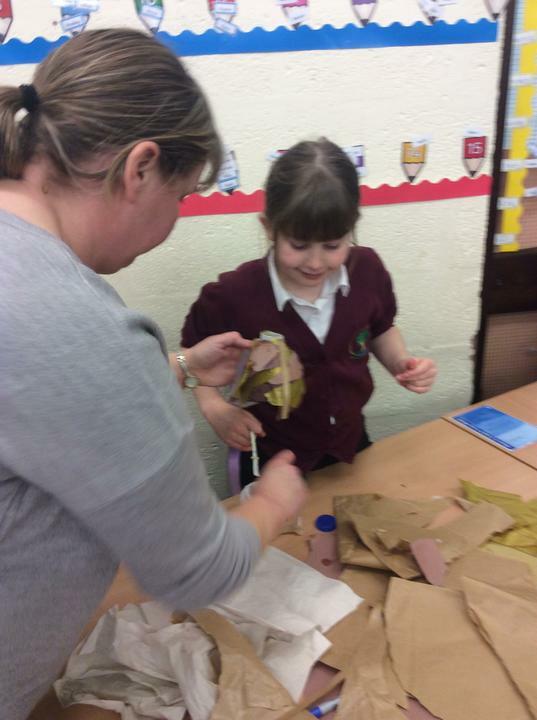 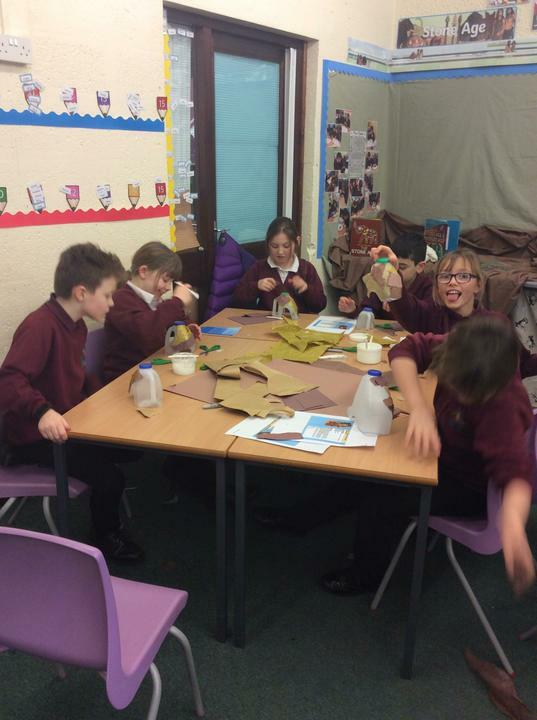 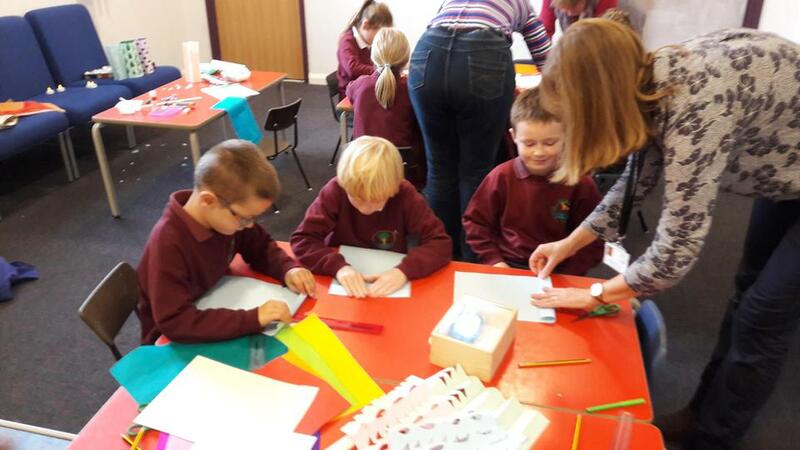 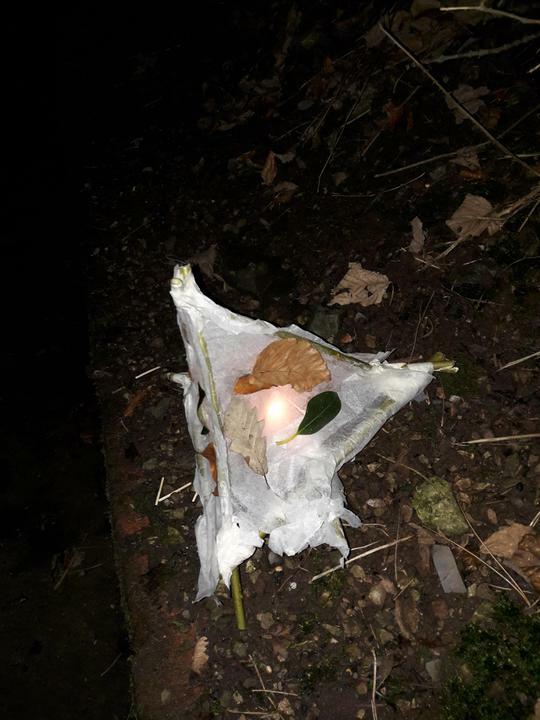 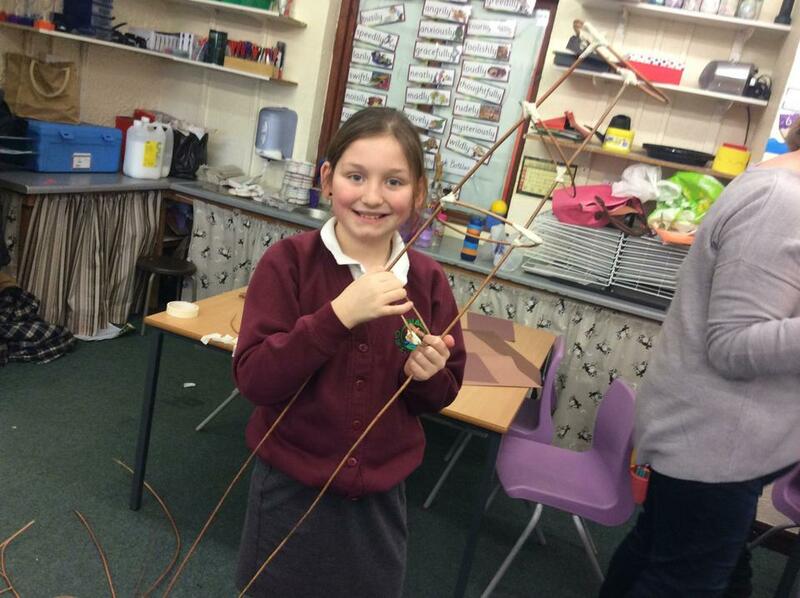 We also had a craft session where we began to make light sculpture lanterns, thinking about colour and shape. 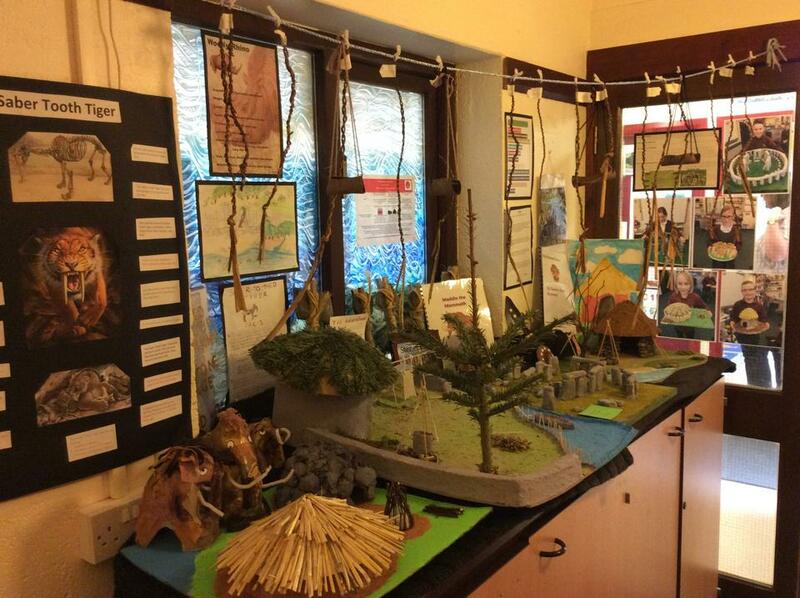 We will invite you into school to see our exhibition when they are finished. 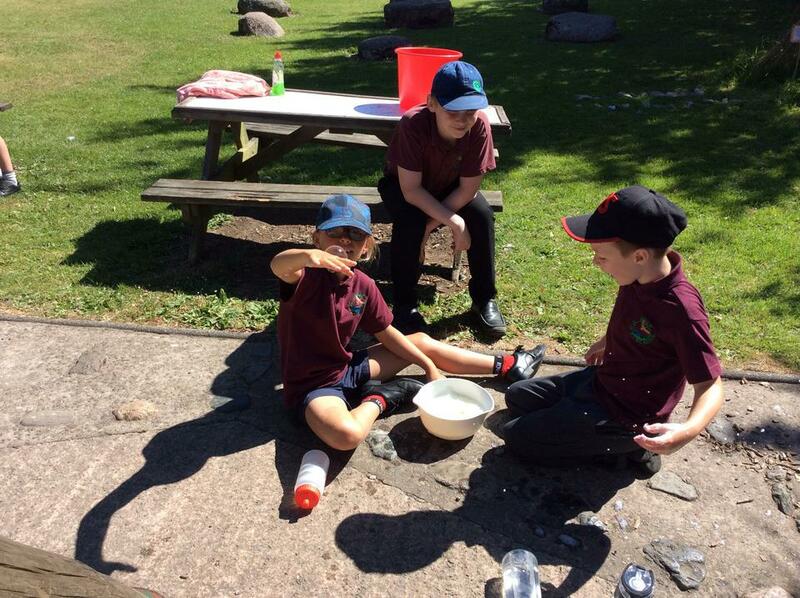 July 2017 - Rocks' experiments! 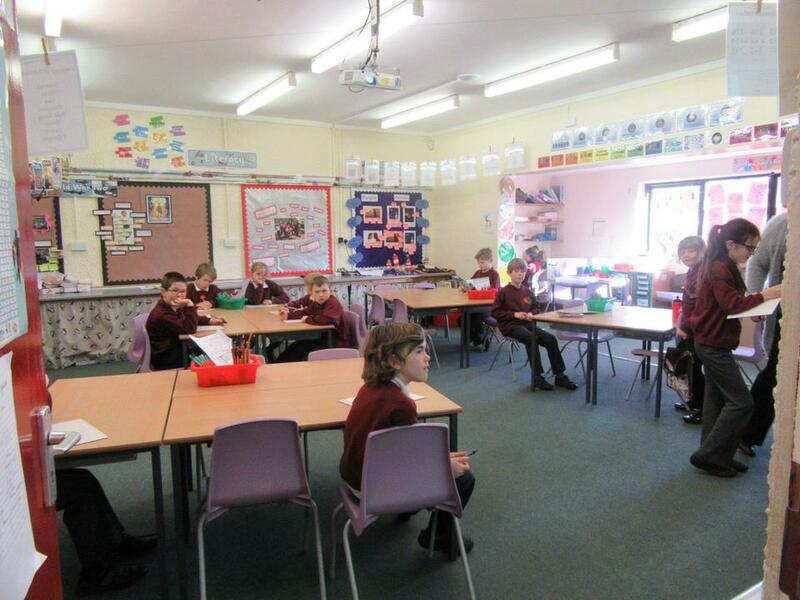 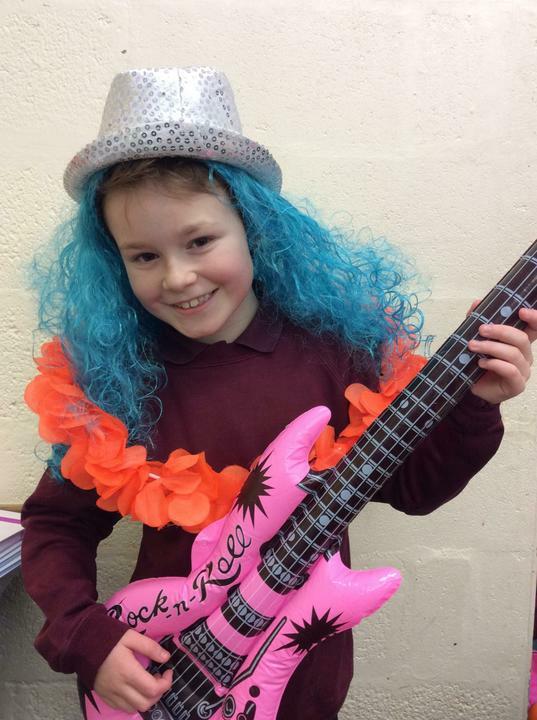 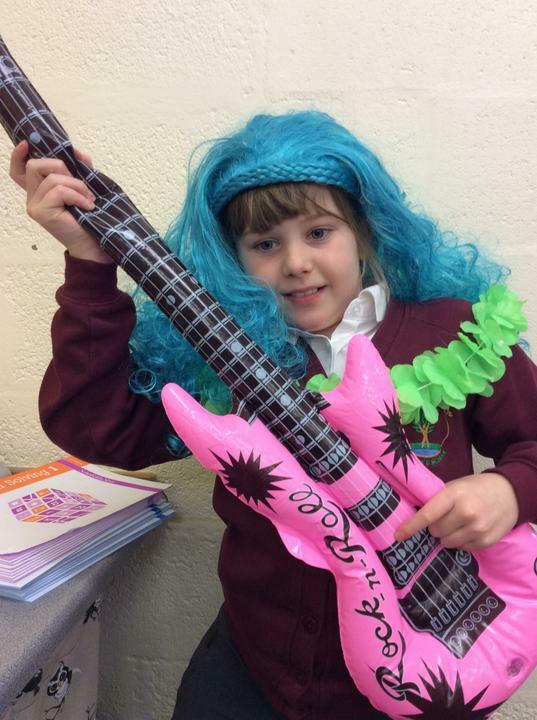 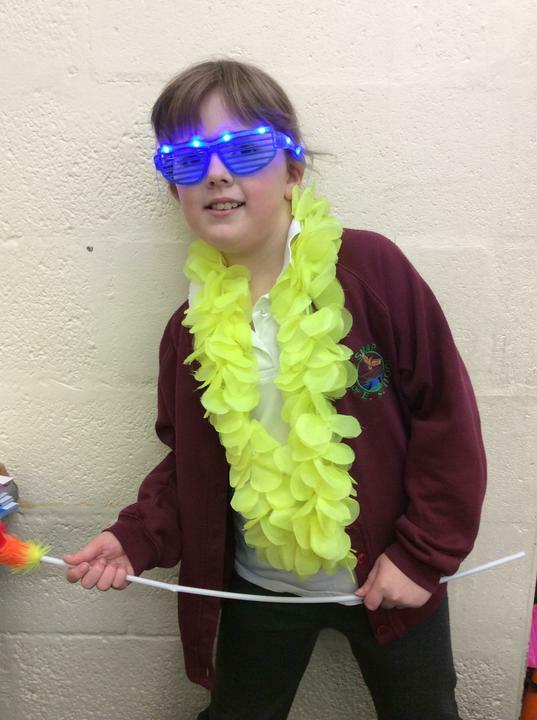 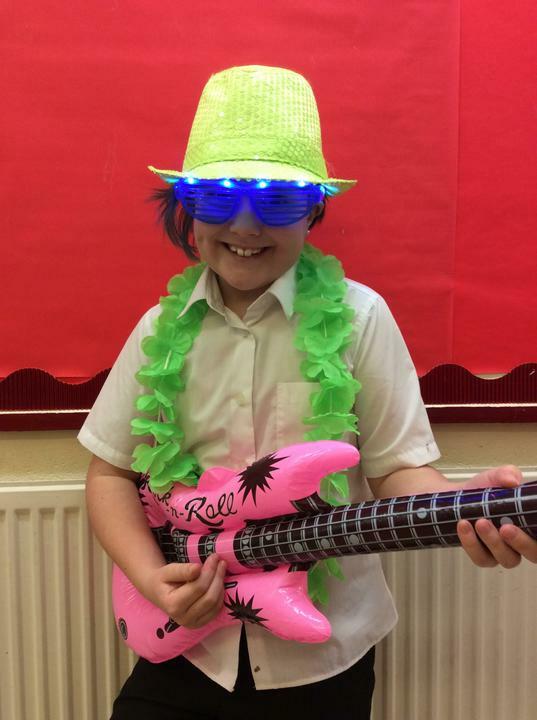 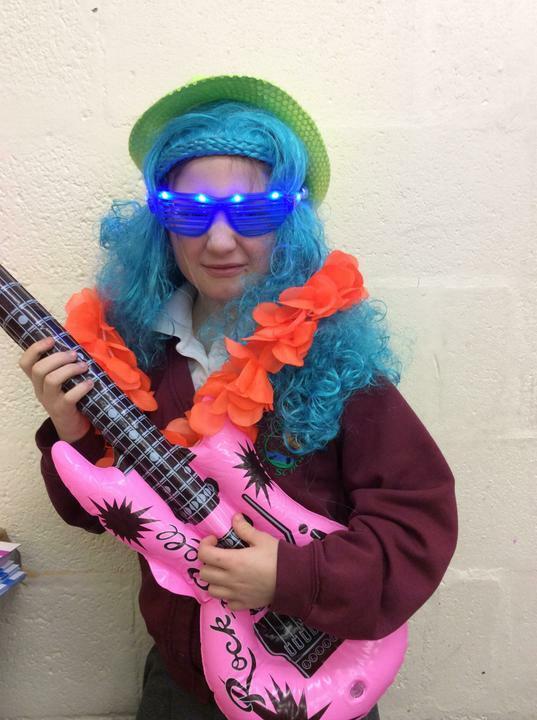 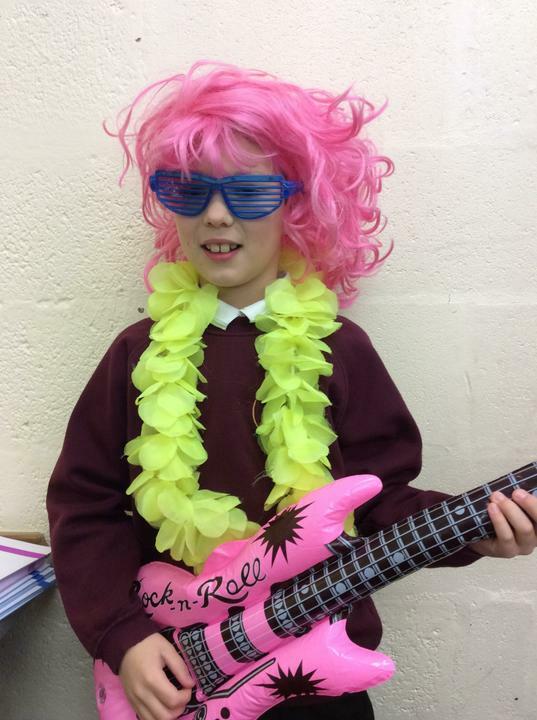 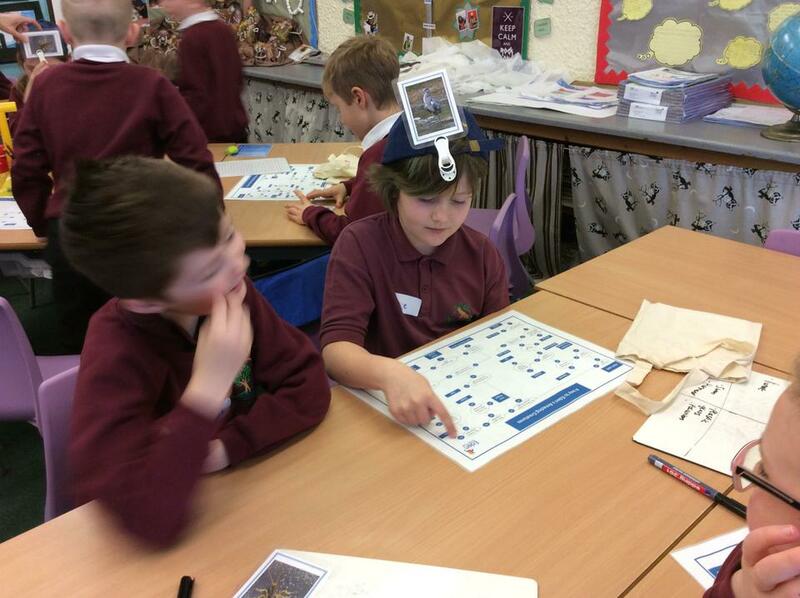 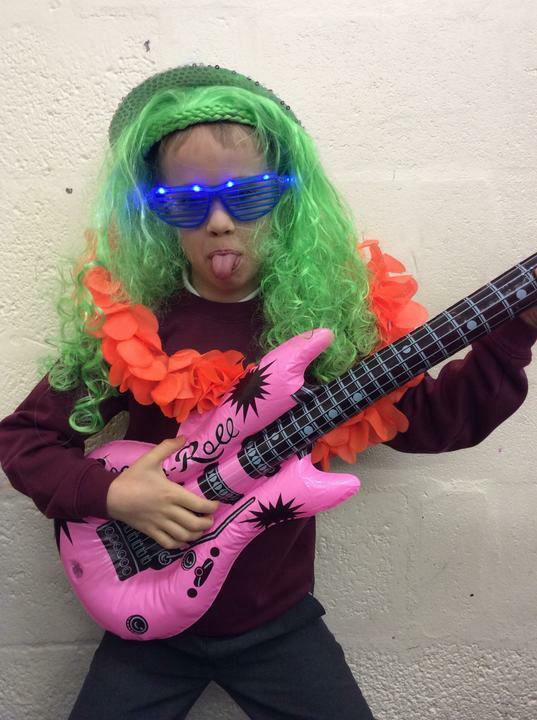 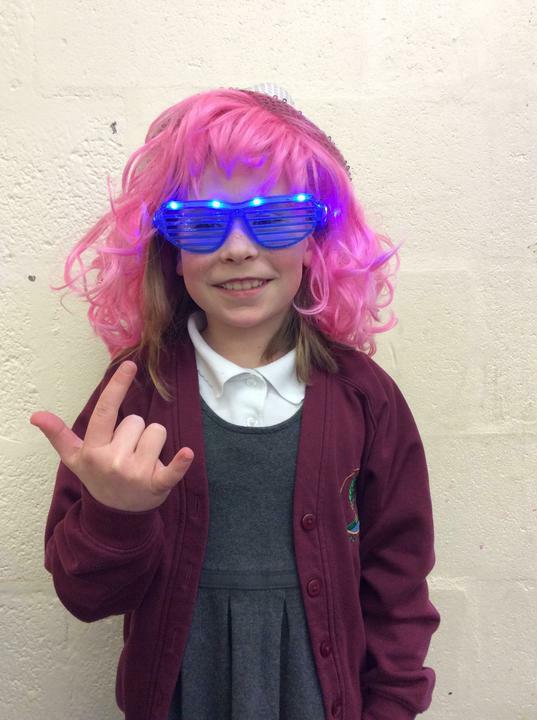 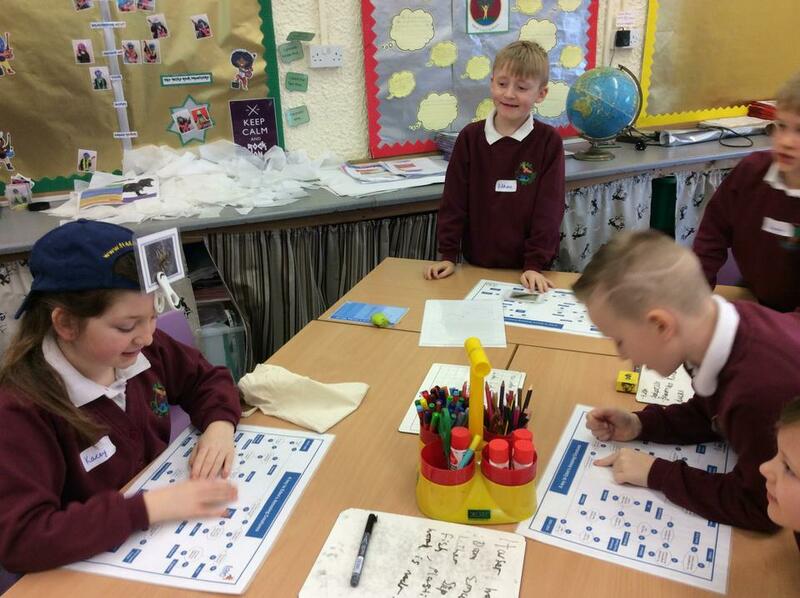 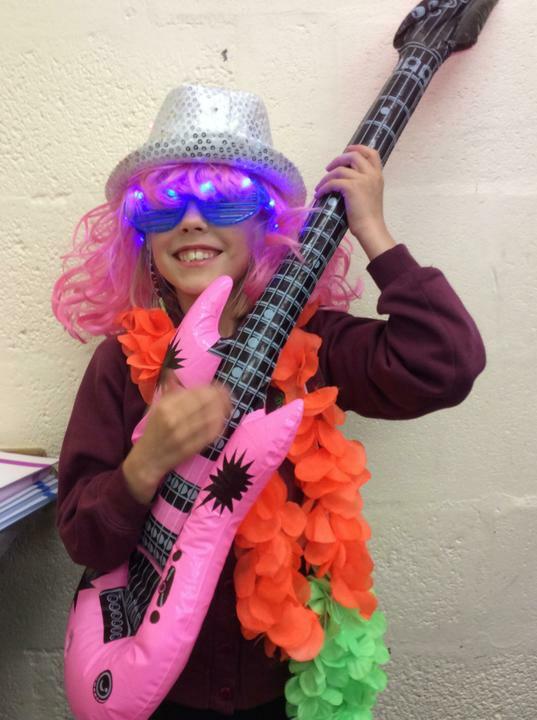 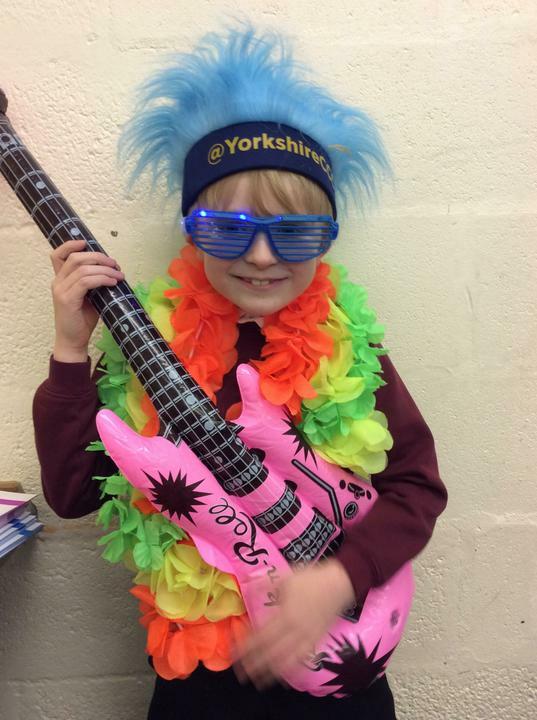 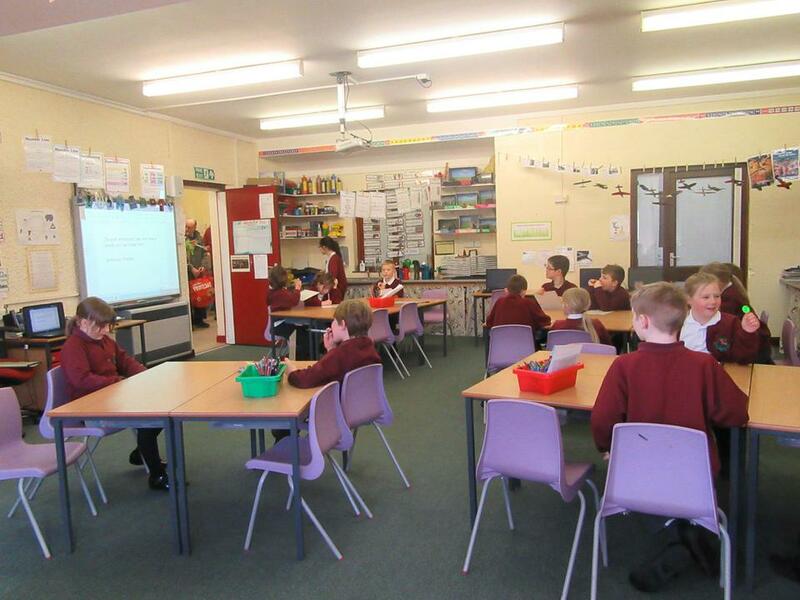 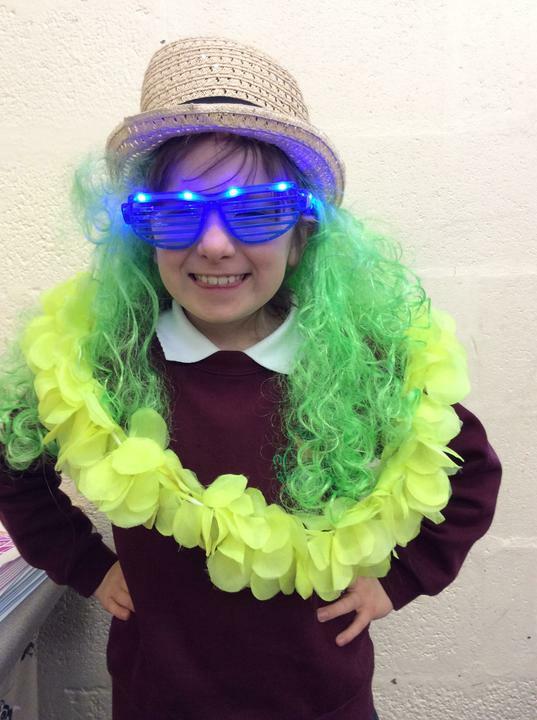 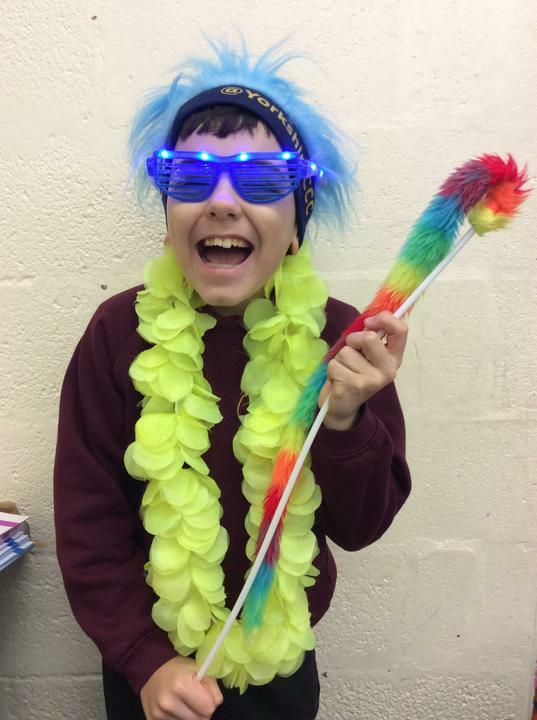 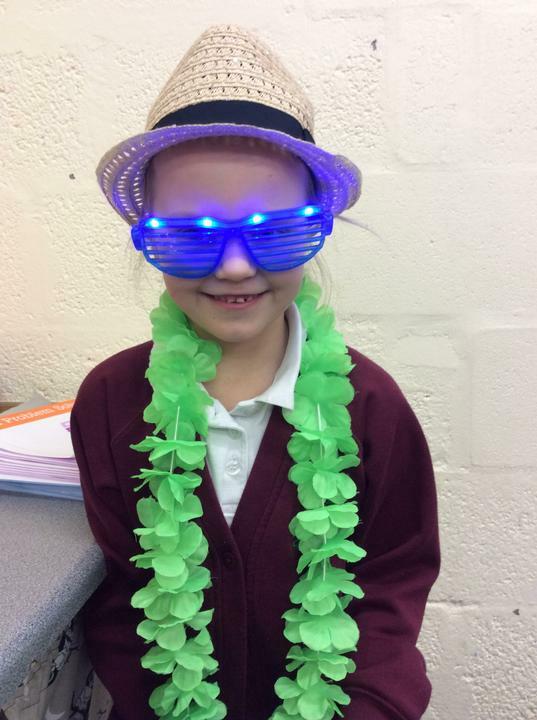 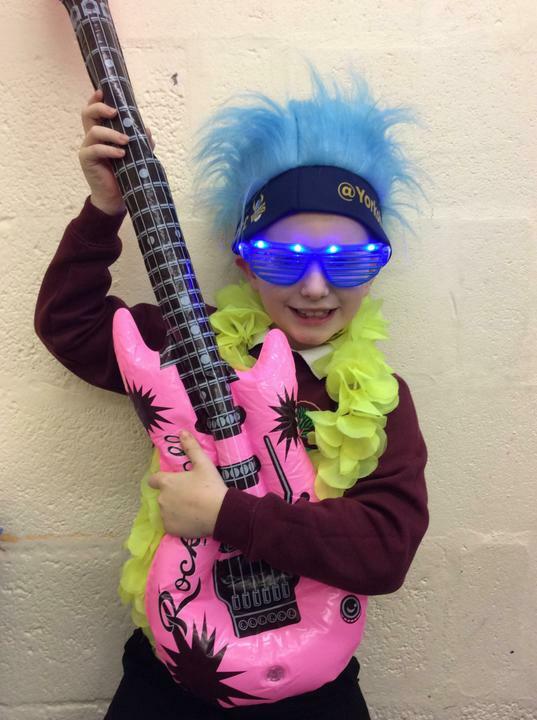 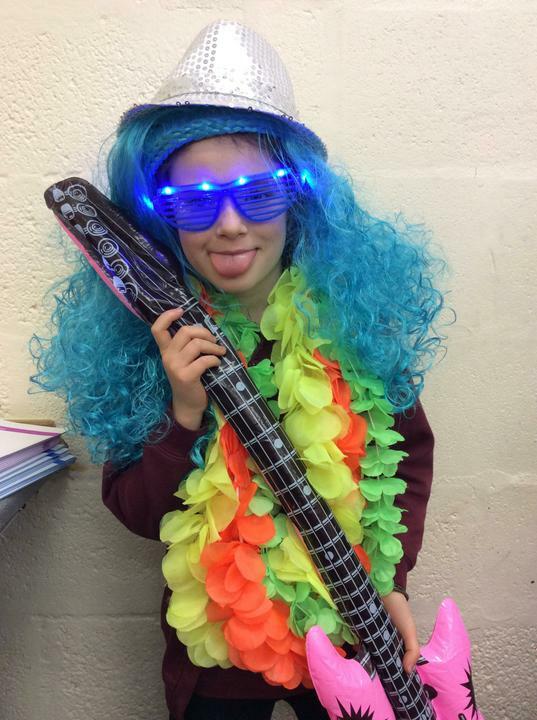 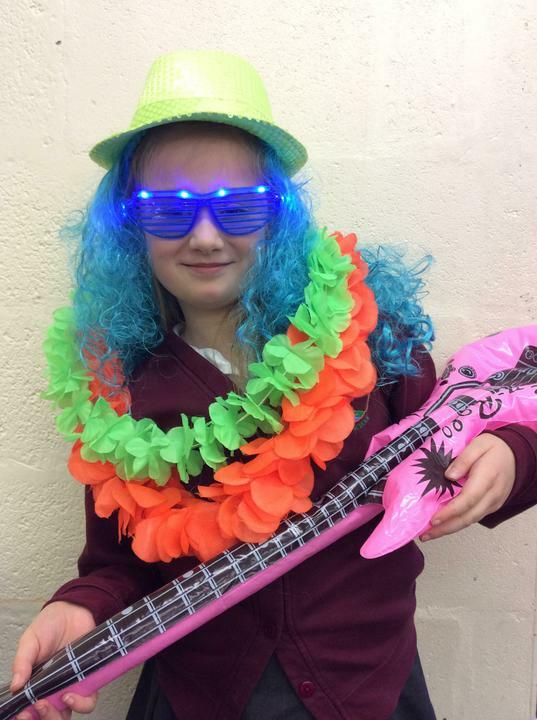 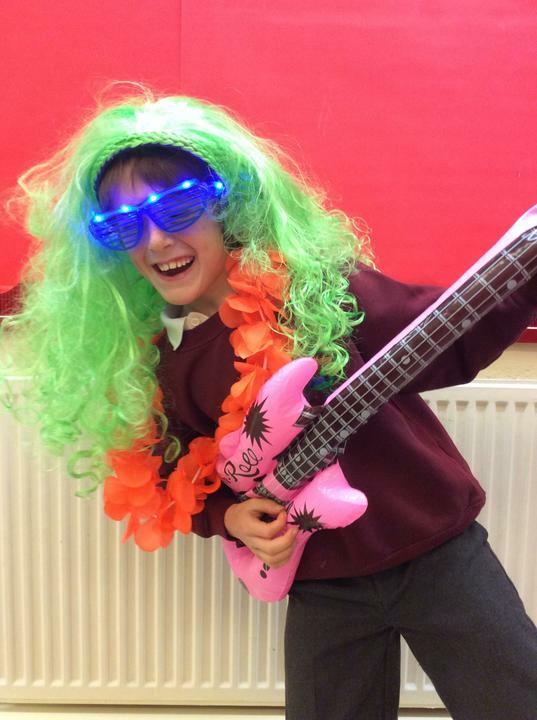 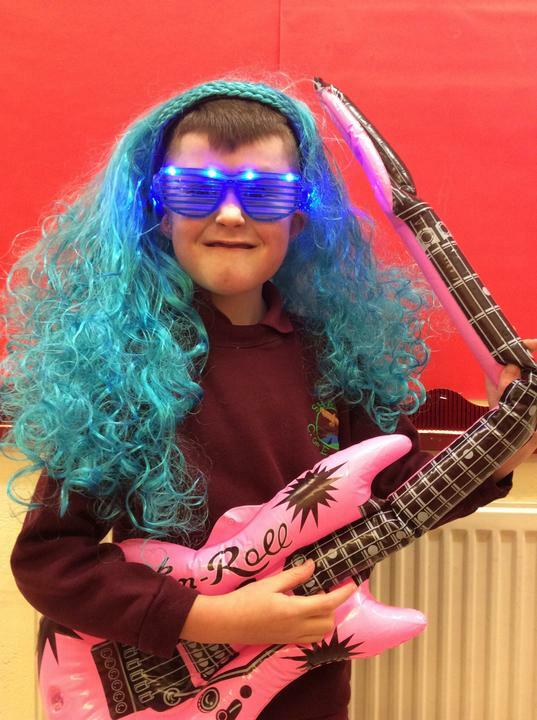 Times Tables Rockstars Practise your times tables. 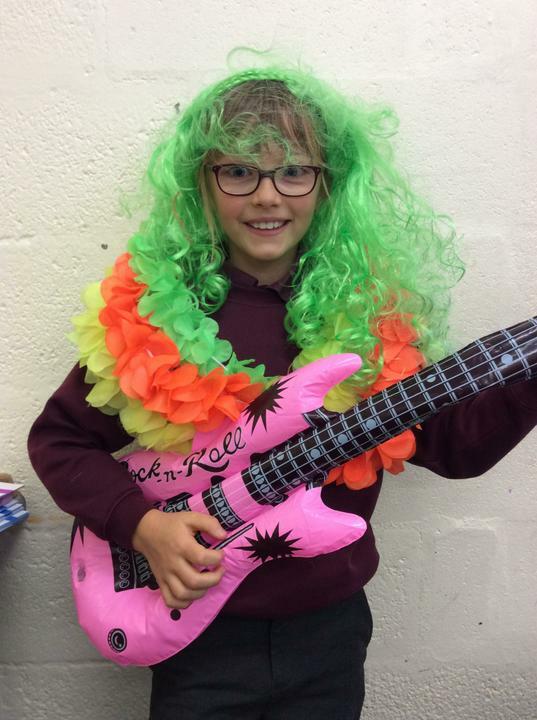 The more you practise the faster you get and the more coins you earn to spend on your Rockstar!